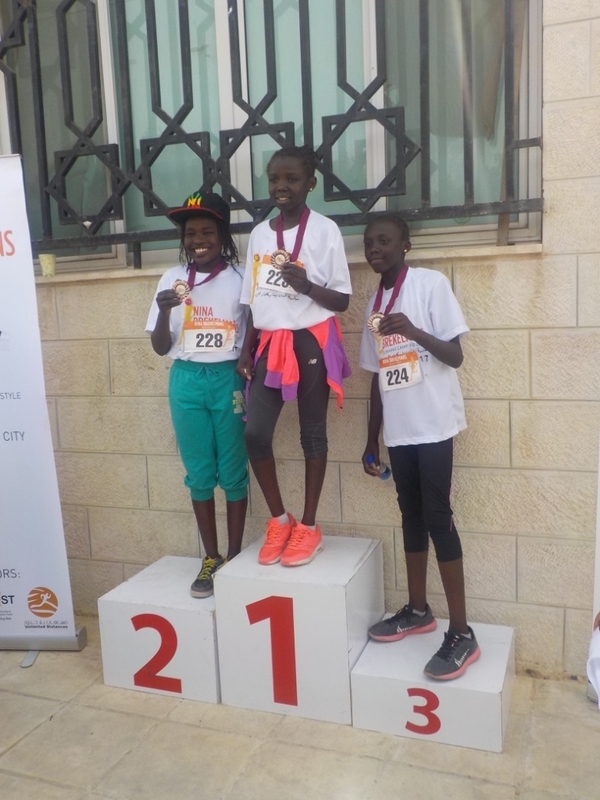 Awards: Awards will be given to the top 3 girls in each division. 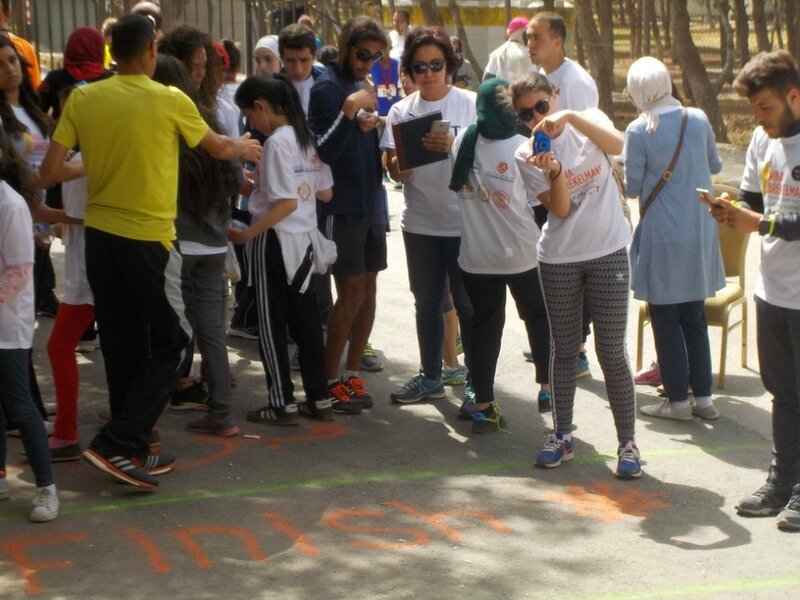 We'll have tshirts and medals for all participants. 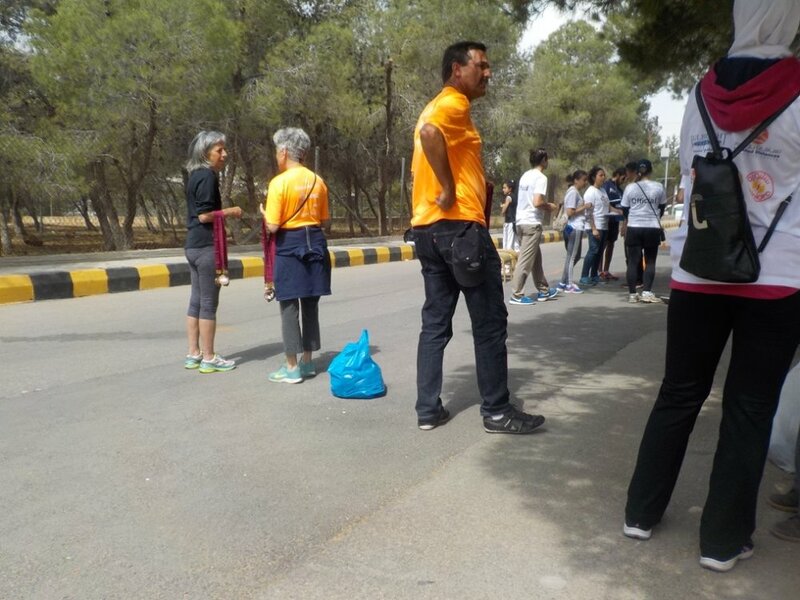 Water will be handed out on the course and at the finish line. 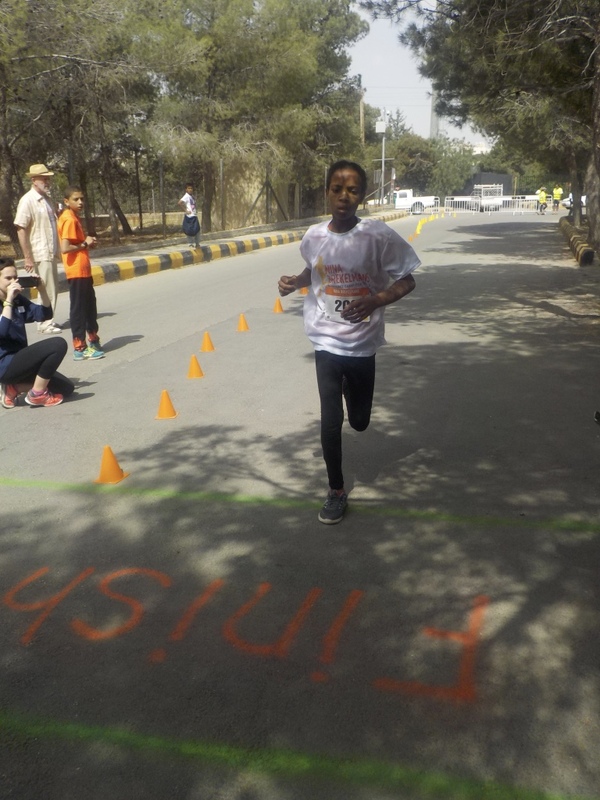 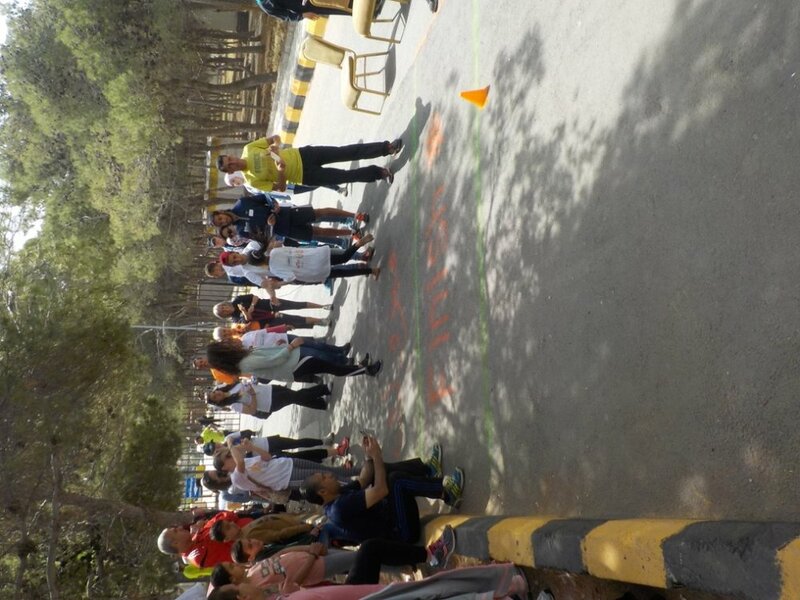 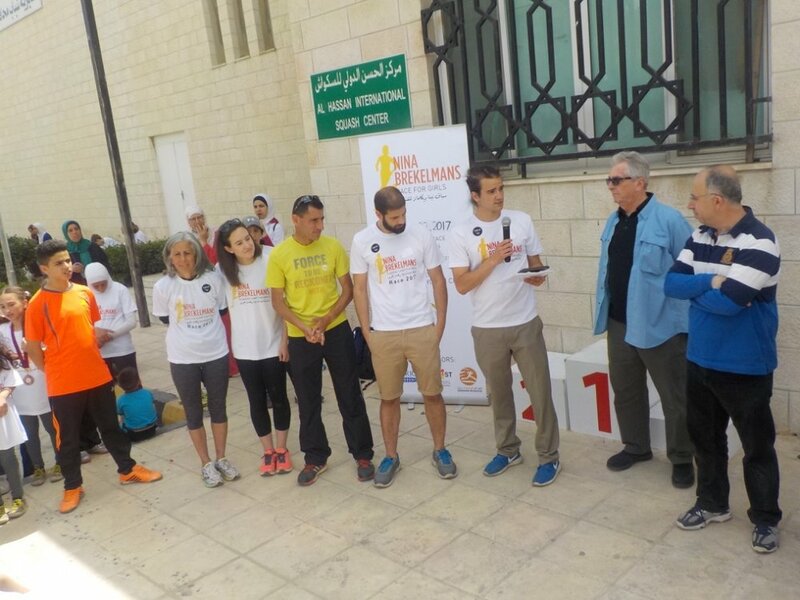 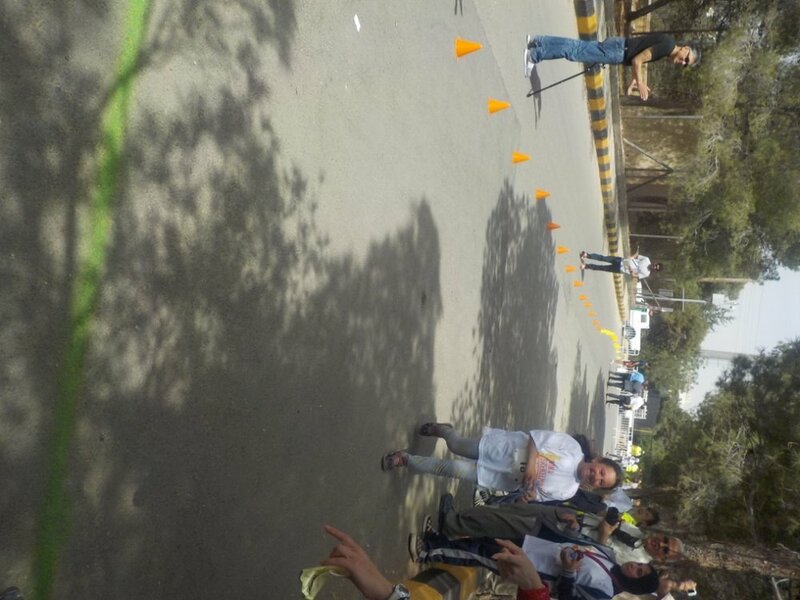 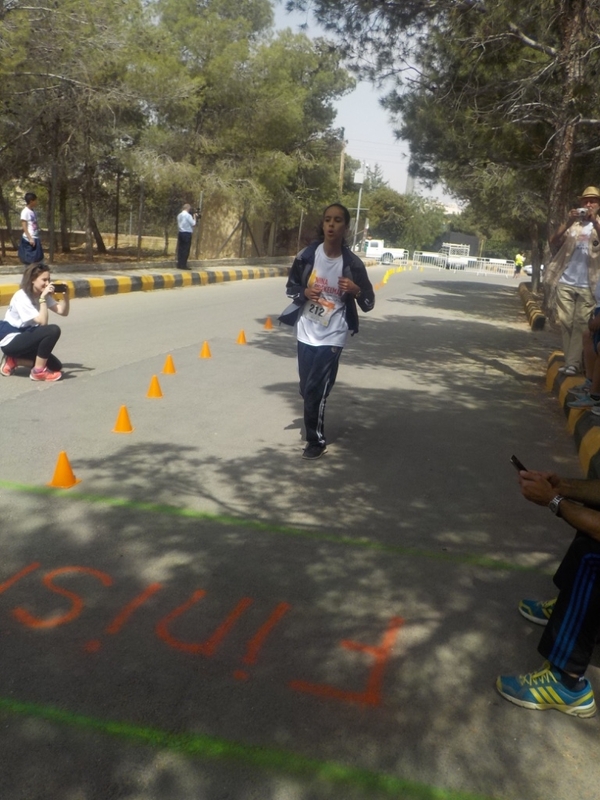 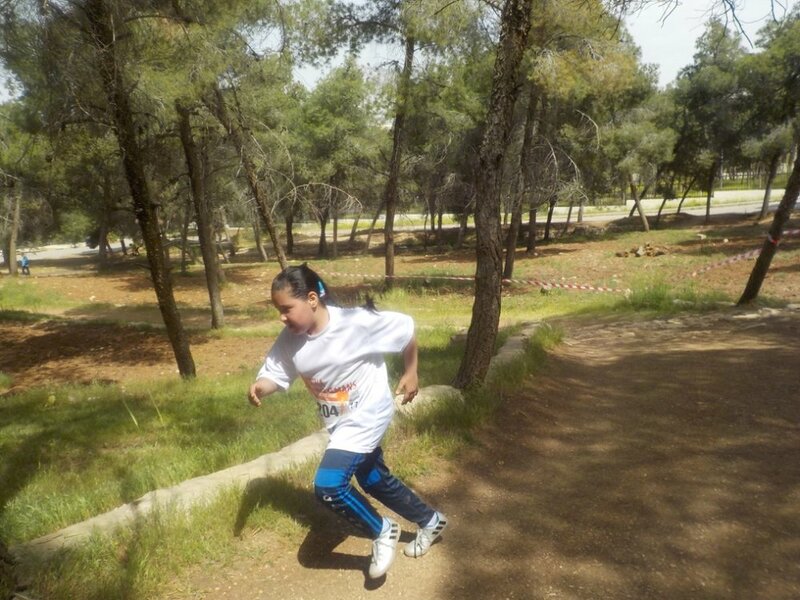 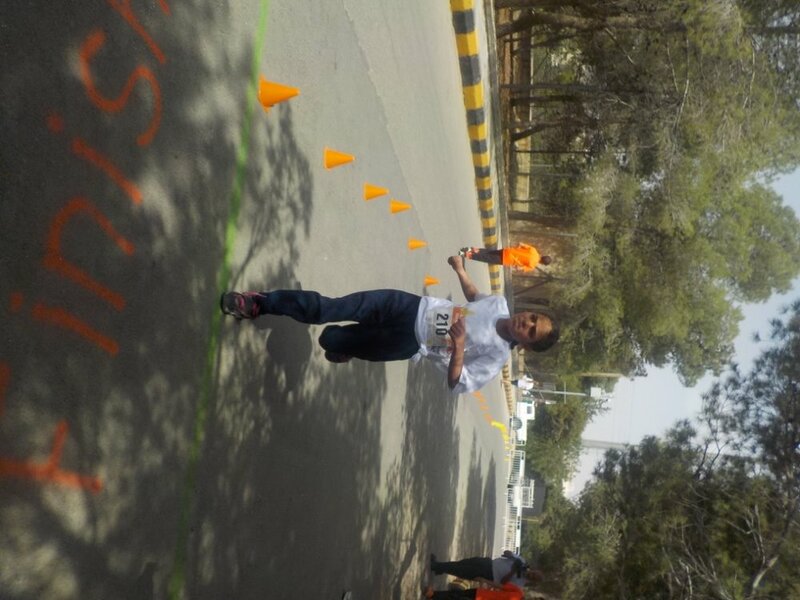 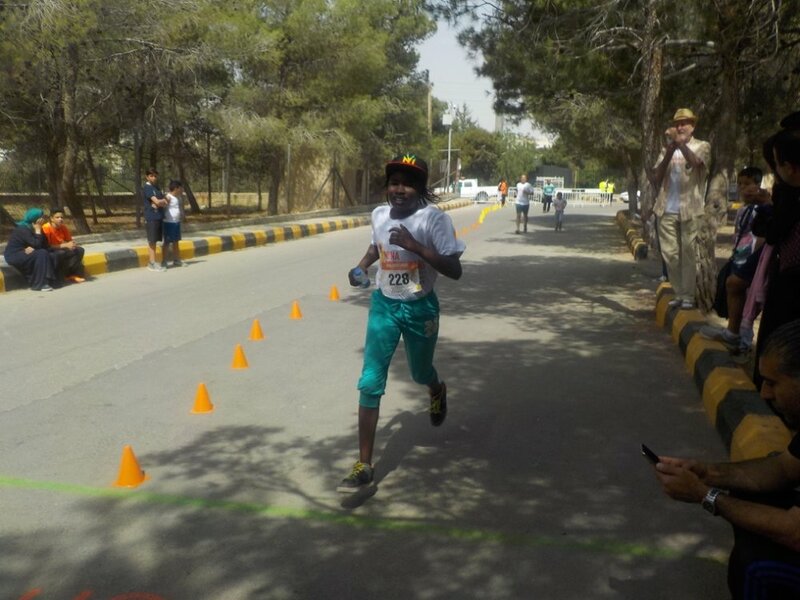 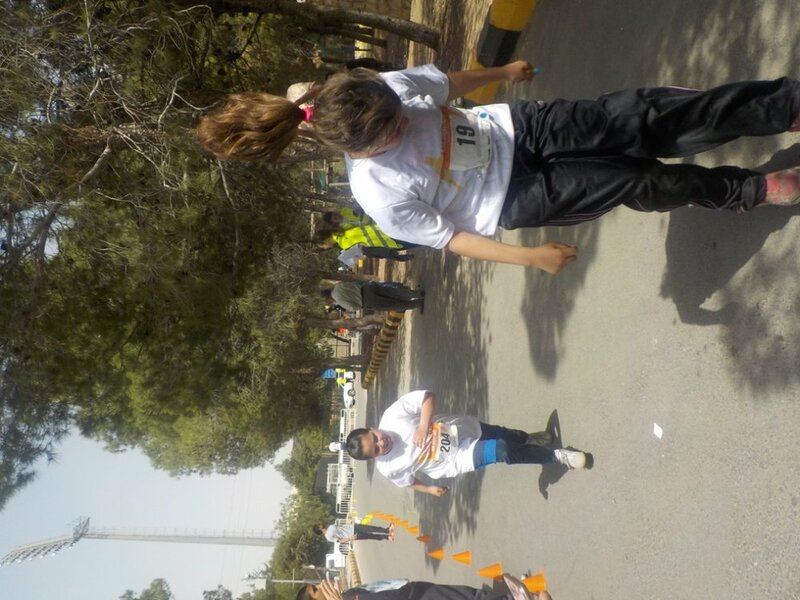 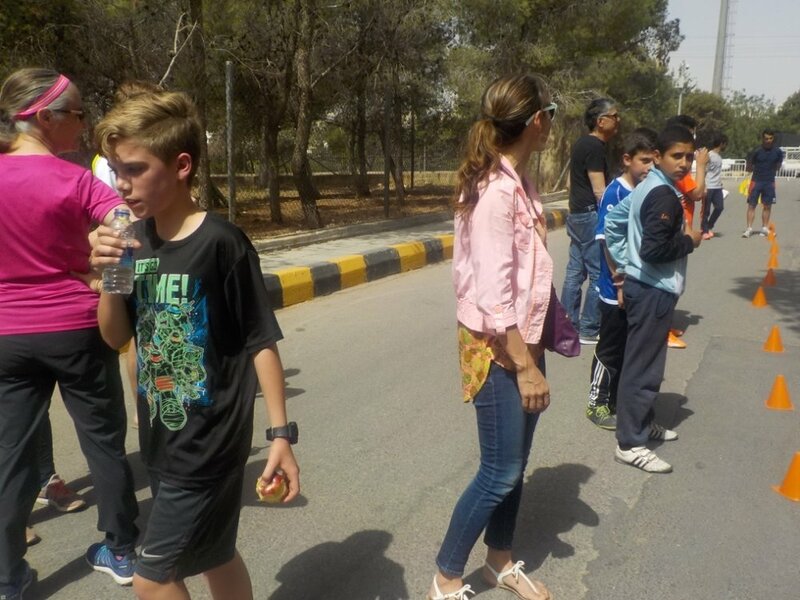 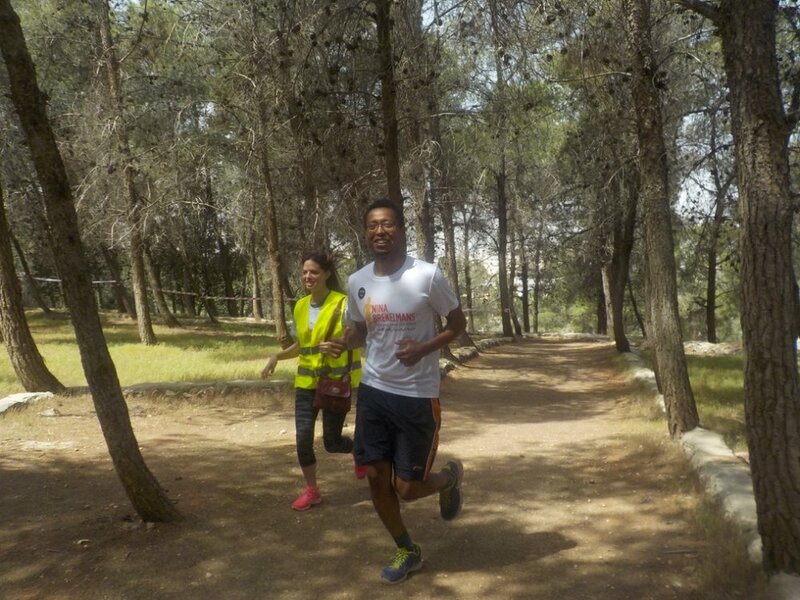 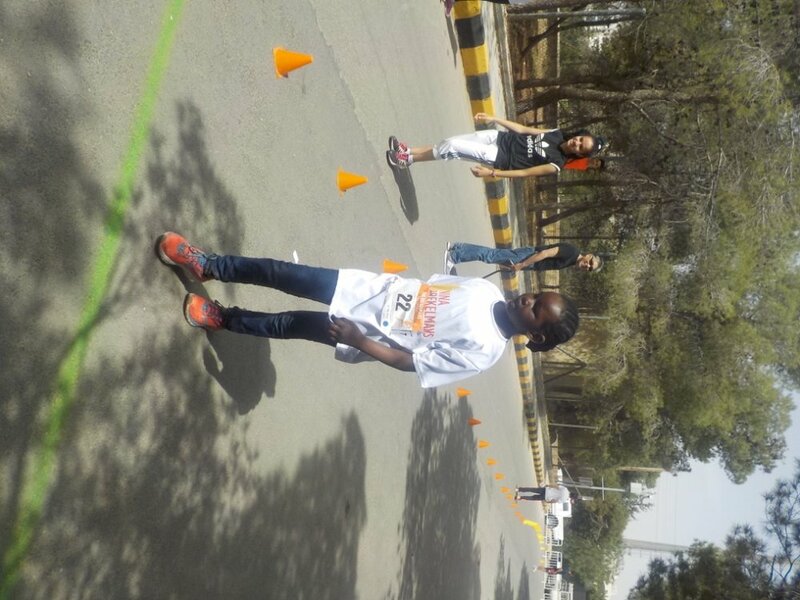 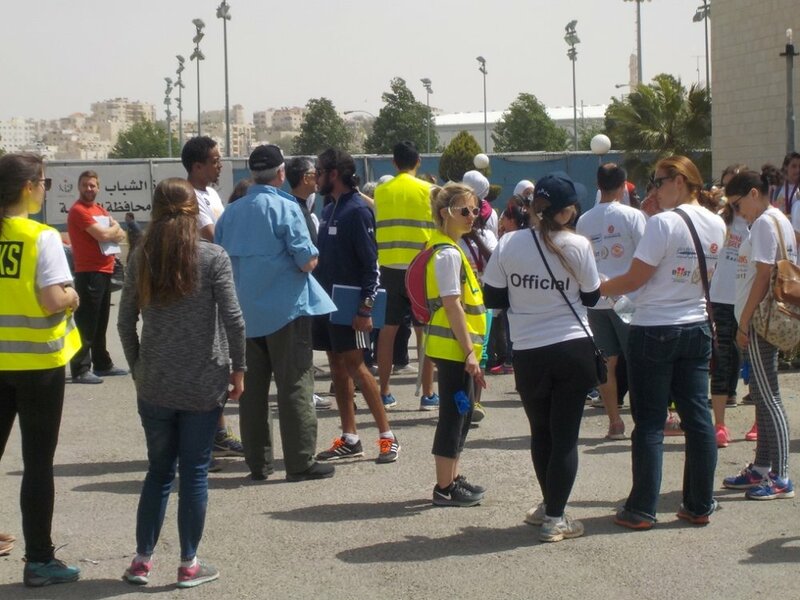 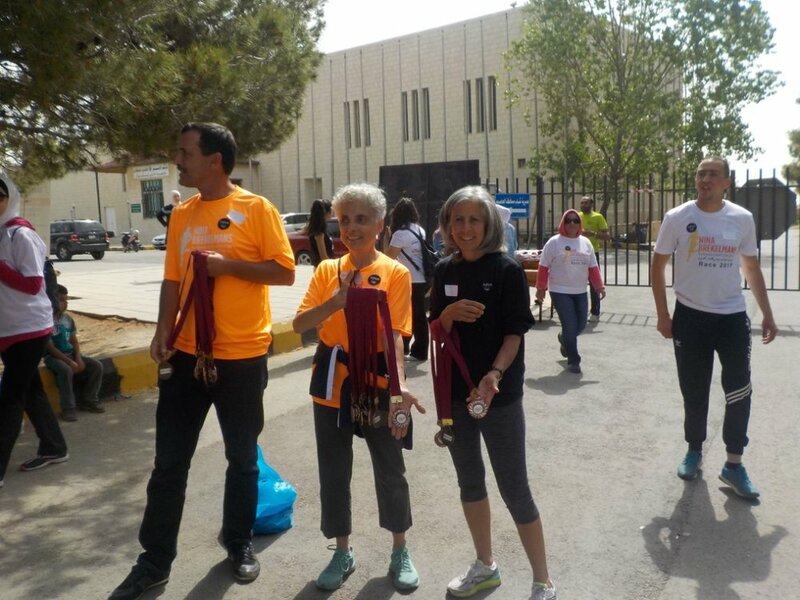 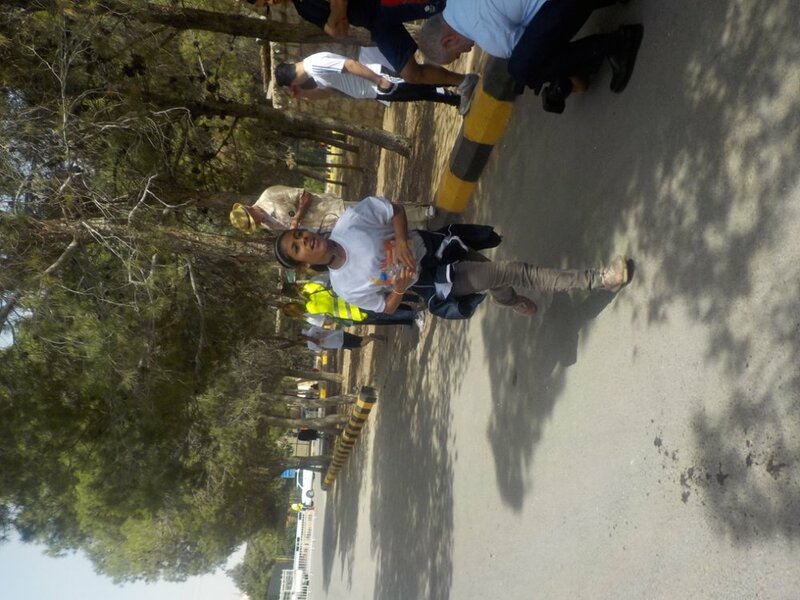 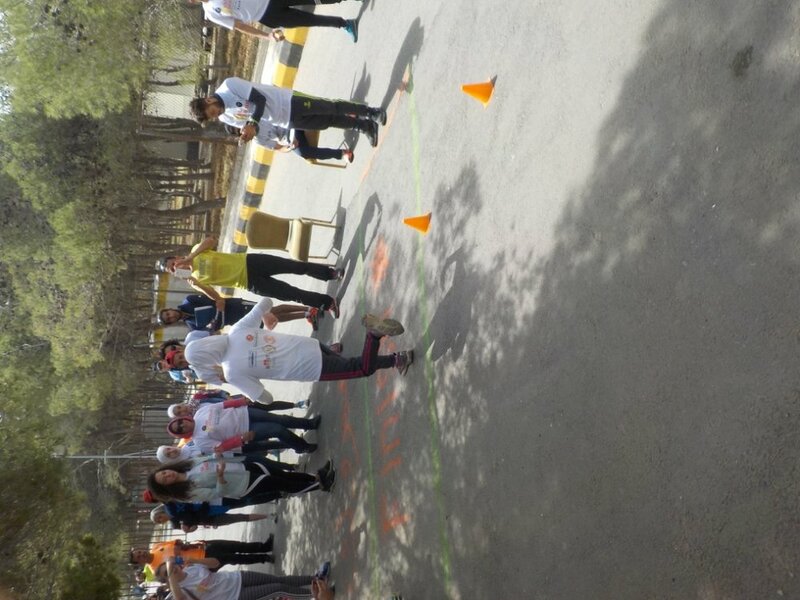 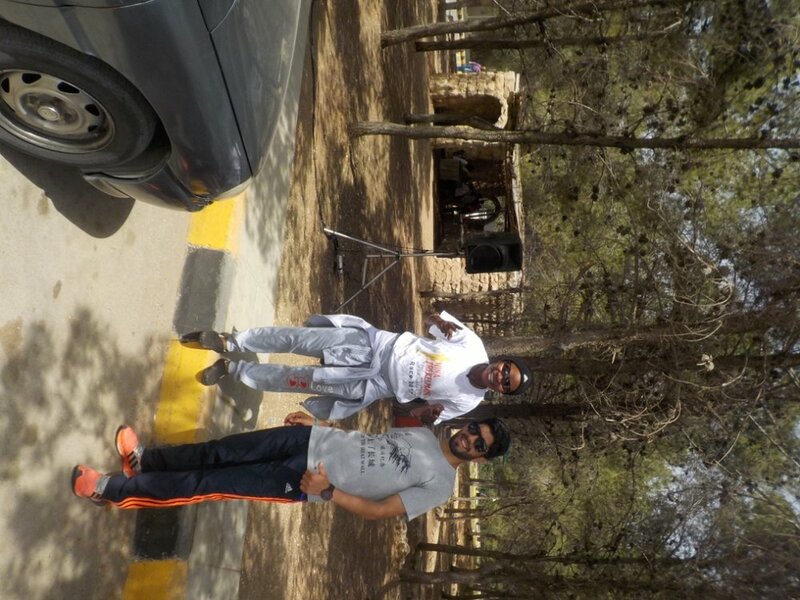 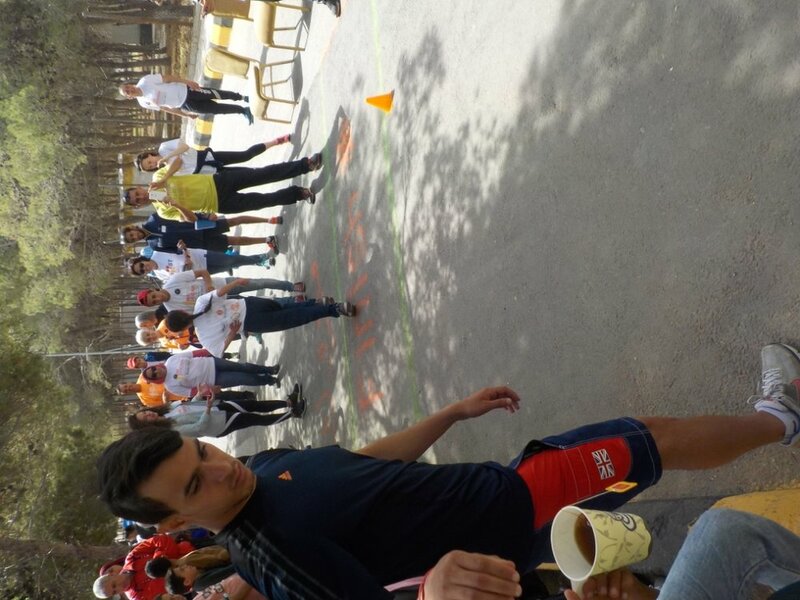 Sponsors: Sport City, Fulbright, Unlimited Distances, BOOST, and the U.S. Embassy in Amman. 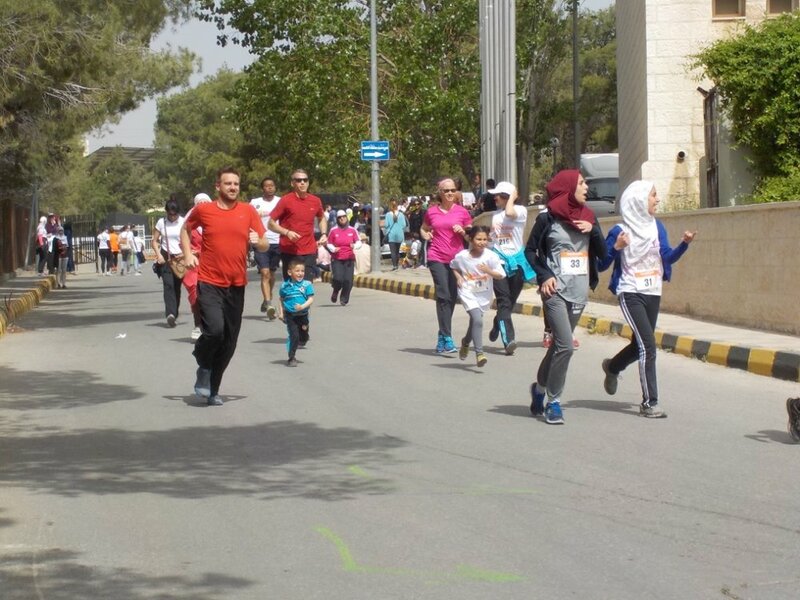 We are thankful that Sport City has once again agreed to be our presenting sponsor. 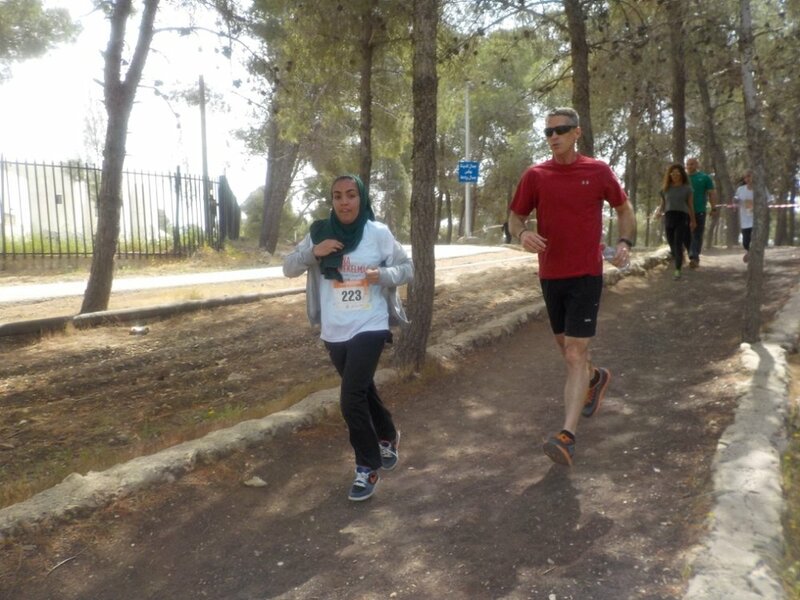 Likewise, we're grateful for support and backing from Fulbright, Unlimited Distances, BOOST, and the Embassy in Amman. 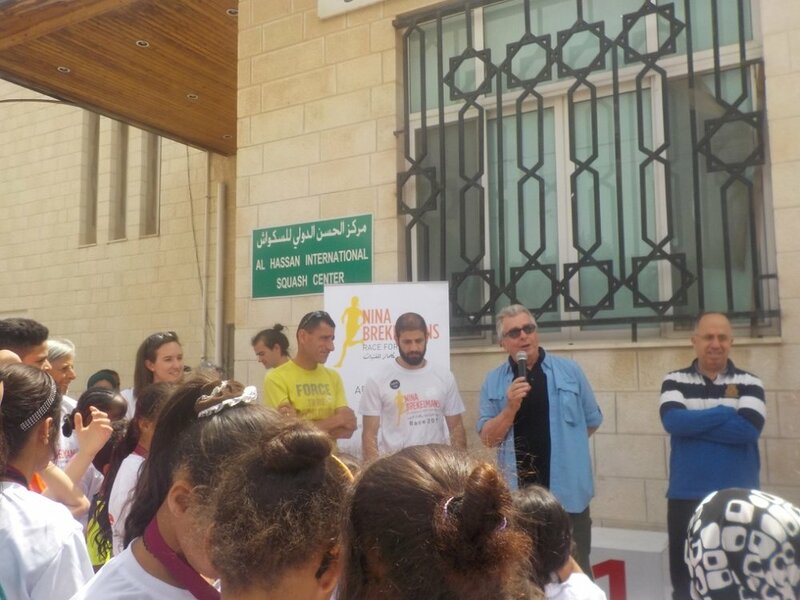 For more details, follow along with our Facebook page. 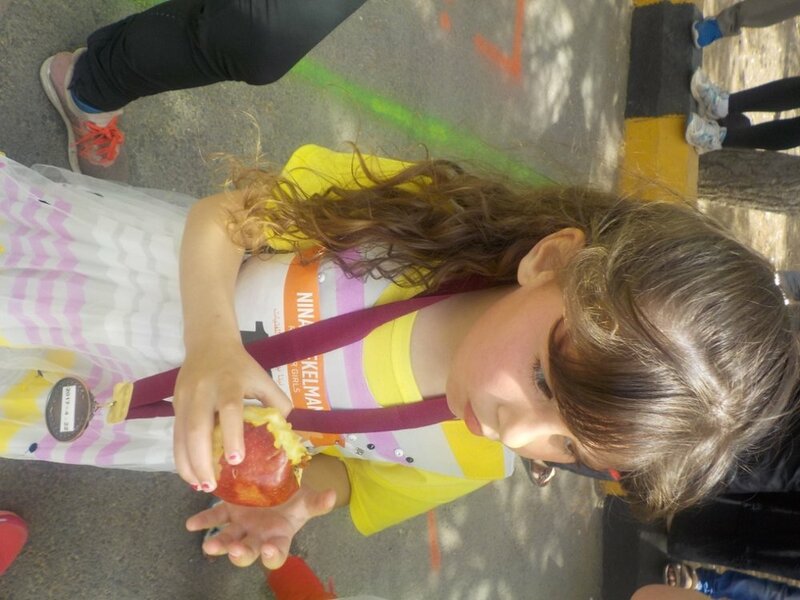 Good luck to all of our runners, and remember to stay hydrated for energy. 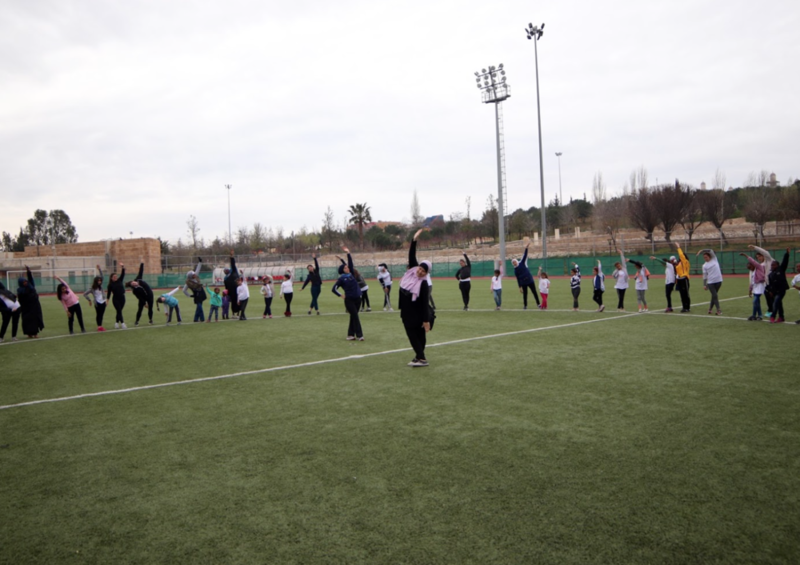 See you tomorrow! 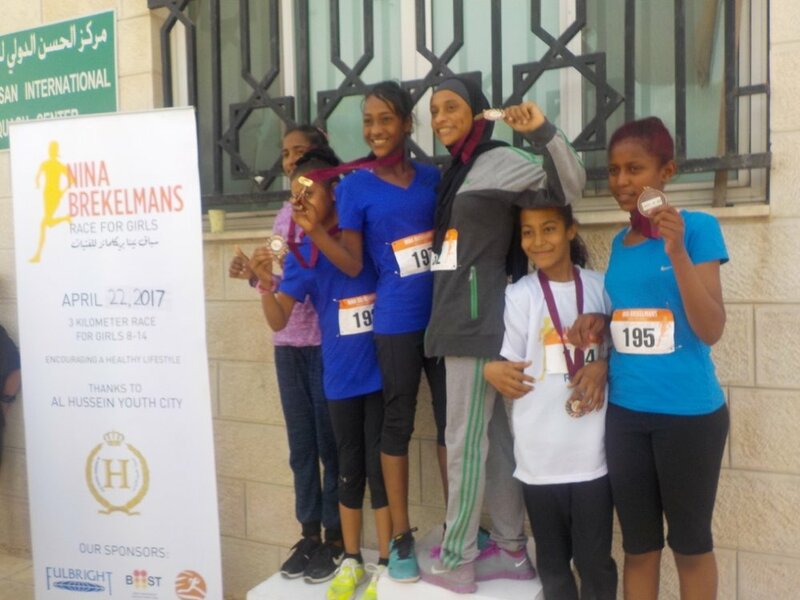 On a bright spring day in April 2014, Nina Brekelmans toed the line to compete in the half marathon at the Dead Sea Ultra race in Amman, Jordan. 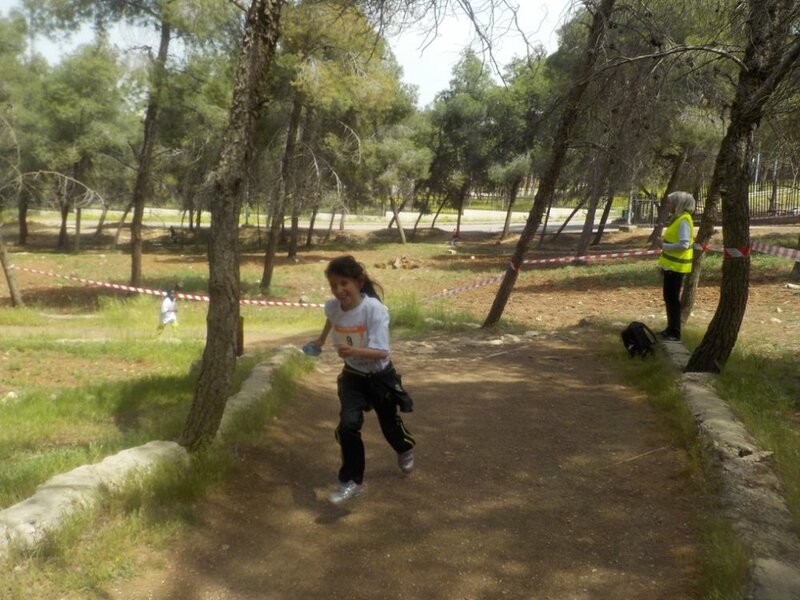 Although Nina had never competed in this distance before, she won. 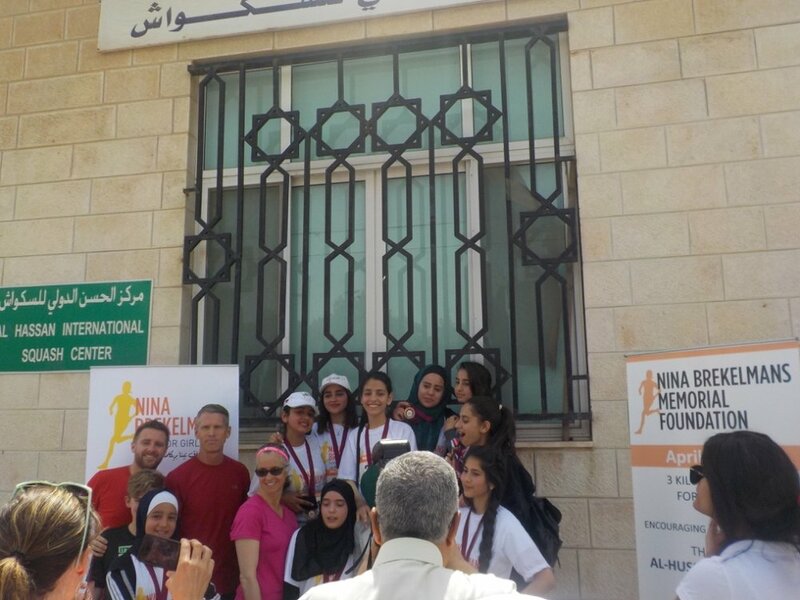 During a post-race interview, Nina described the race as particularly important to her because it was her last race in Jordan before returning to the United States Tragically, this would be the last race Nina would ever run in Jordan; in June 2015, Nina passed away in a house fire in Washington, DC. 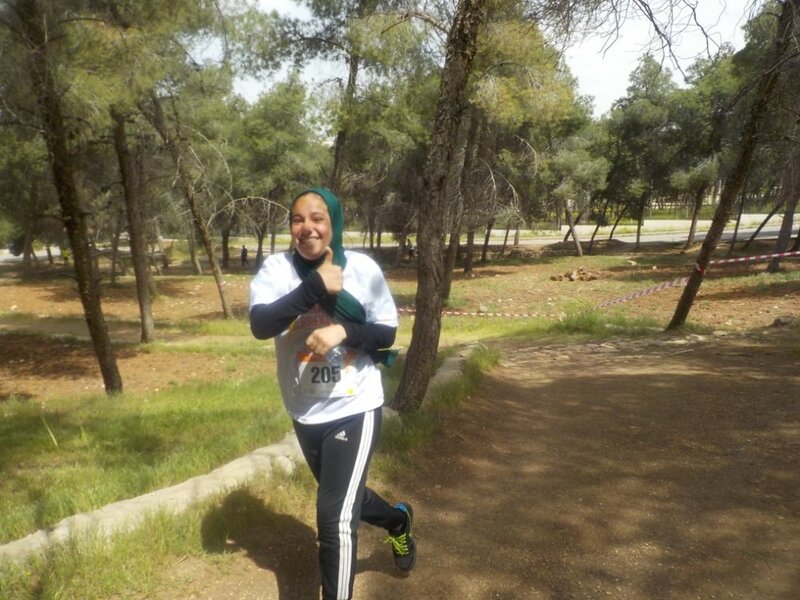 Nina was selected for a Fulbright U.S. Student grant in May 2015 and would have begun her research project in Jordan in August of that year. 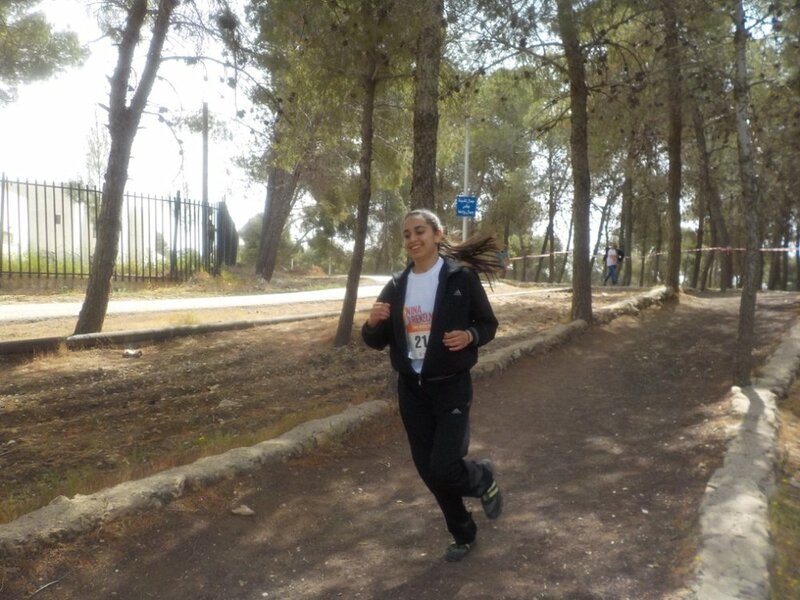 Nina’s passion for running intersected with and informed her scholarship. 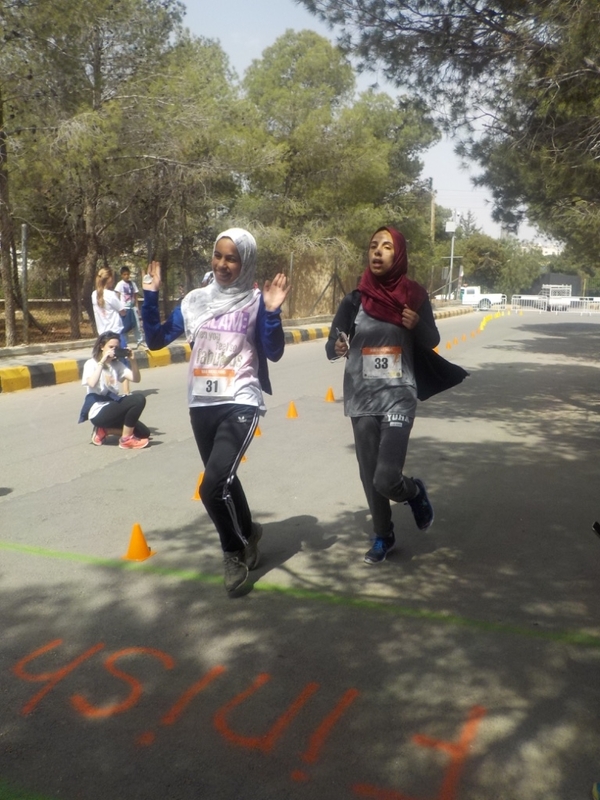 As a Fulbright U.S. Student, she planned to research how women’s involvement in elite-level distance running shifts cultural norms about women’s roles in society. 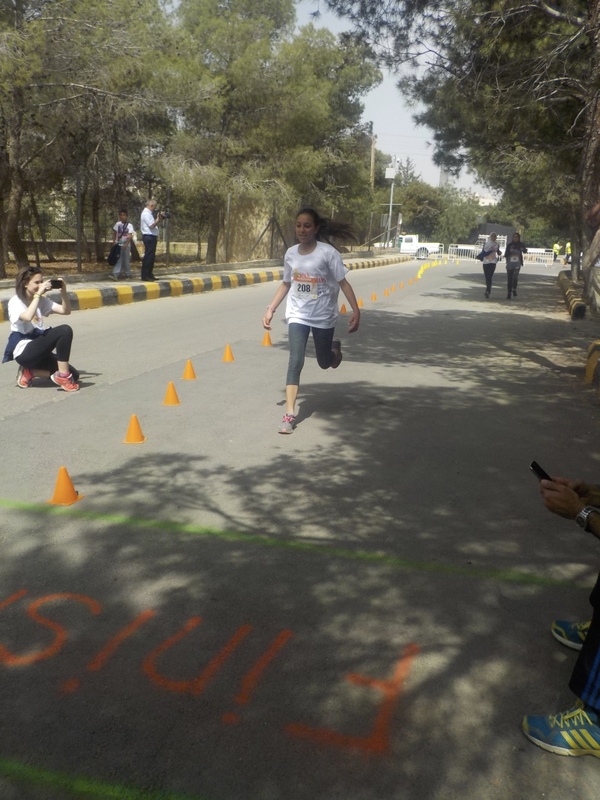 Nina hoped to use this research in her lifelong endeavor to promote female participation in athletics. 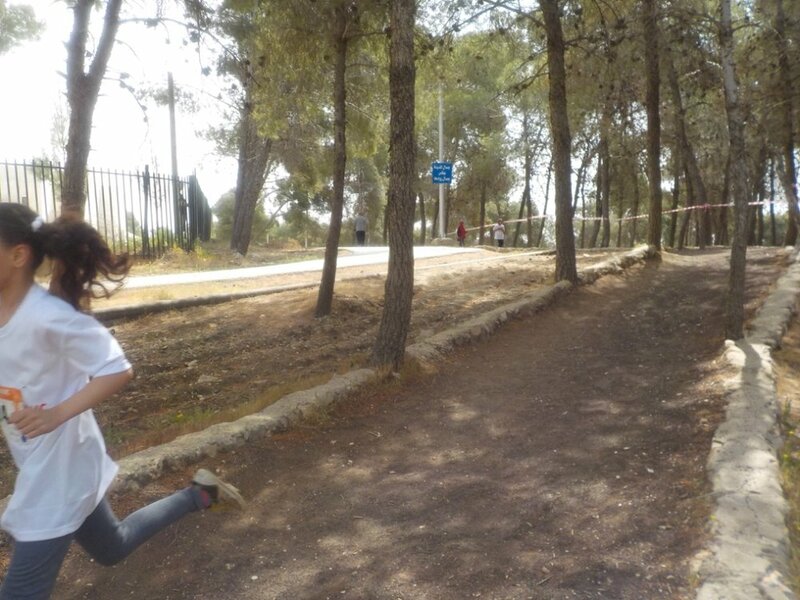 To be sure, Nina was well-suited for this project. 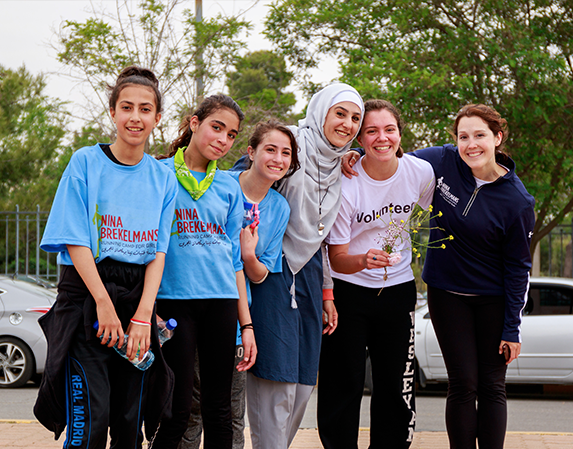 During her time in Jordan as a Boren Fellow in 2013-2014, she connected with athletes, coaches, and local running organizations, all of whom embraced Nina as one of their own. 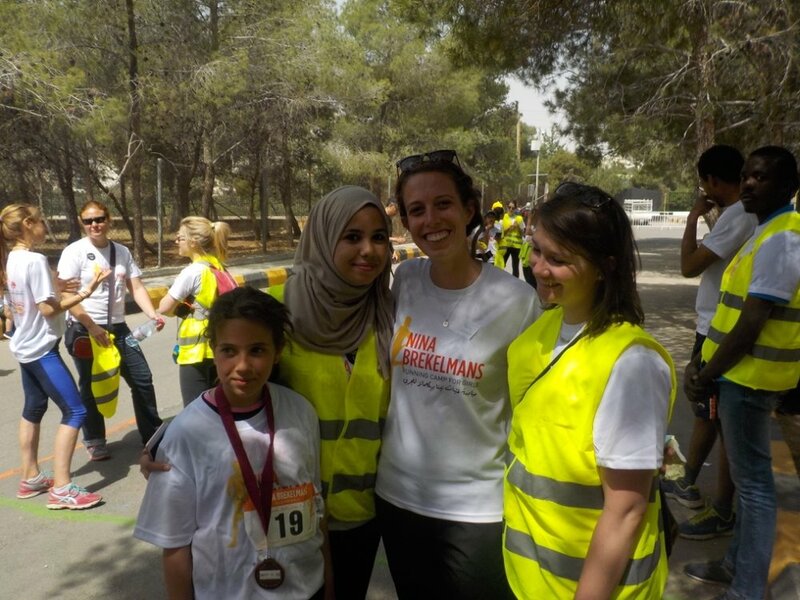 Following Nina’s untimely death, the U.S. Department of State and theBinational Fulbright Commission in Jordan (sponsors and administrators of the Fulbright Program in Jordan) decided to create a community engagement award to honor Nina’s legacy and to help her research continue in Jordan. 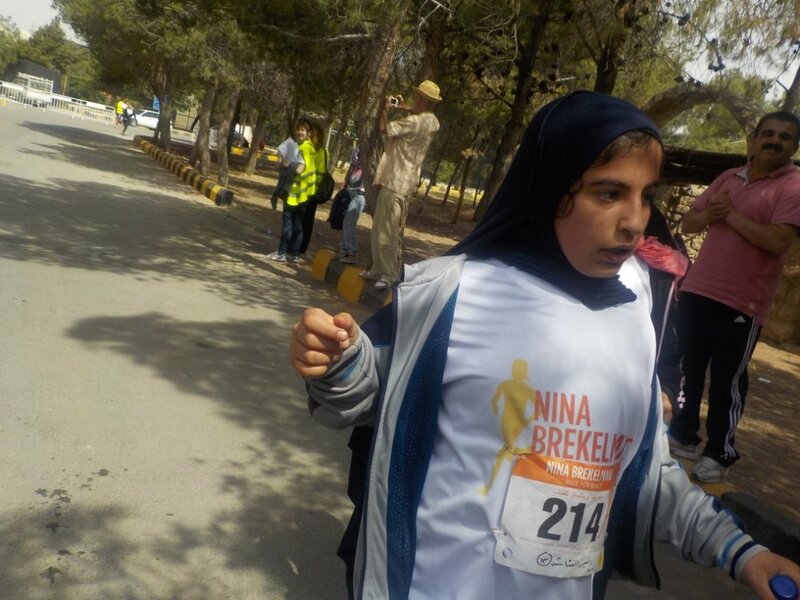 The prize was $1,000 to fund a project that promoted Nina’s vision of female empowerment through running. 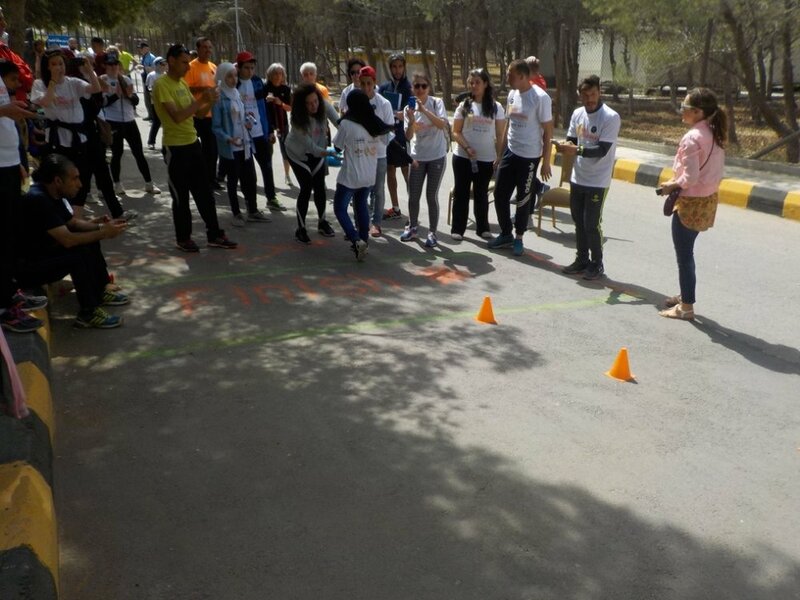 This year’s Fulbright U.S. Student group in Jordan worked together to create a proposal. 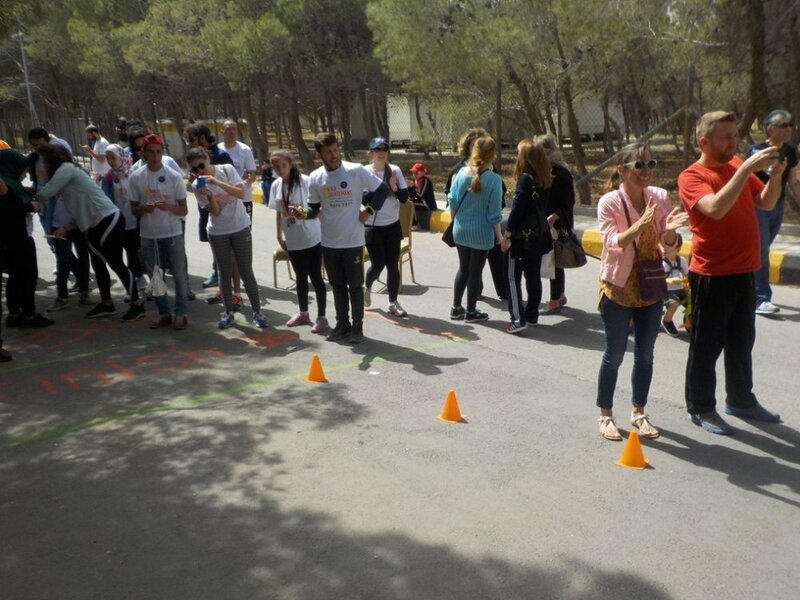 Nina’s friends and family in the United States gave us the idea to do a camp. 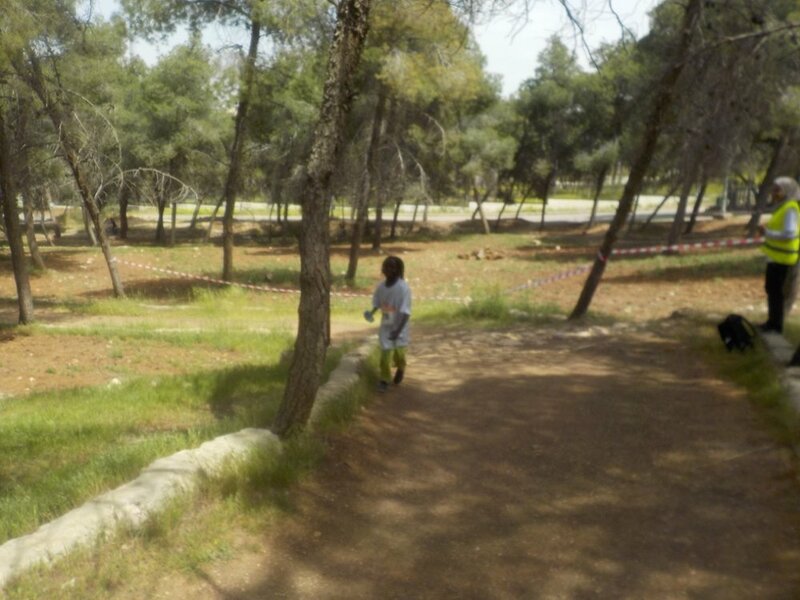 They had talked about creating one, but they didn’t have any on-the-ground connections in Jordan to make it a reality. 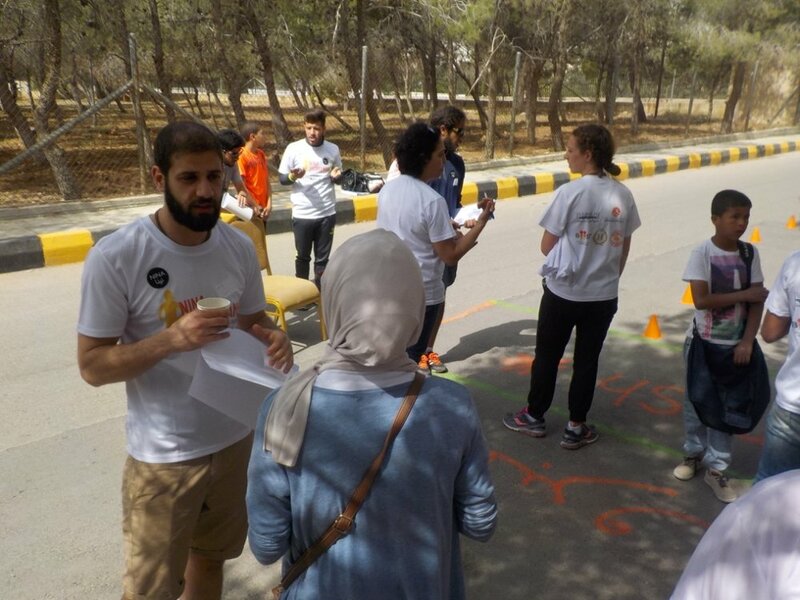 Together, we started laying out the groundwork based on their ideas and the possibilities in Amman. 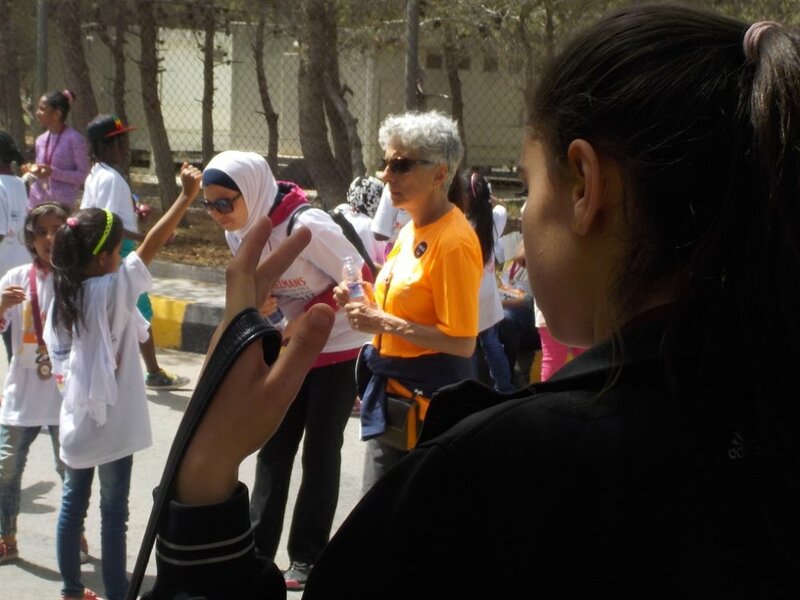 Planning the camp was easy, largely because Nina was so well respected by everyone she met. 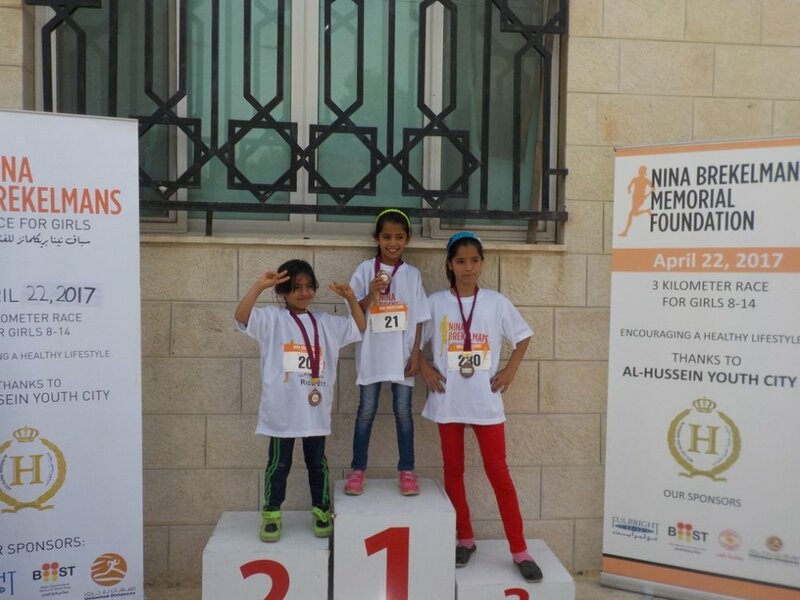 Every idea we had was met with a quick solution through people who knew Nina and wanted to support her legacy. 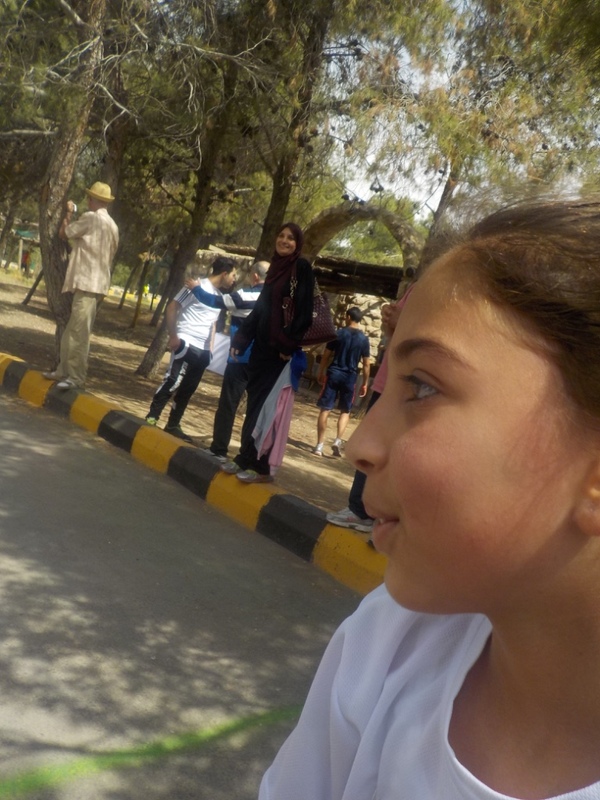 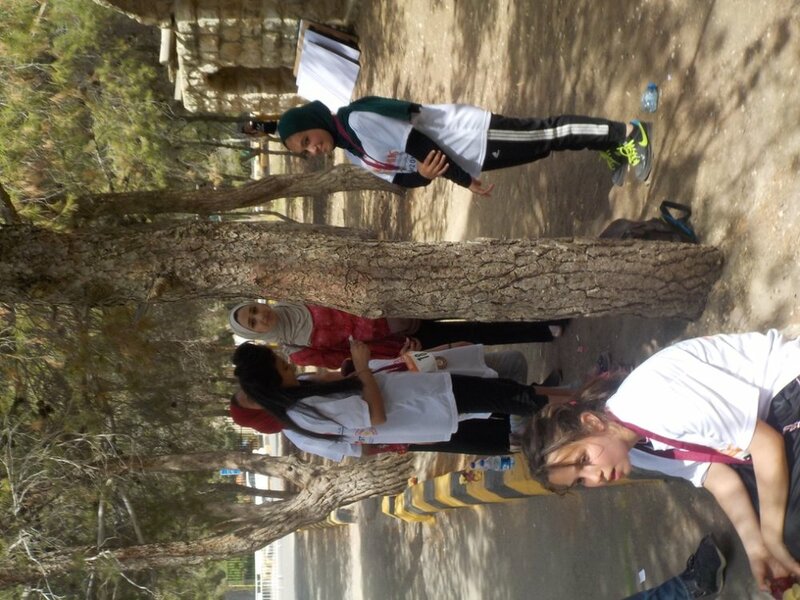 We needed a location: one of her friends in Jordan had connections to Sports City where we could host the camp for free; we needed a coach: one of Jordan’s premier marathon runners happened to be her trainer and friend; we needed speakers to talk to the girls about healthy living: Nina had worked with countless people in Jordan towards this end. 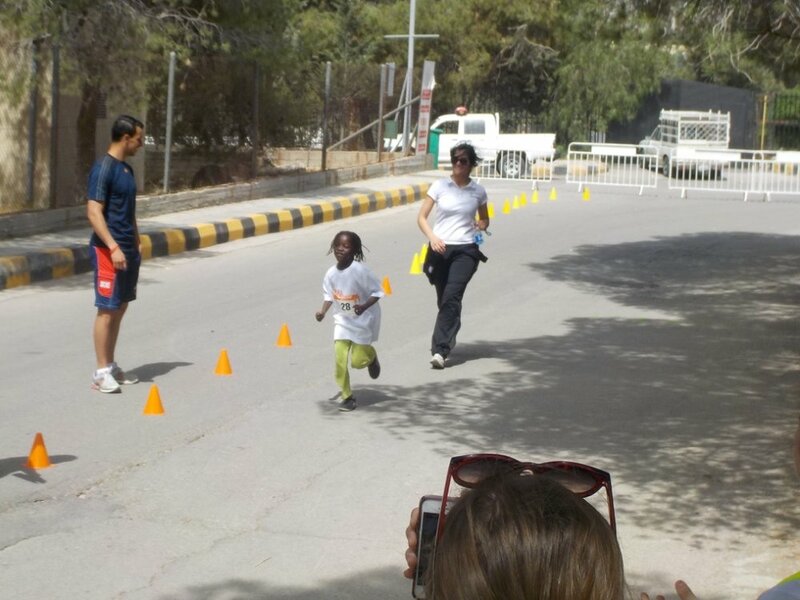 Nina was there in spirit and helping the camp every step of the way. 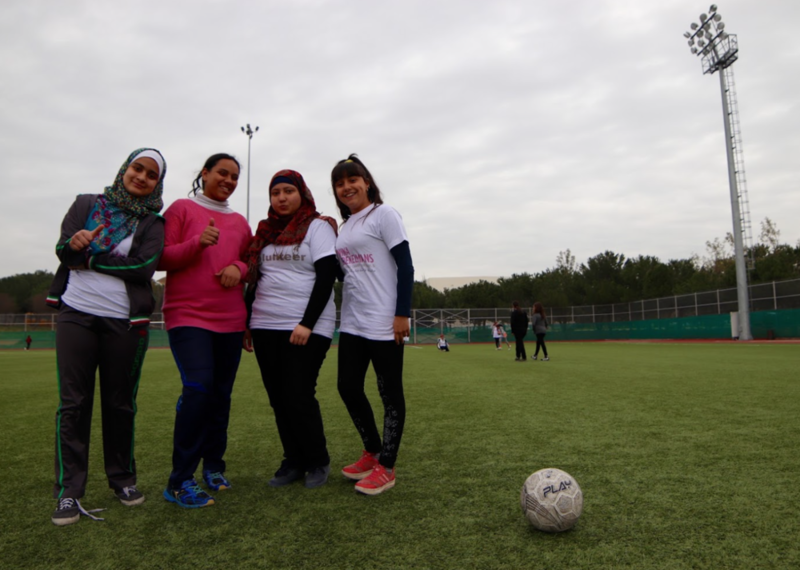 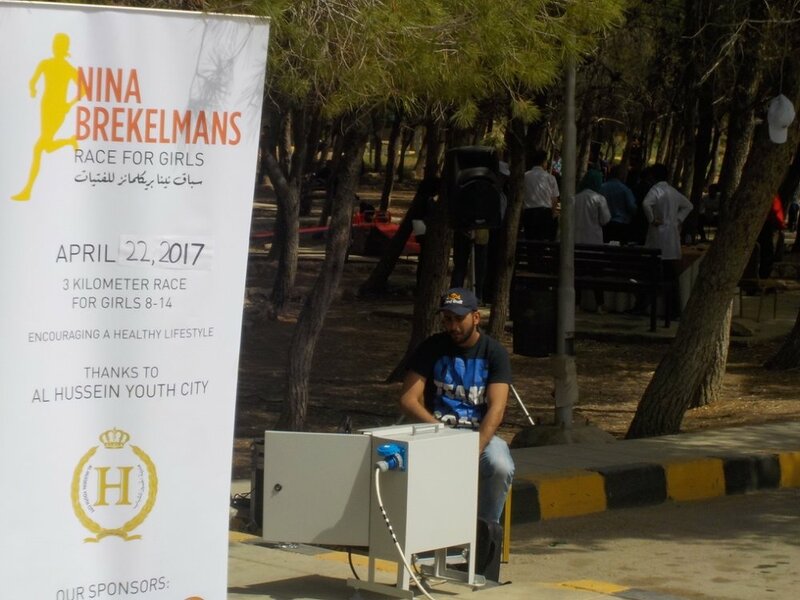 The Nina Brekelmans Camp for Girls officially launched on February 27, 2016, and continued for five consecutive Saturdays ending on March 26. 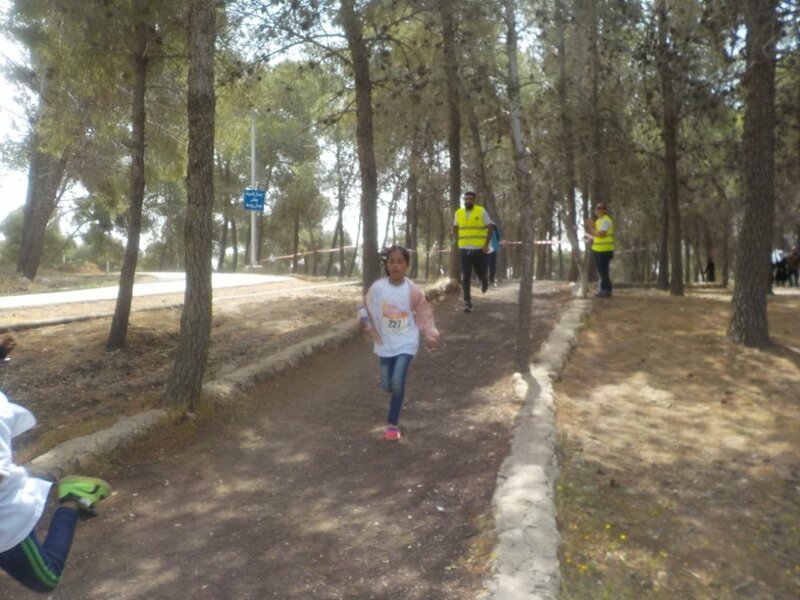 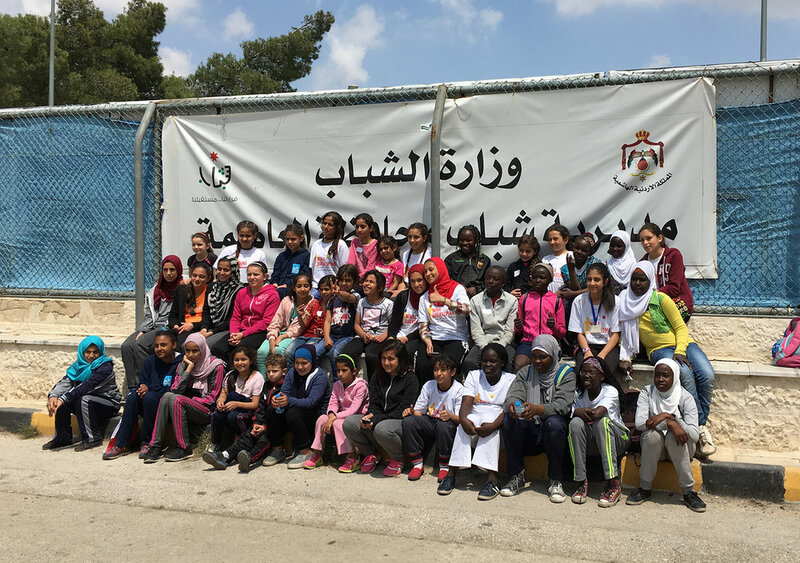 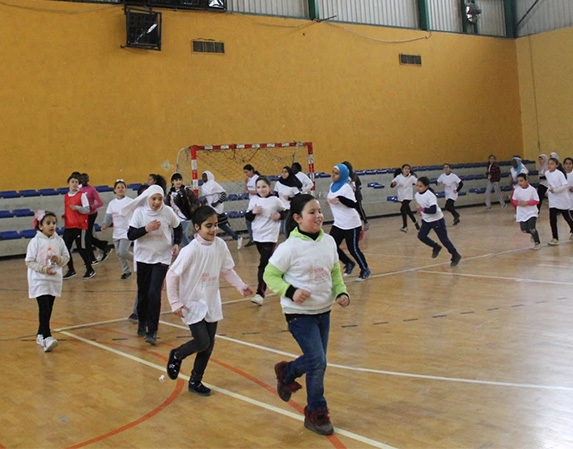 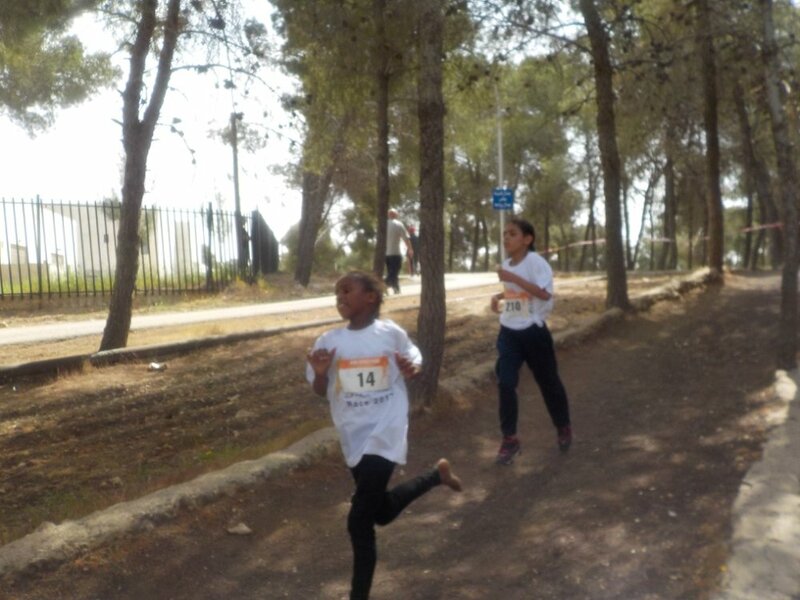 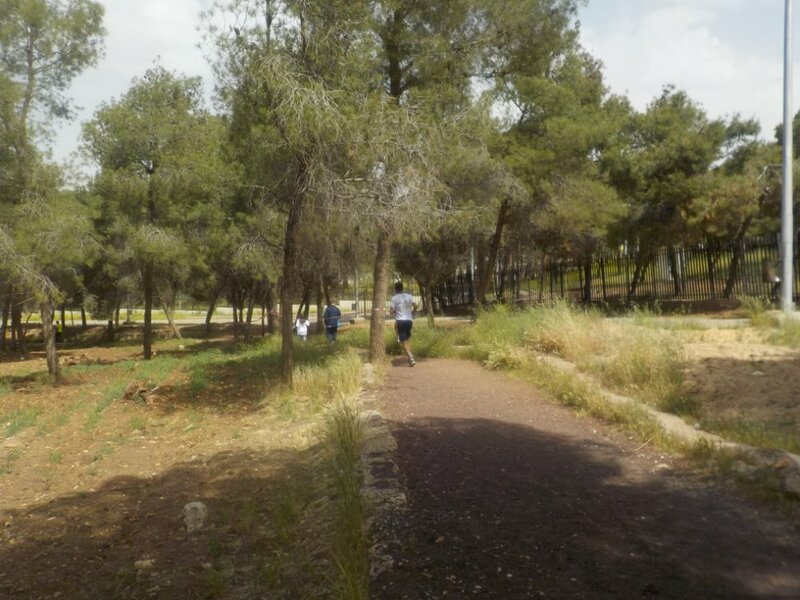 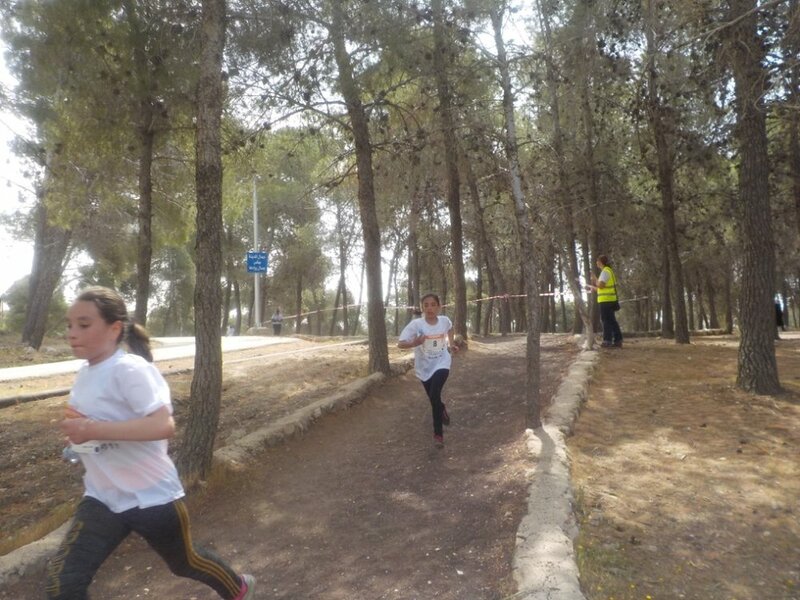 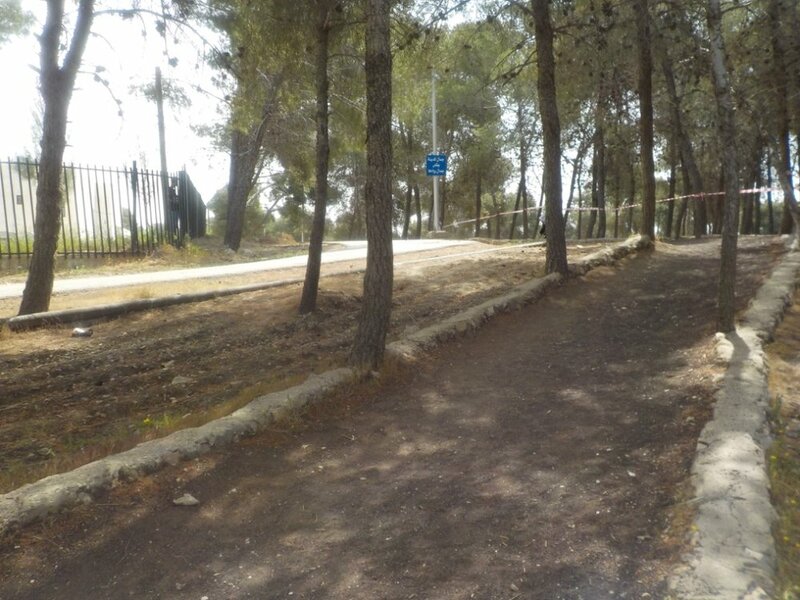 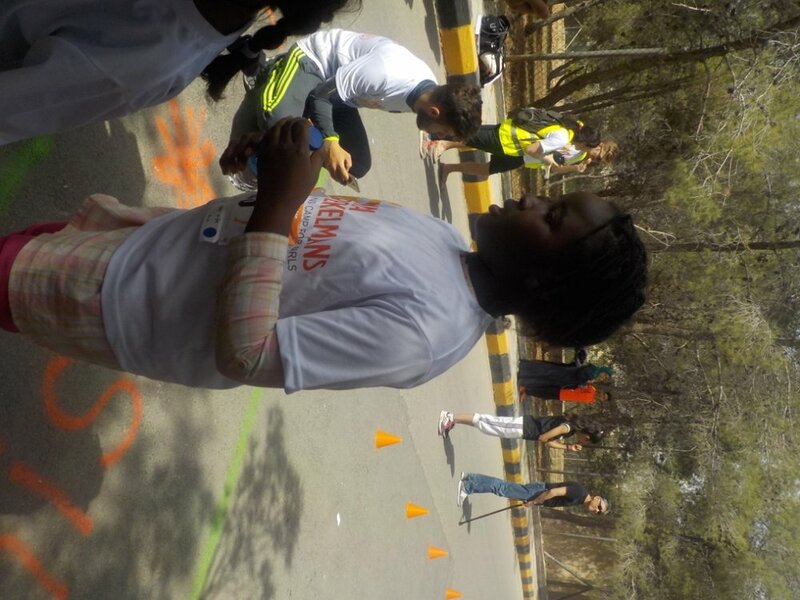 Each day started with a 2-4 km run with the fifteen girls, ages 8-14, who participated in the camp. 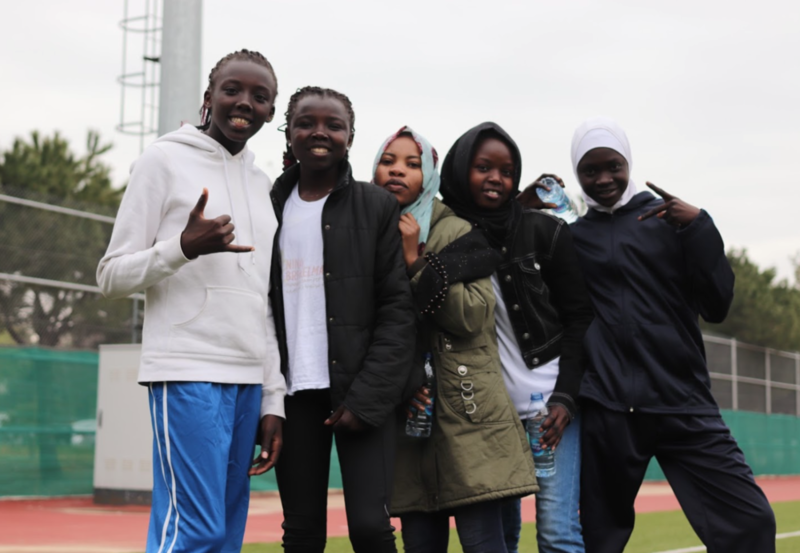 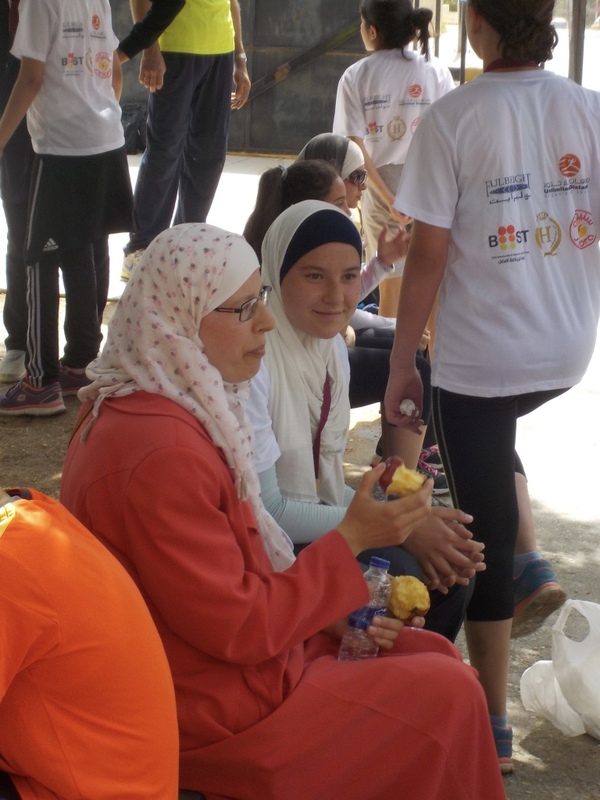 Afterwards, a guest speaker addressed the girls on topics ranging from the health and emotional benefits of running to the importance of strength training and proper nutrition. 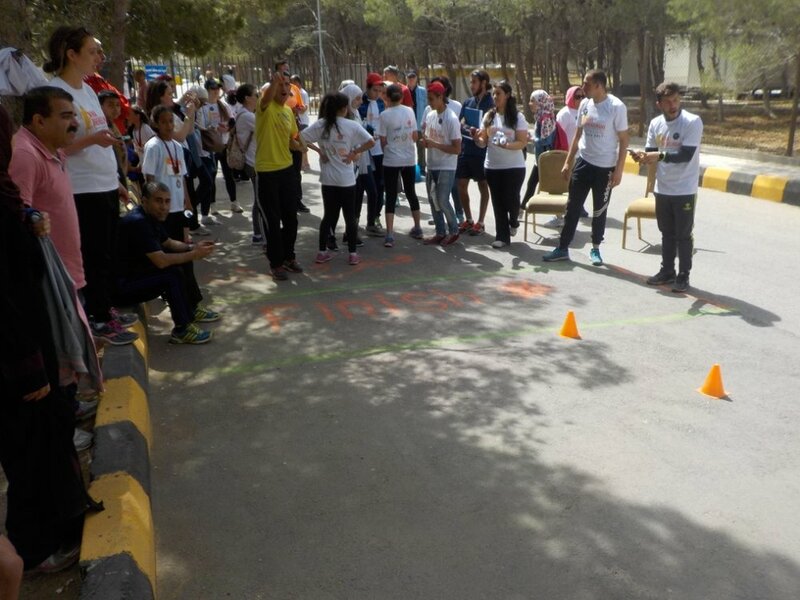 In the afternoons, we focused on team-building exercises, with a focus on positive self-image and empowerment. 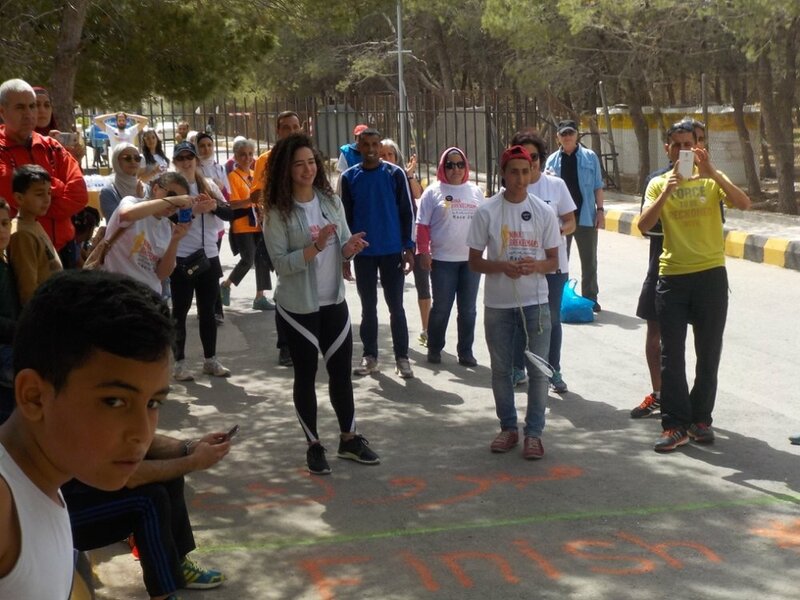 Through these sessions, we worked to instill a love of running and foster bonds of friendship and a supportive community. 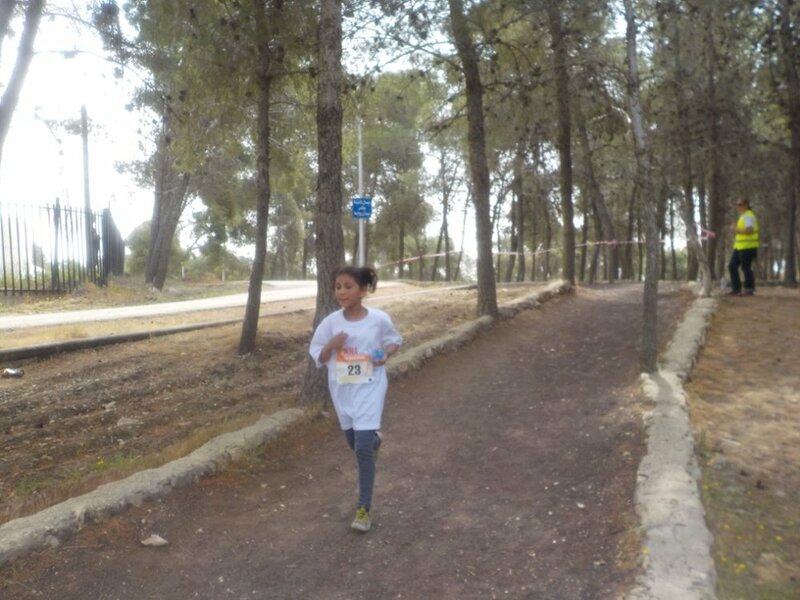 On April 9, the camp comes to a close with a 3 km race for girls ages 8-14. 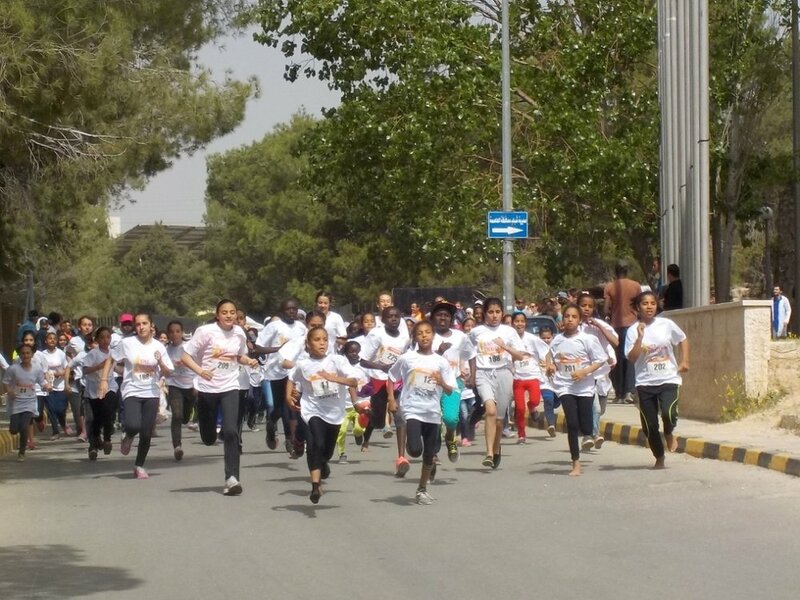 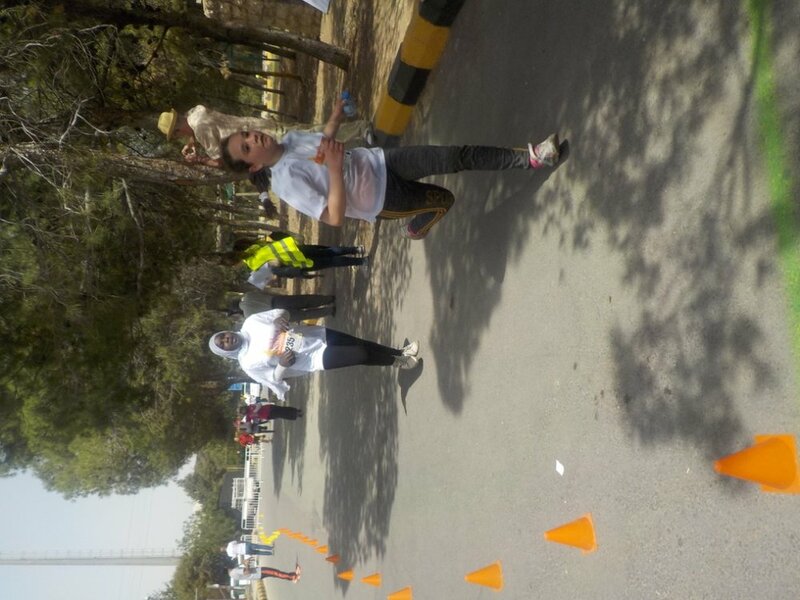 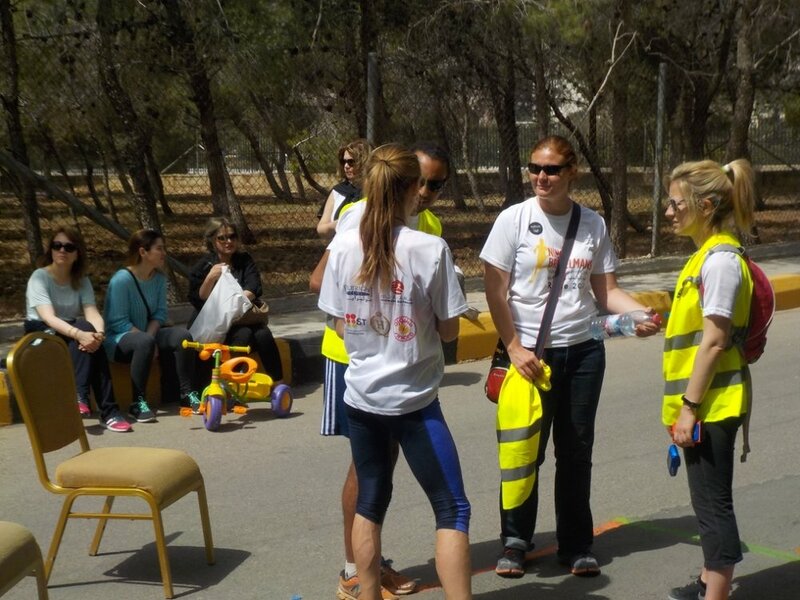 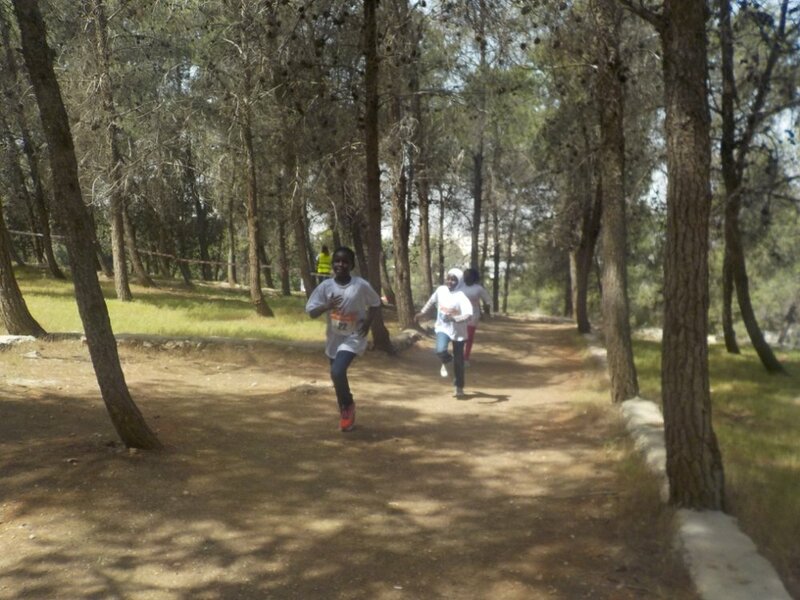 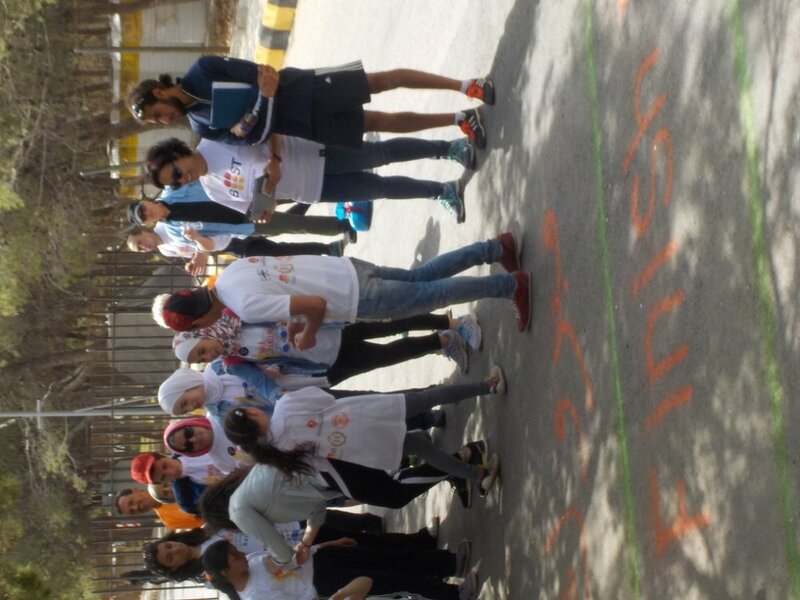 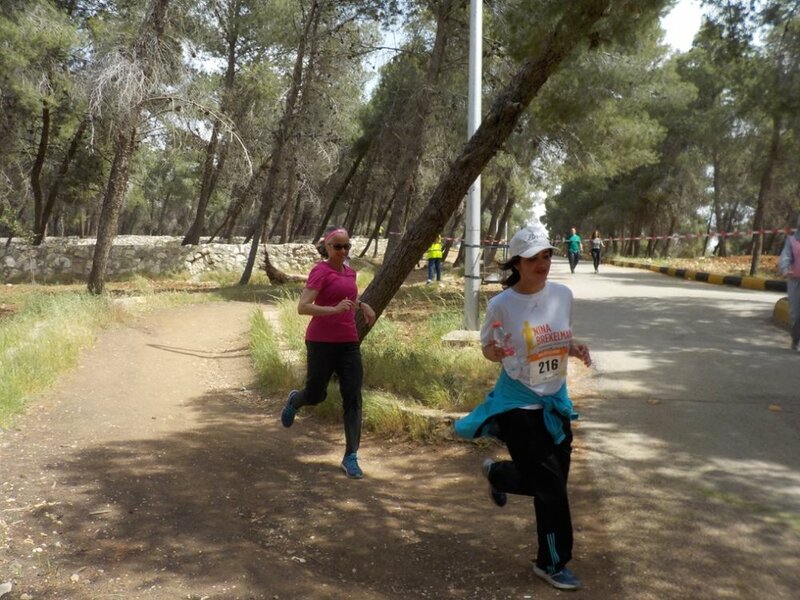 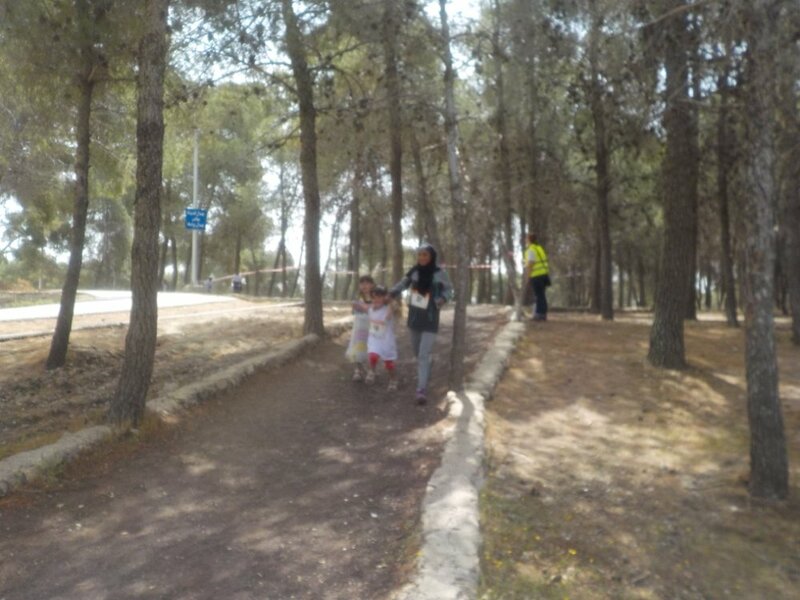 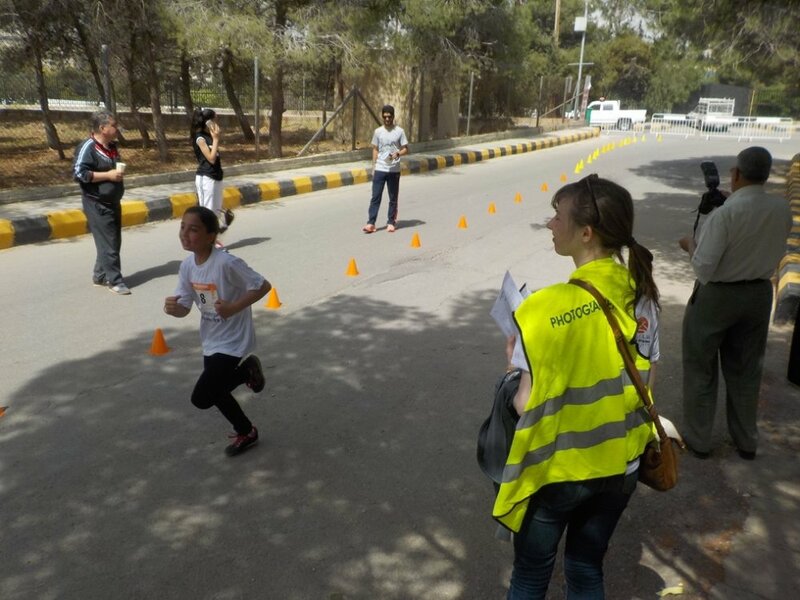 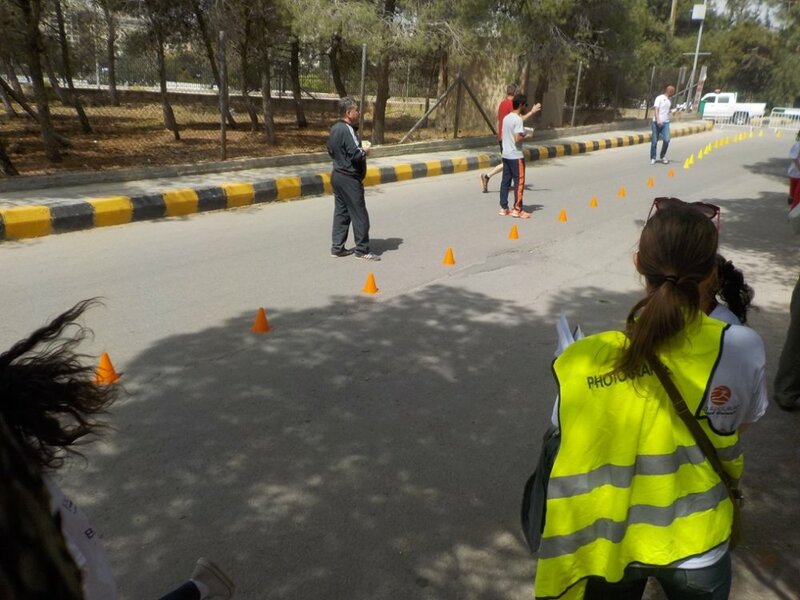 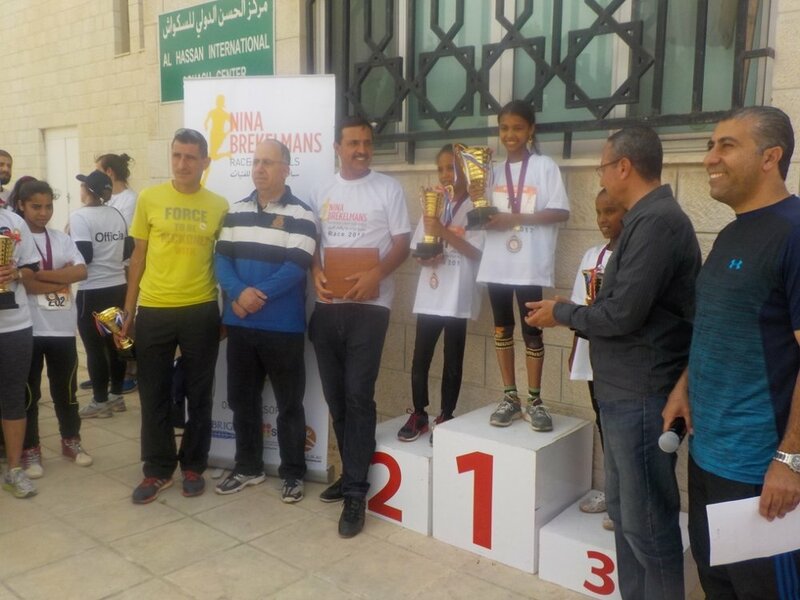 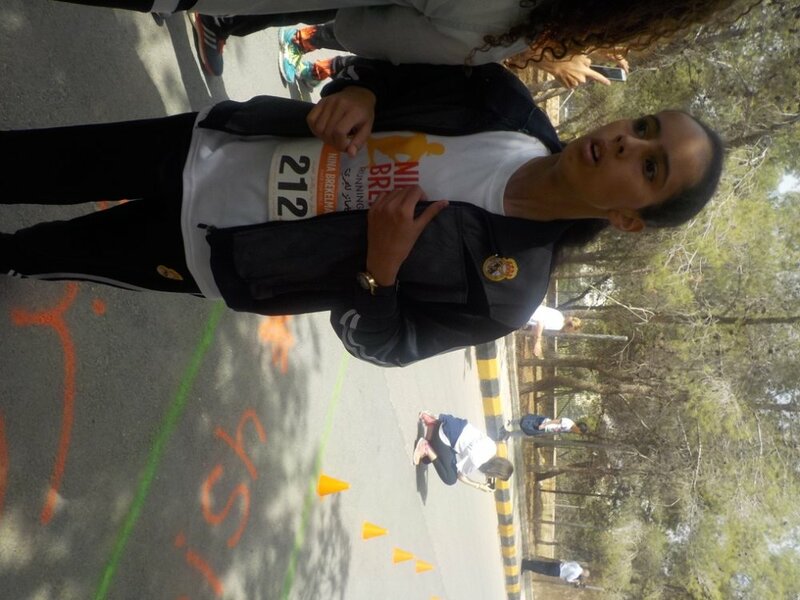 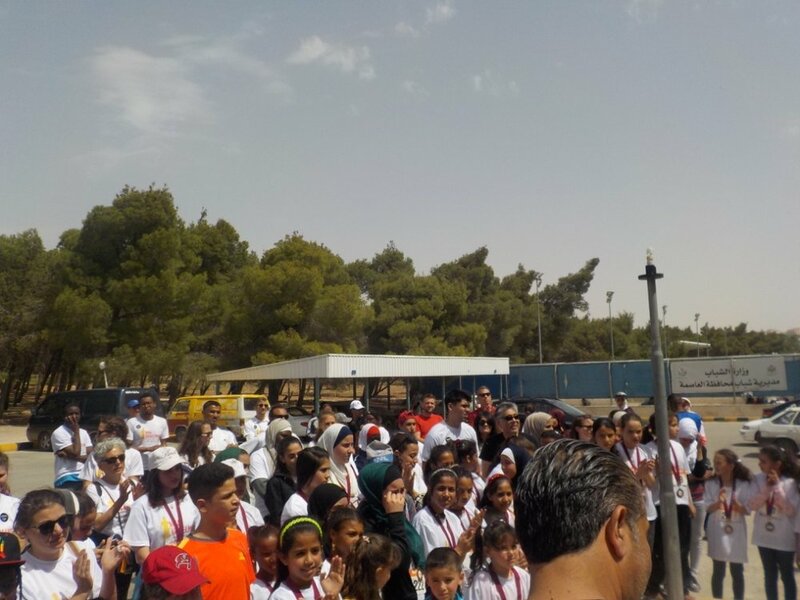 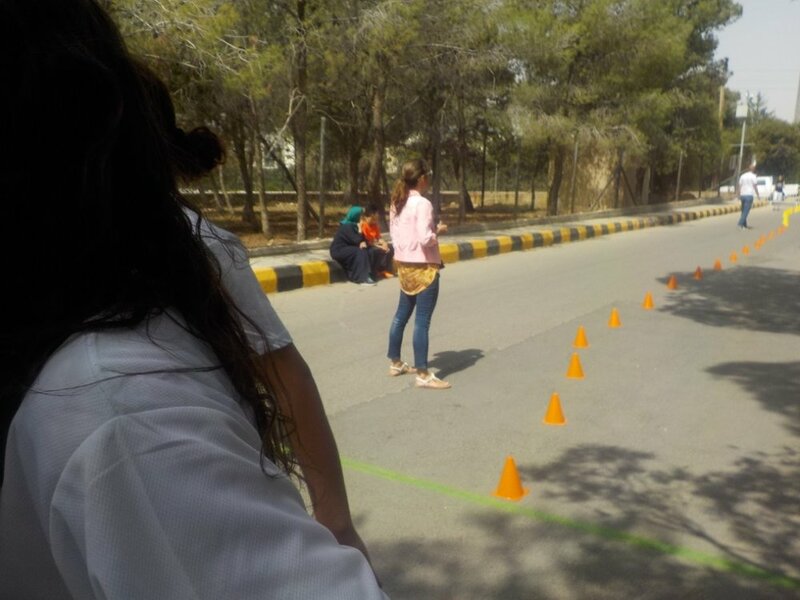 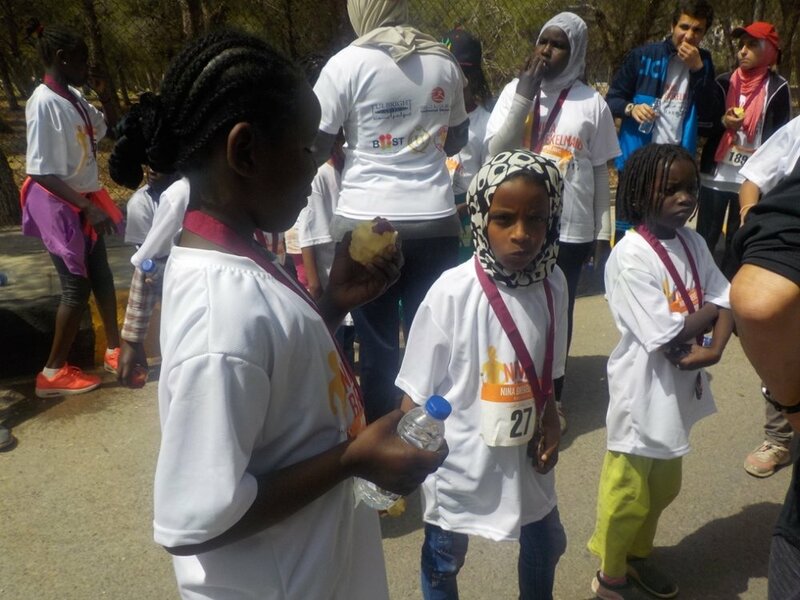 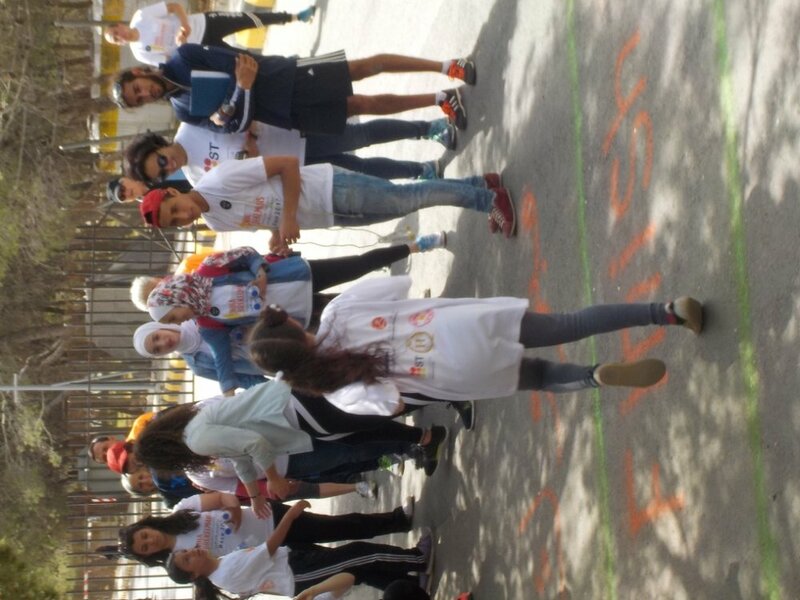 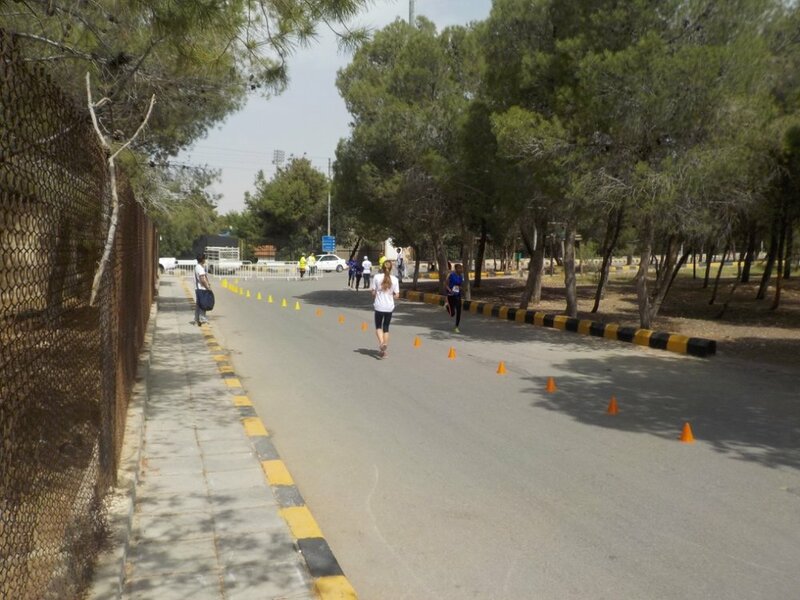 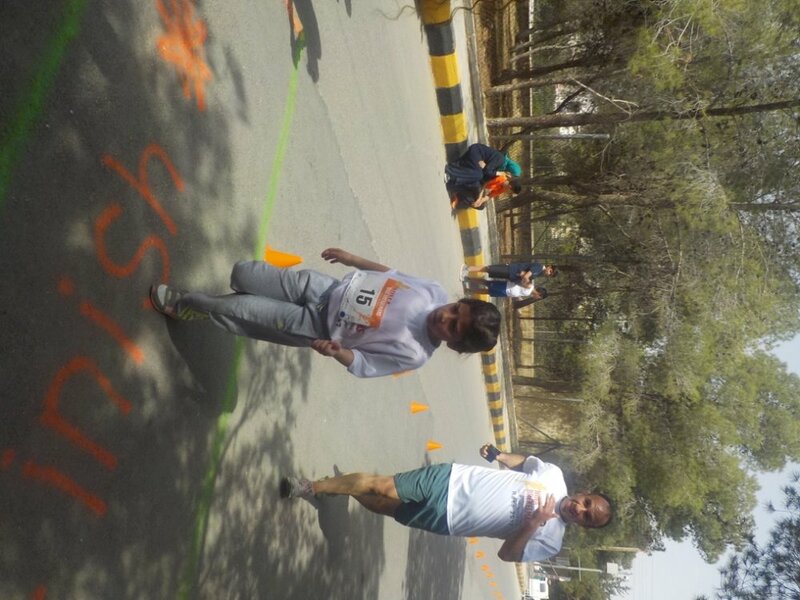 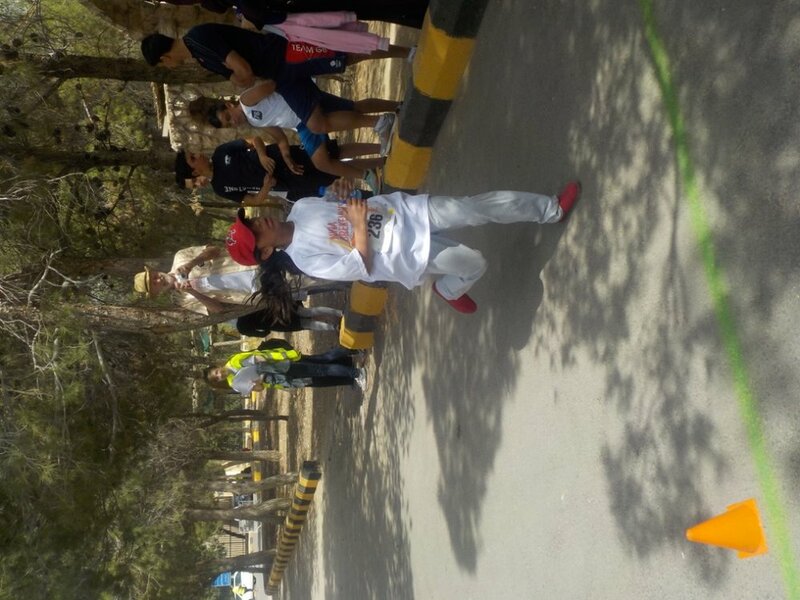 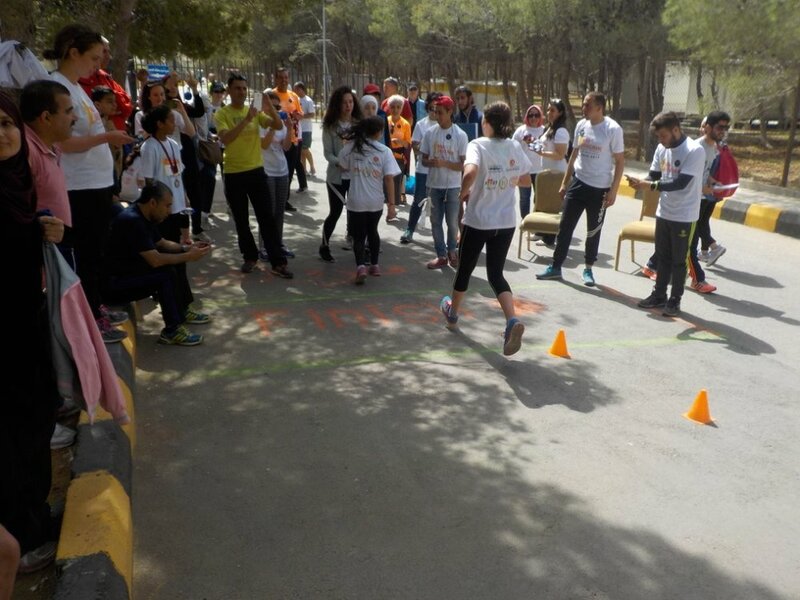 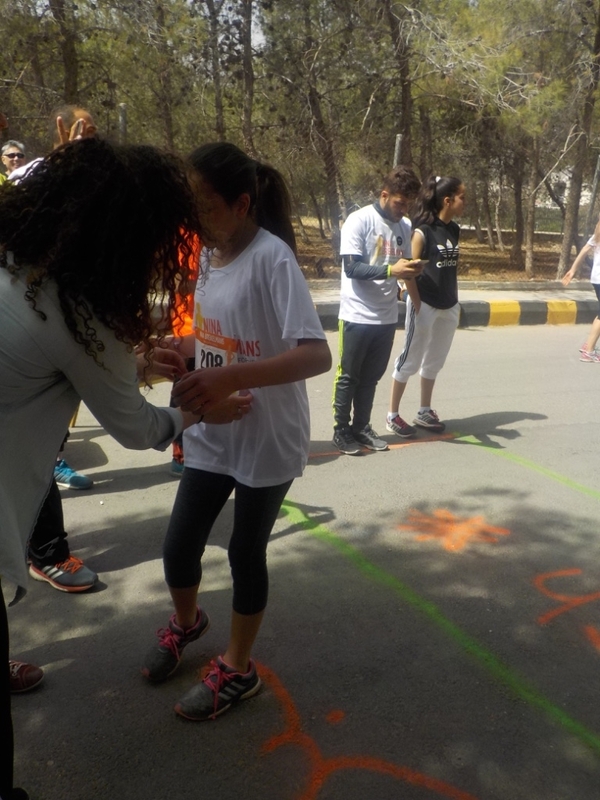 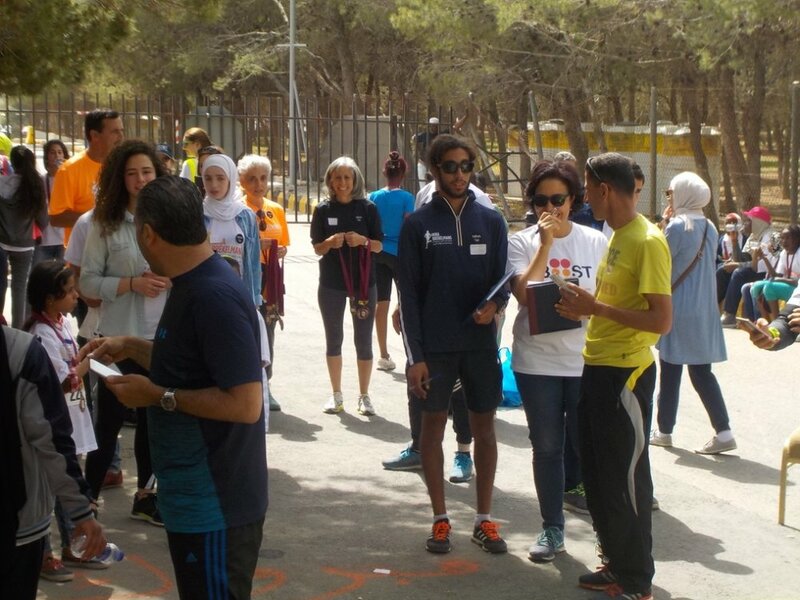 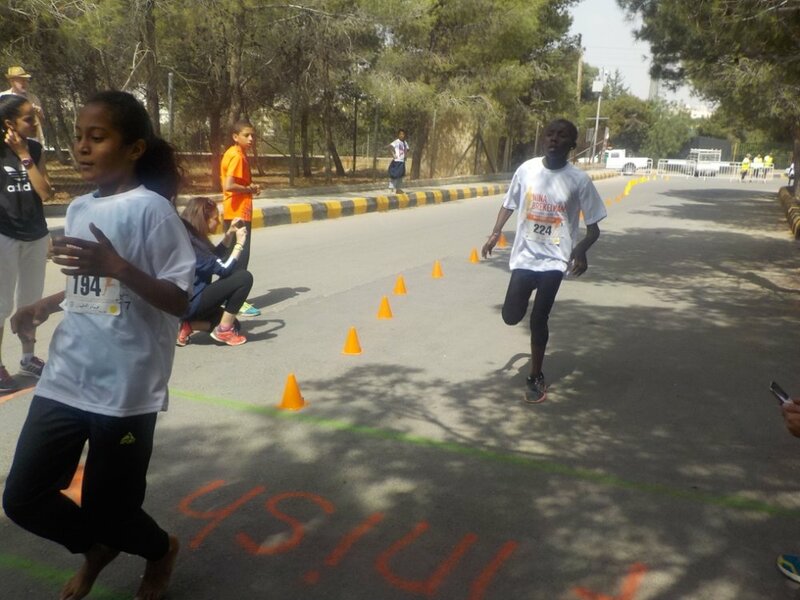 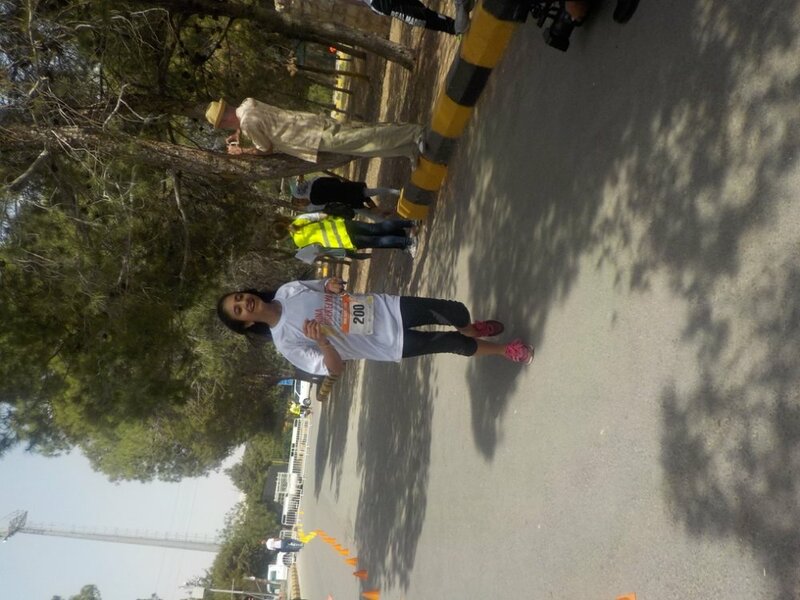 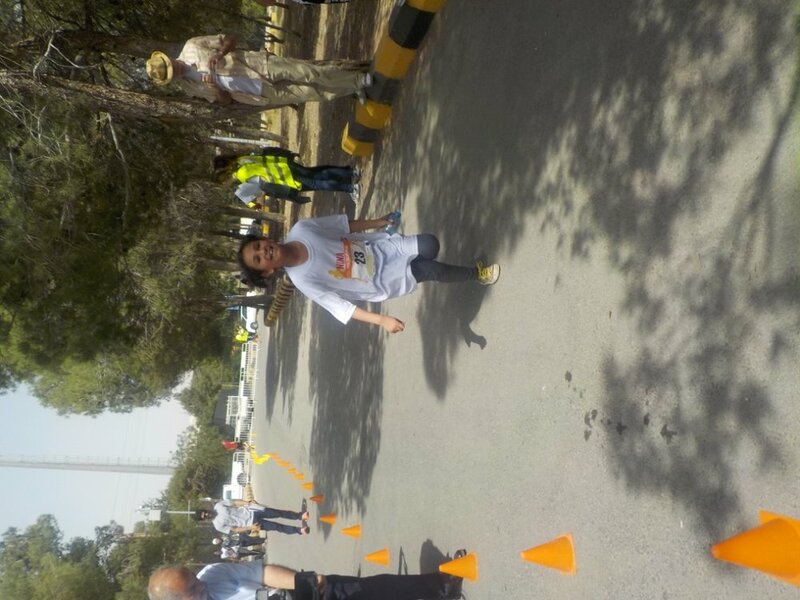 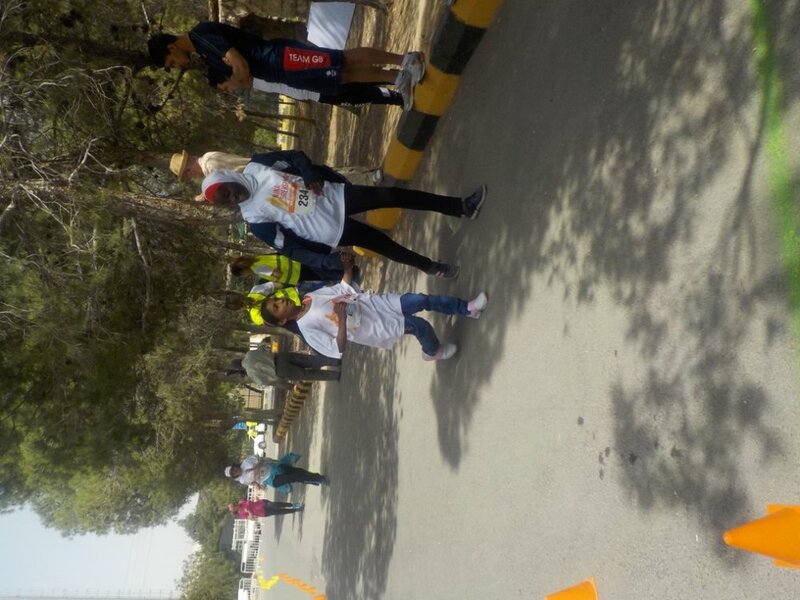 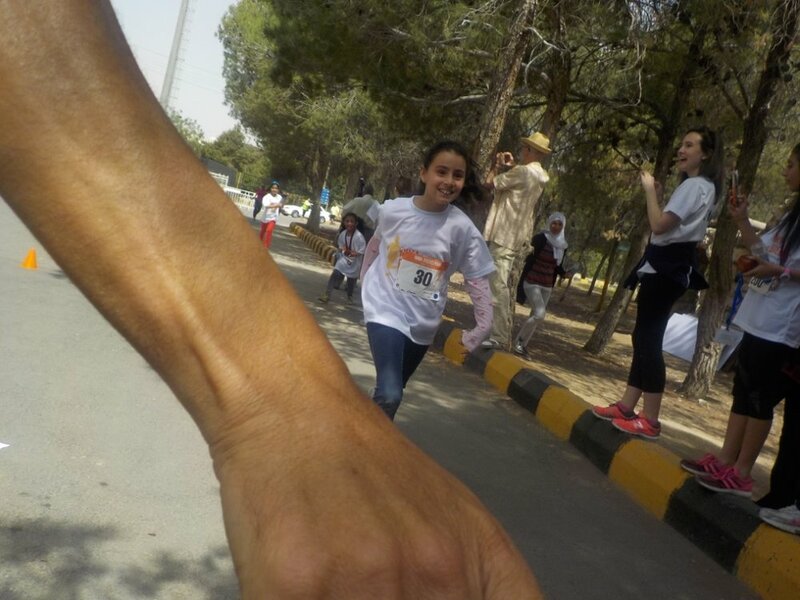 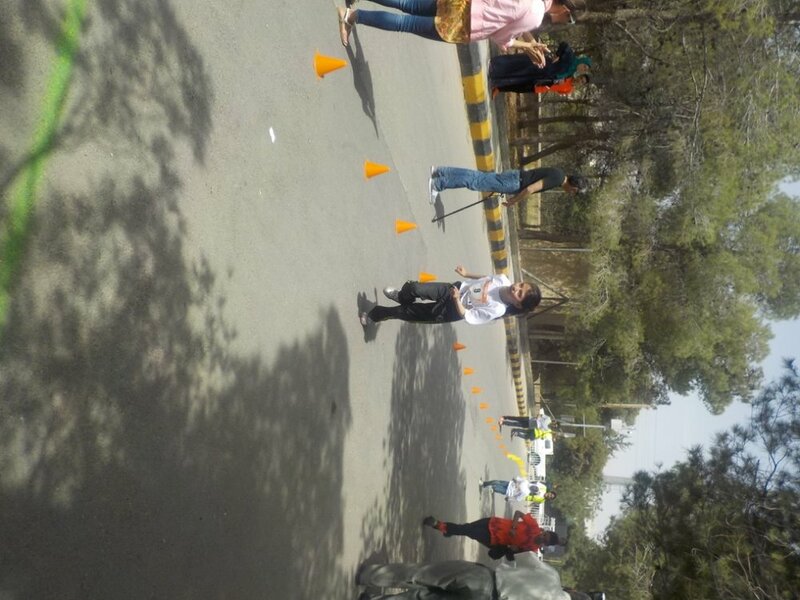 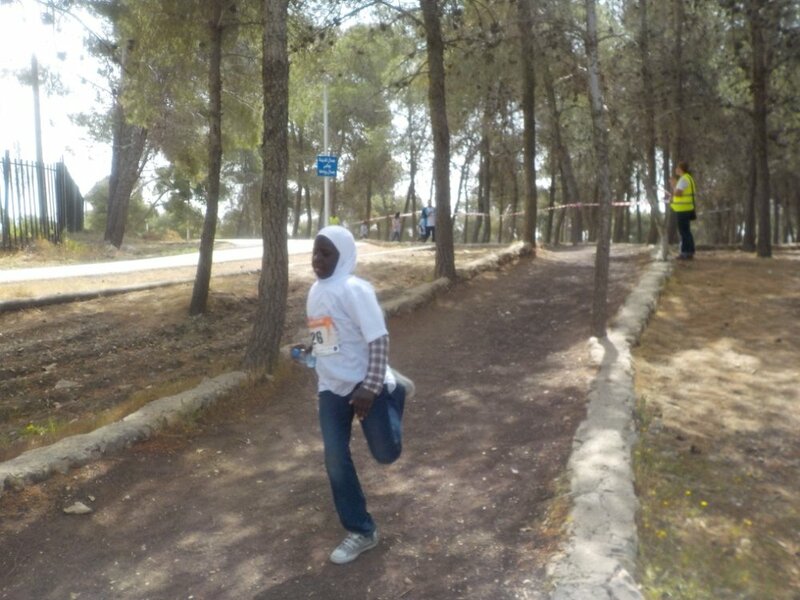 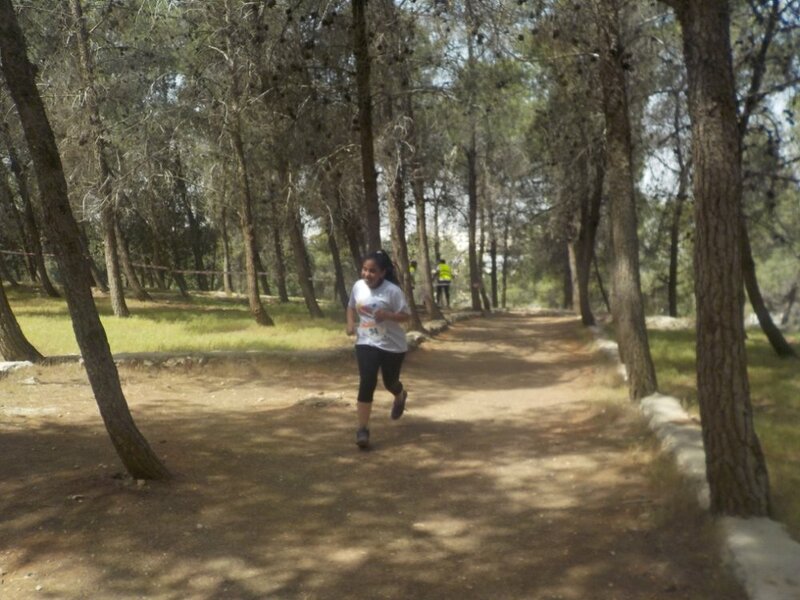 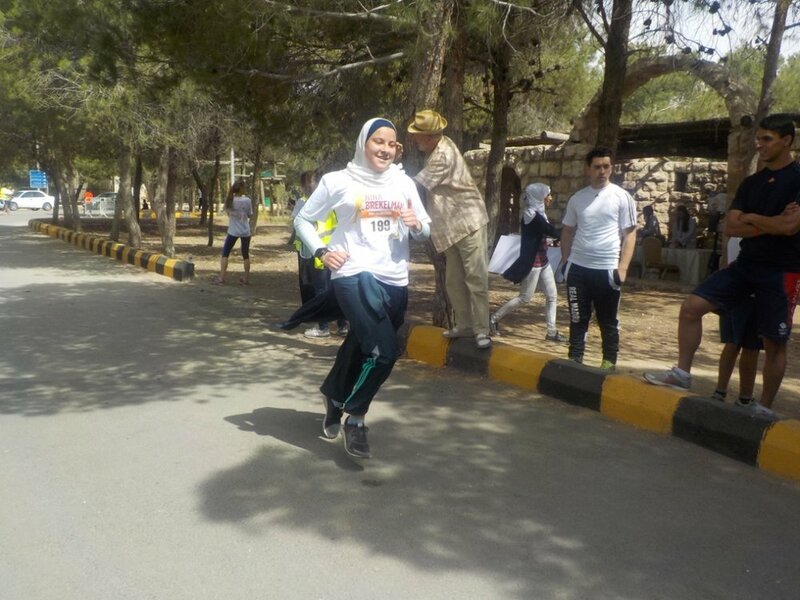 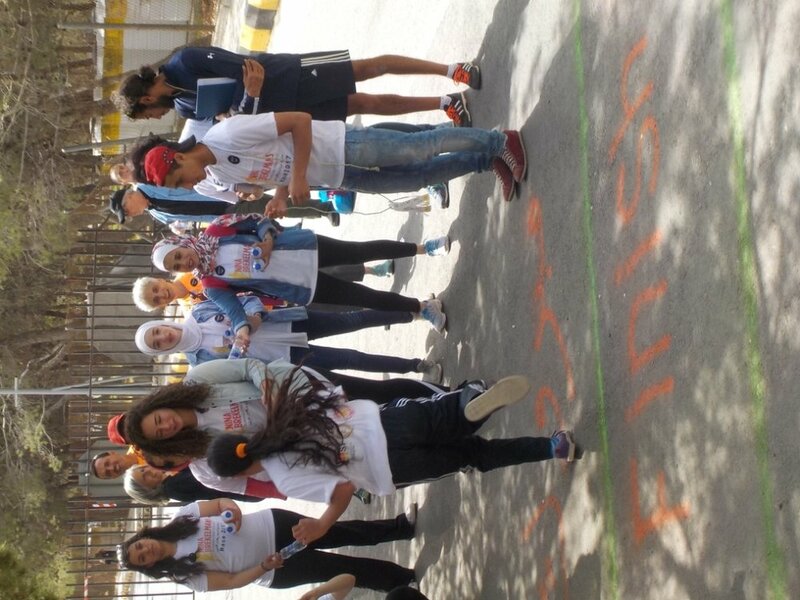 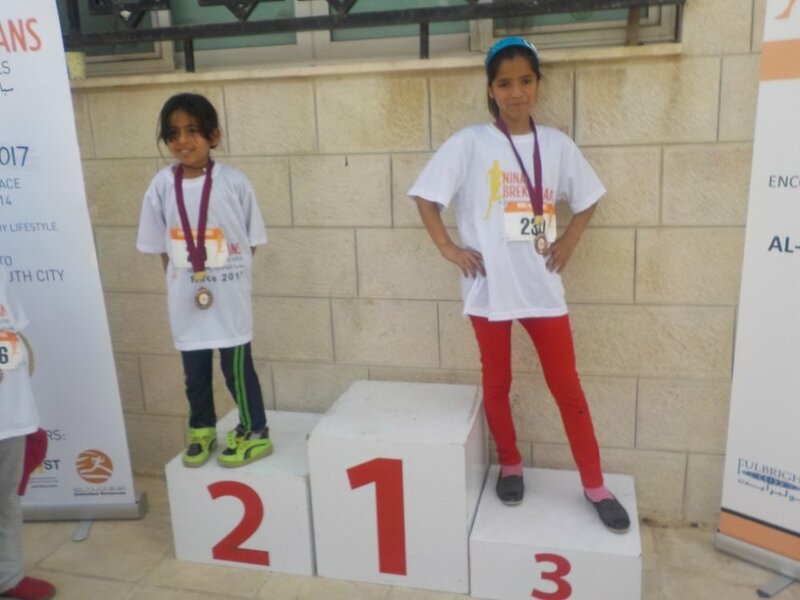 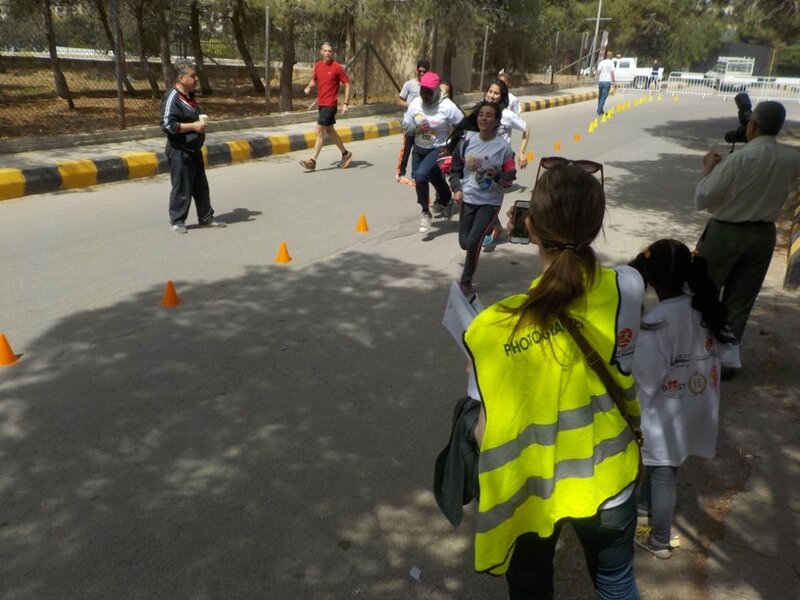 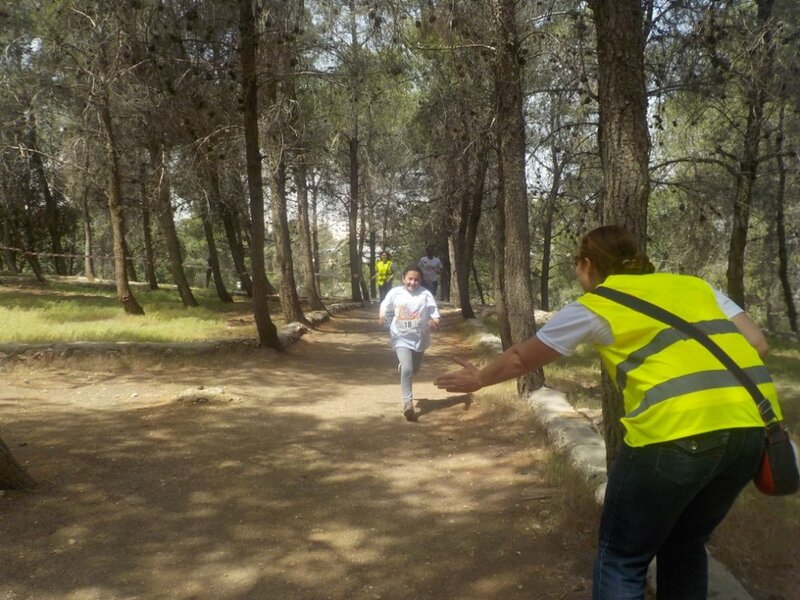 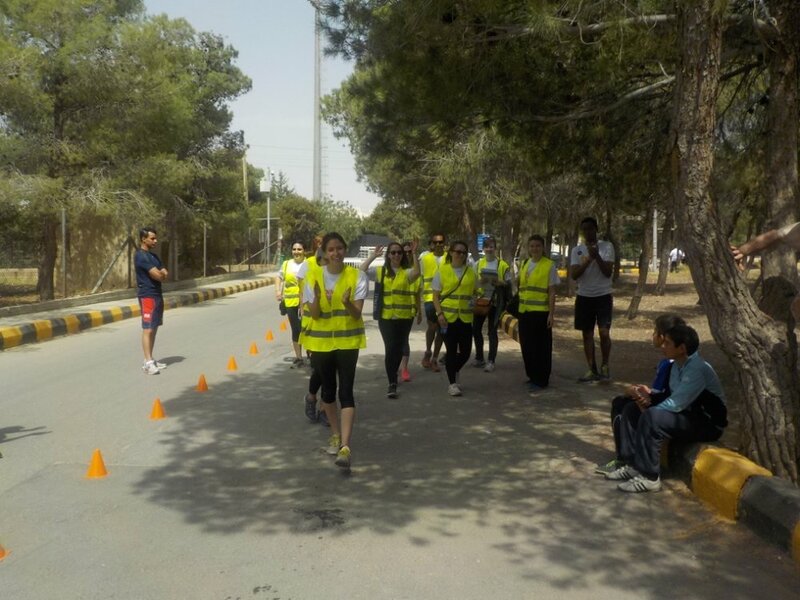 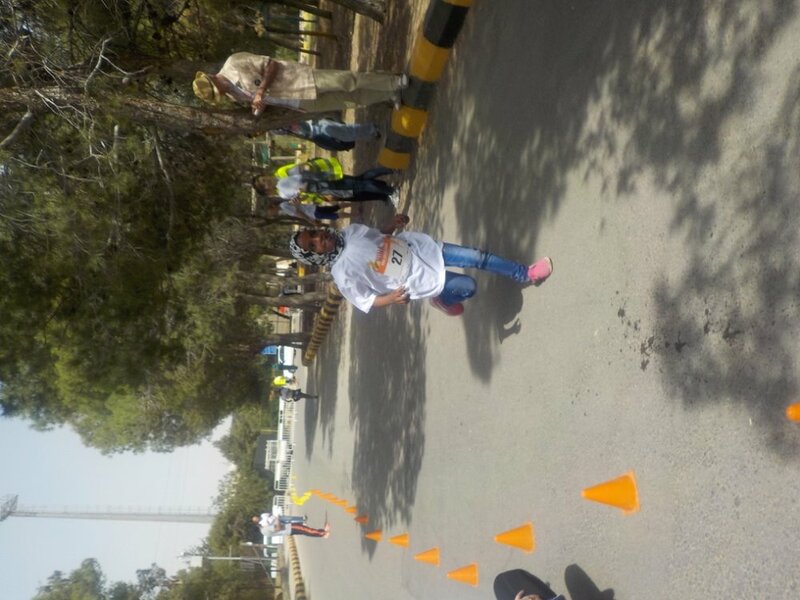 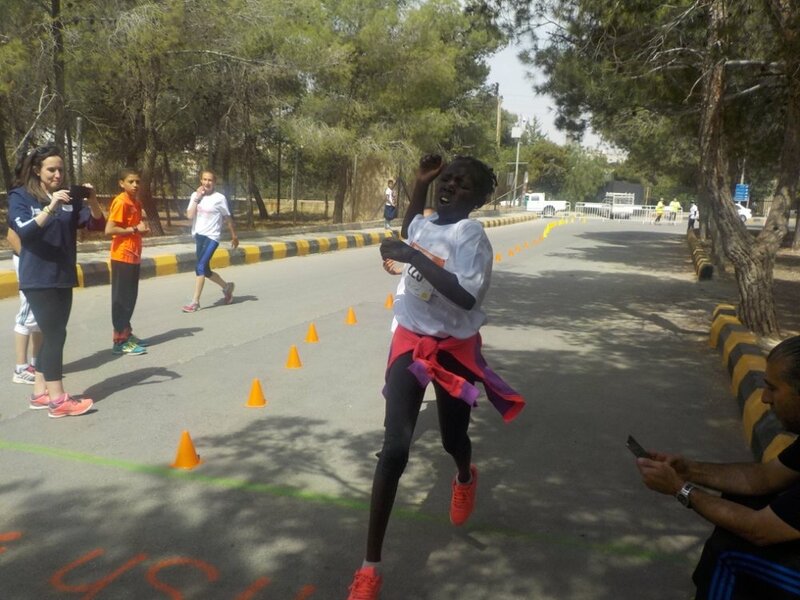 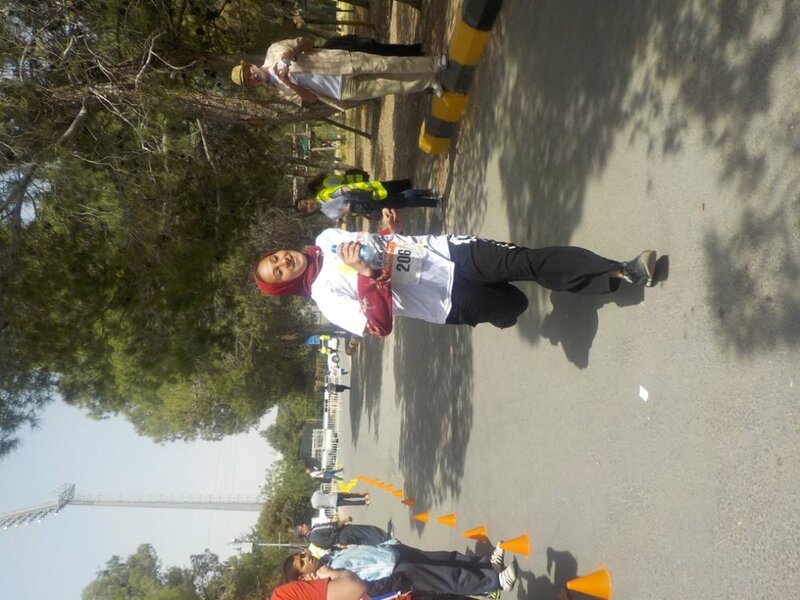 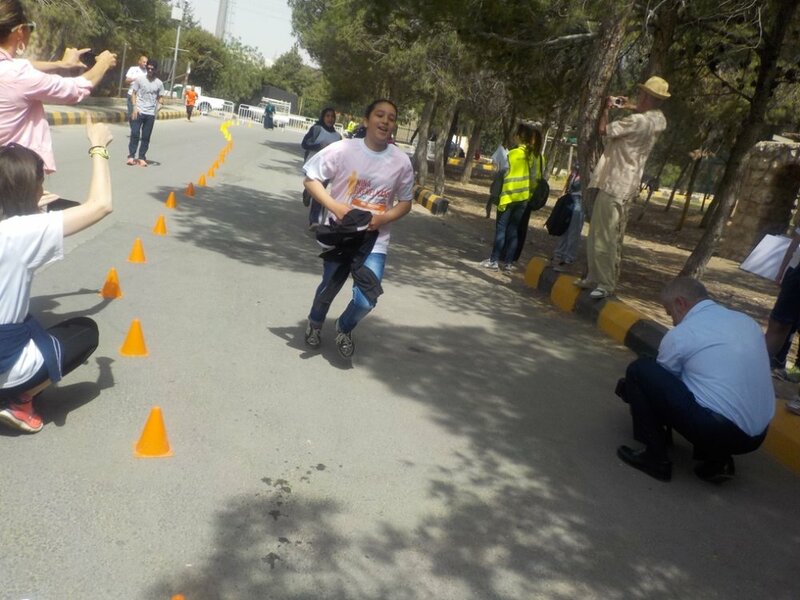 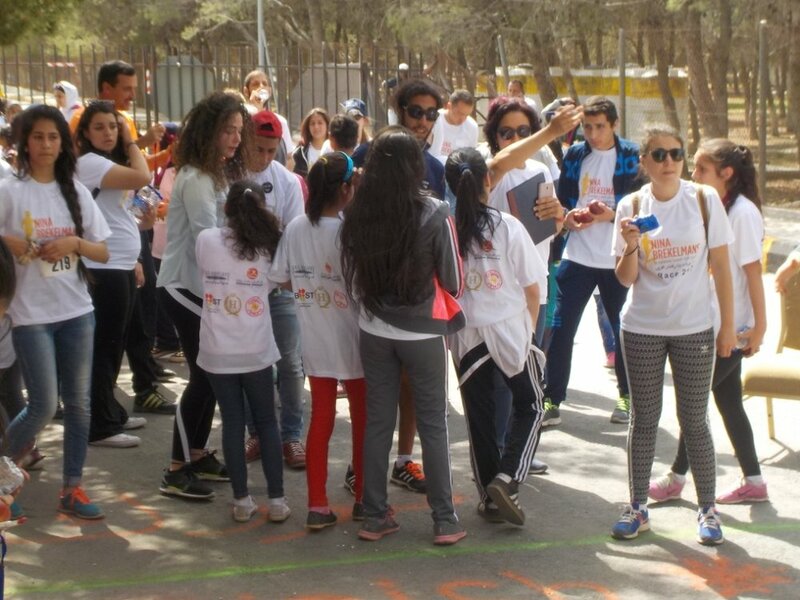 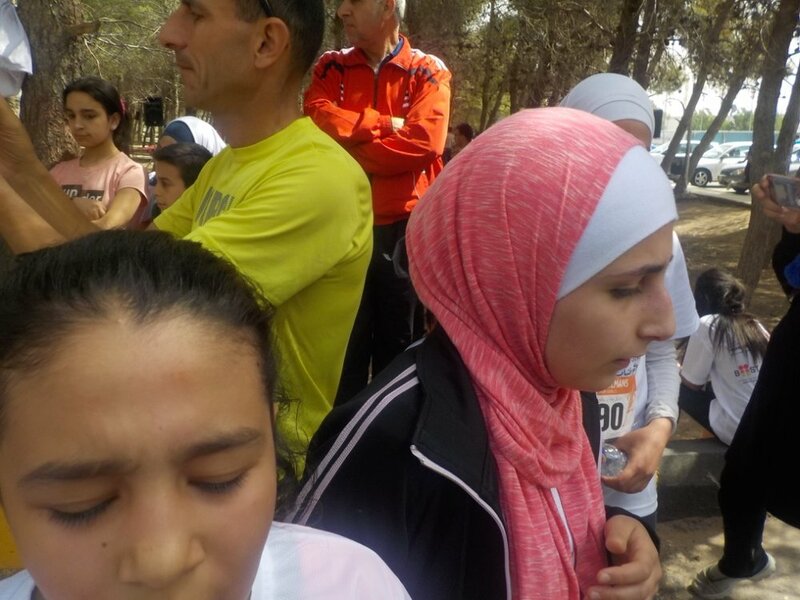 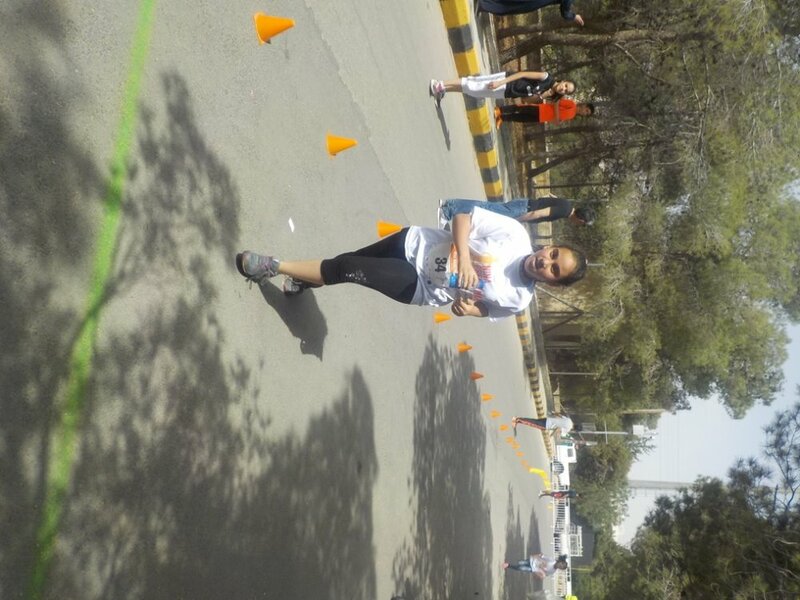 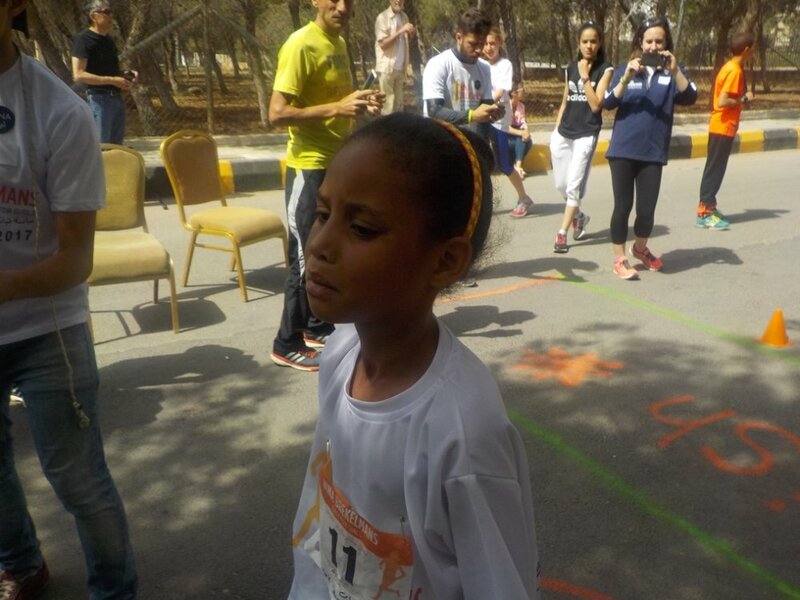 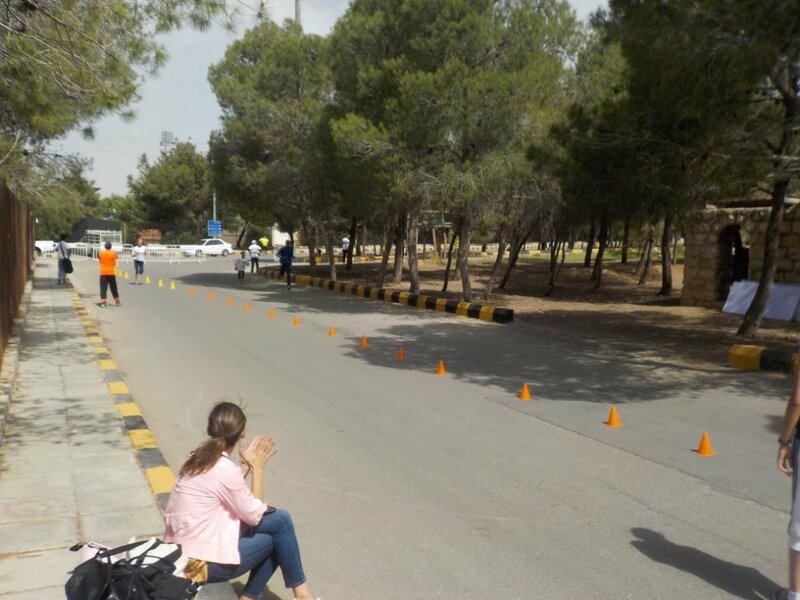 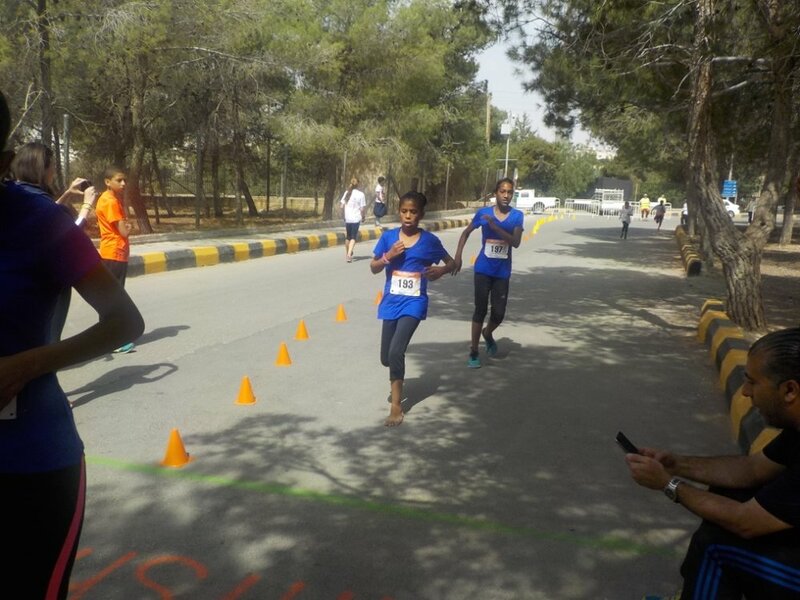 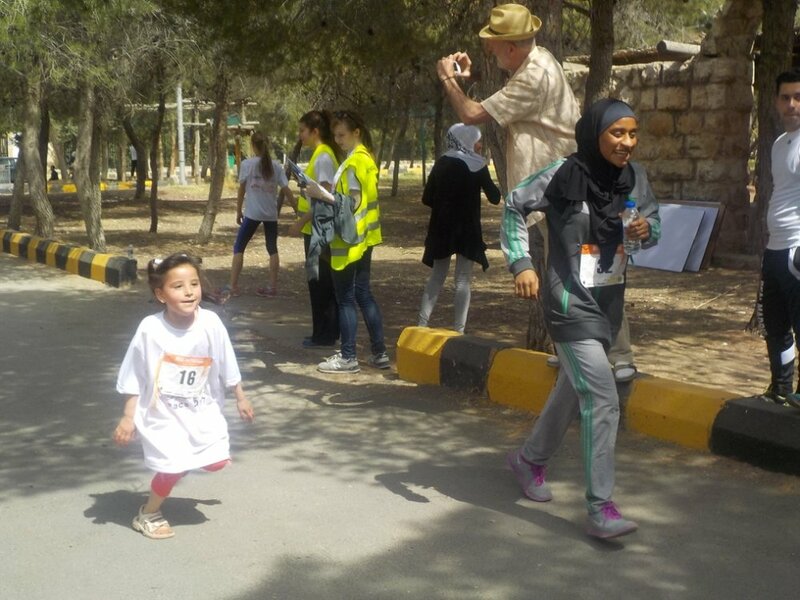 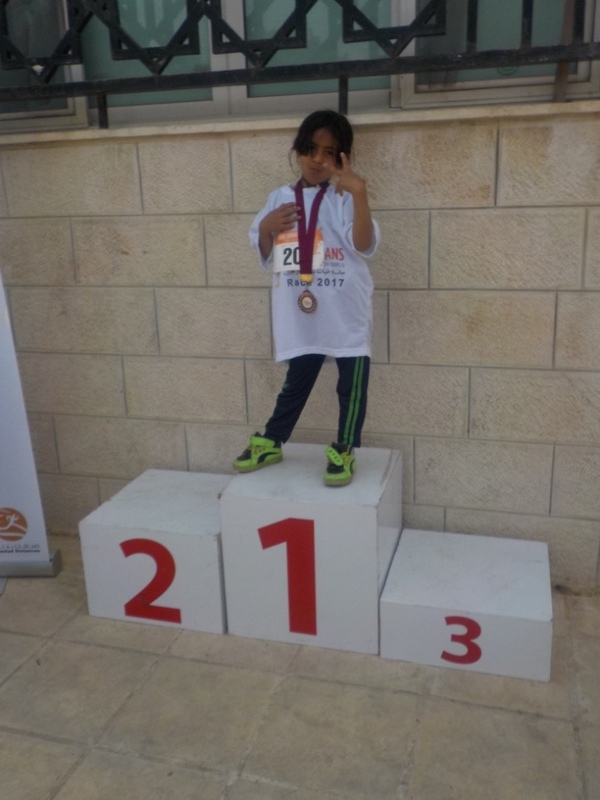 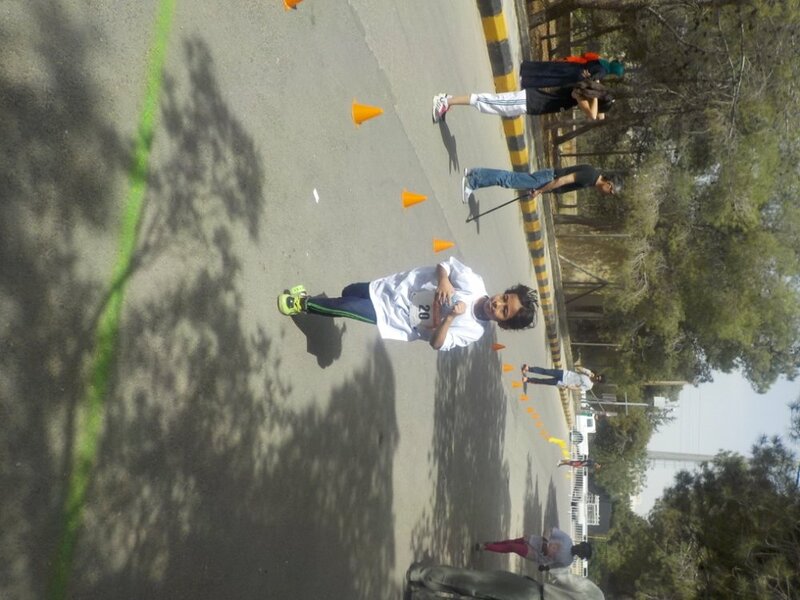 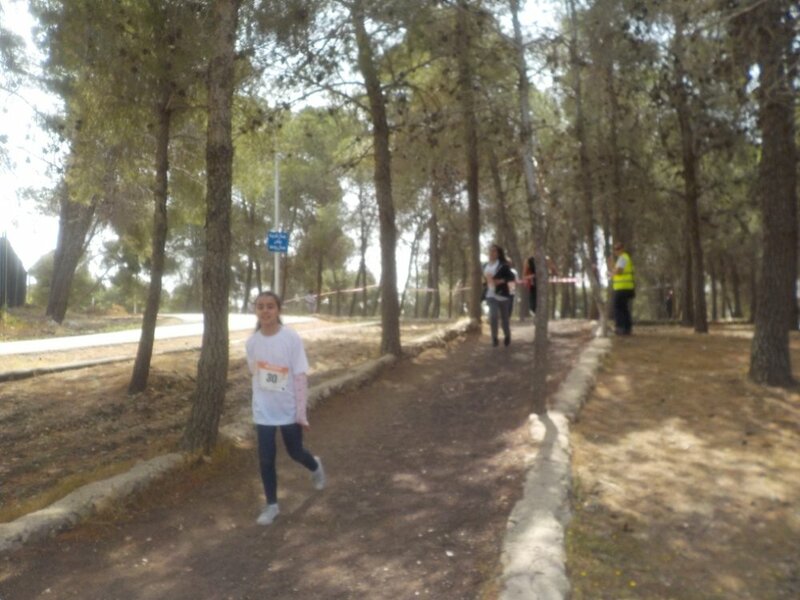 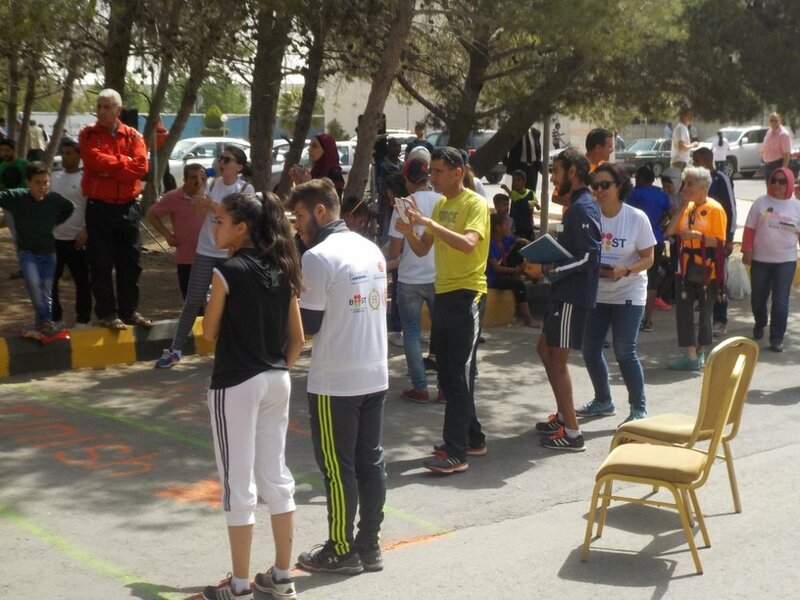 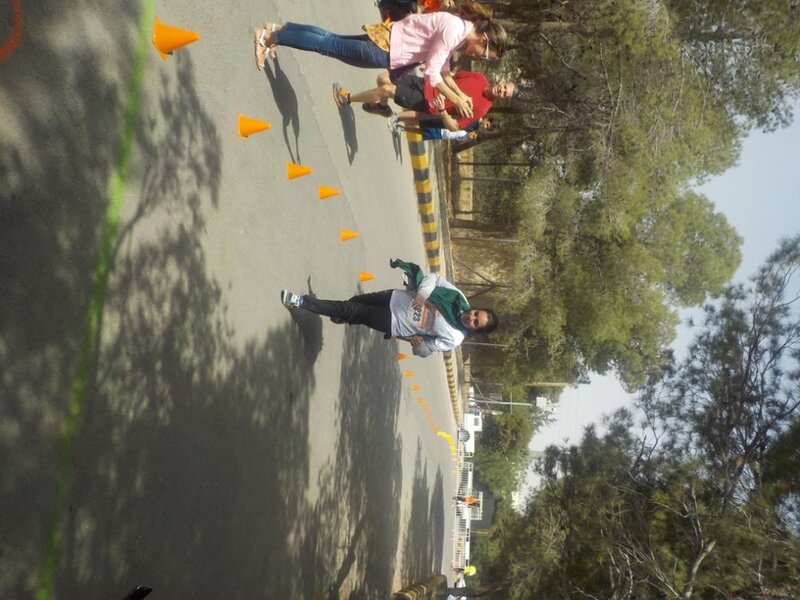 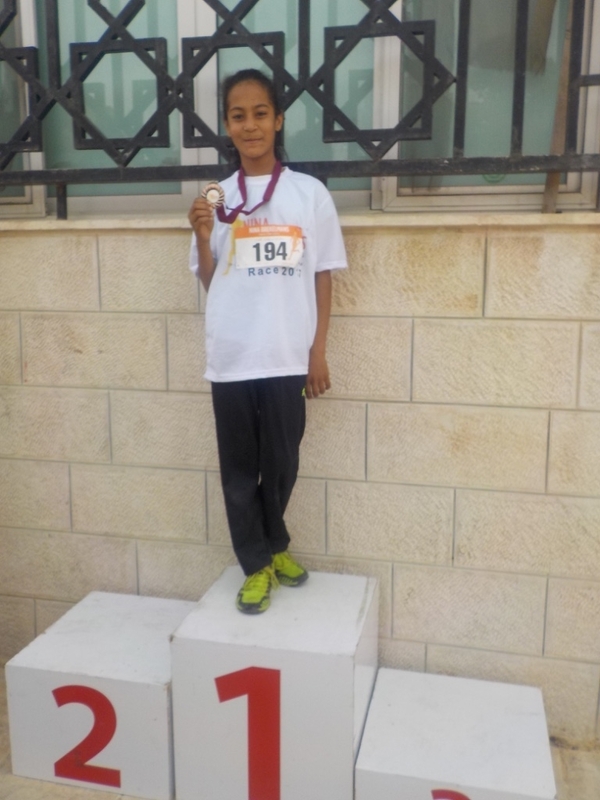 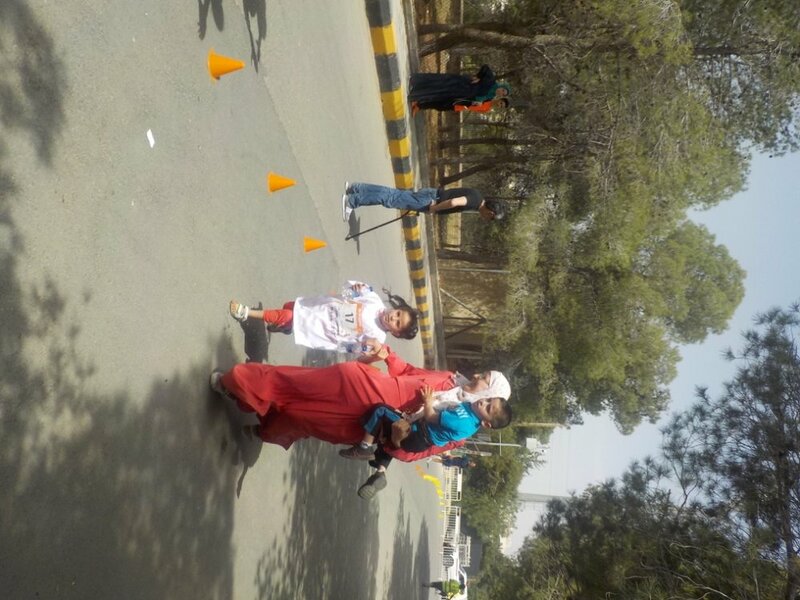 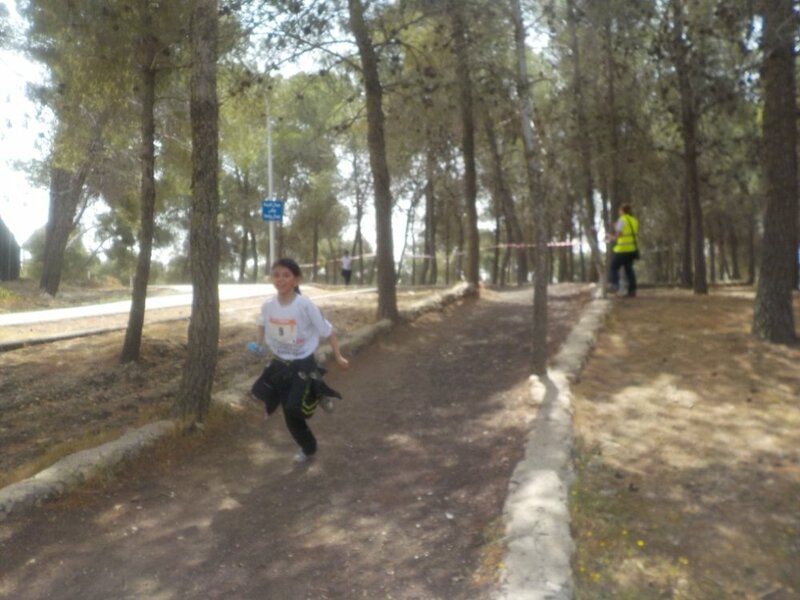 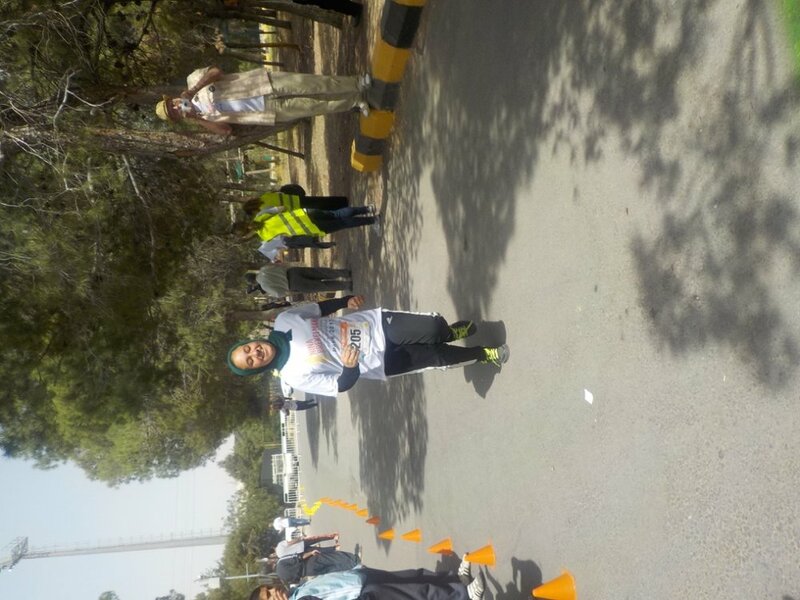 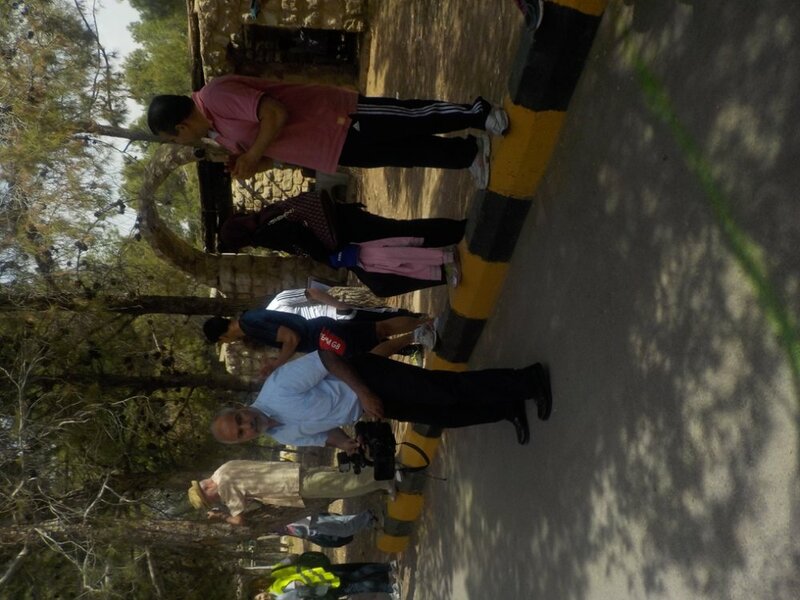 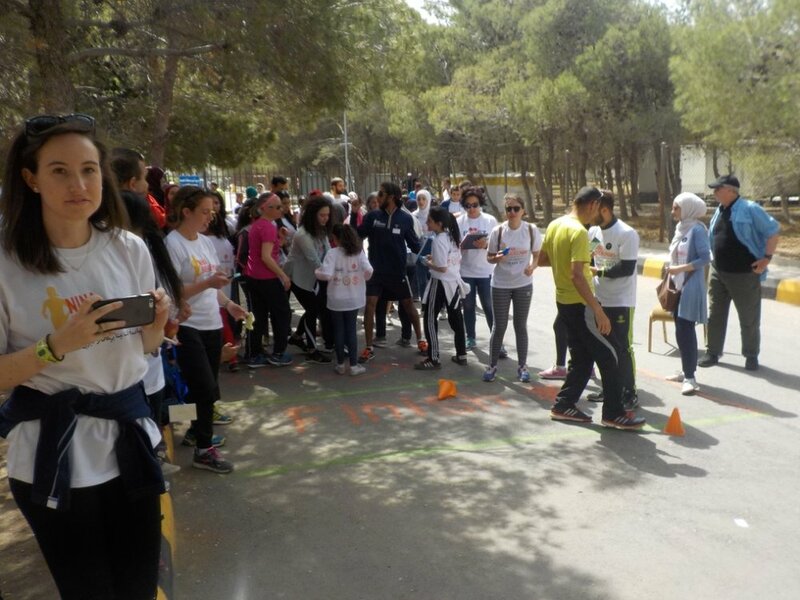 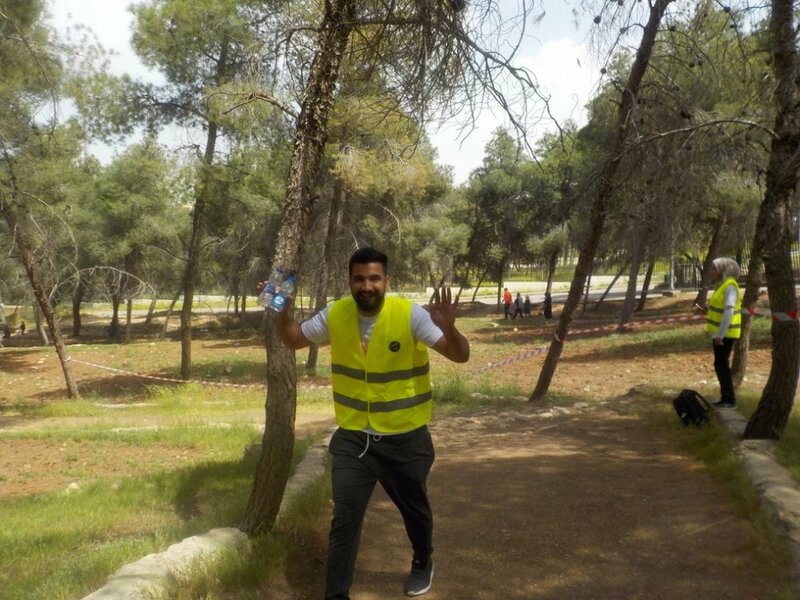 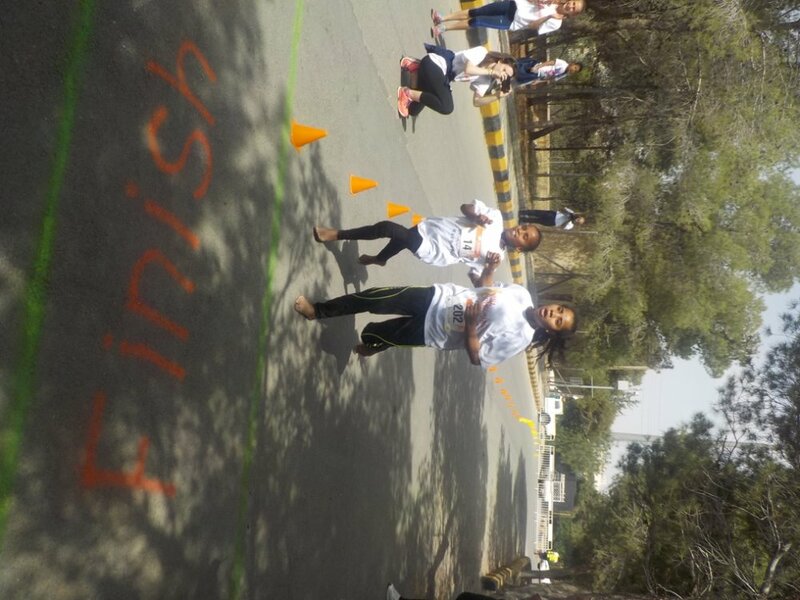 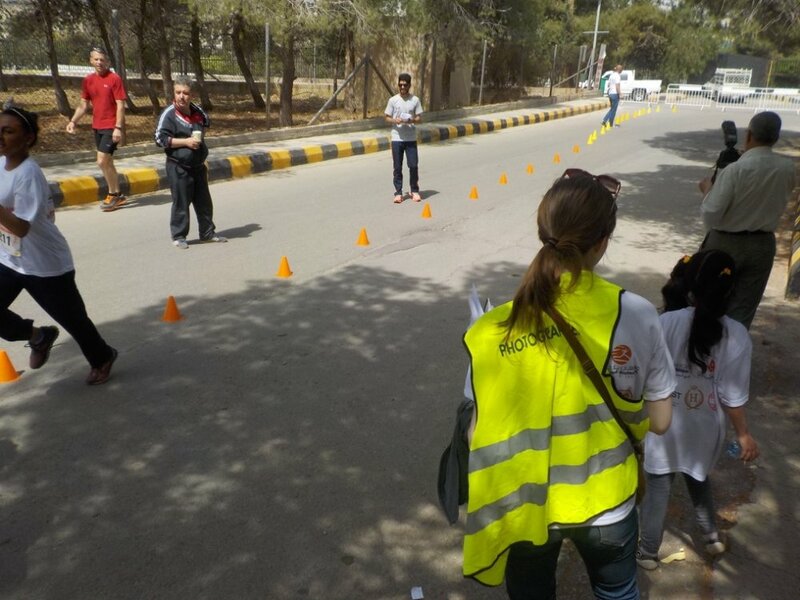 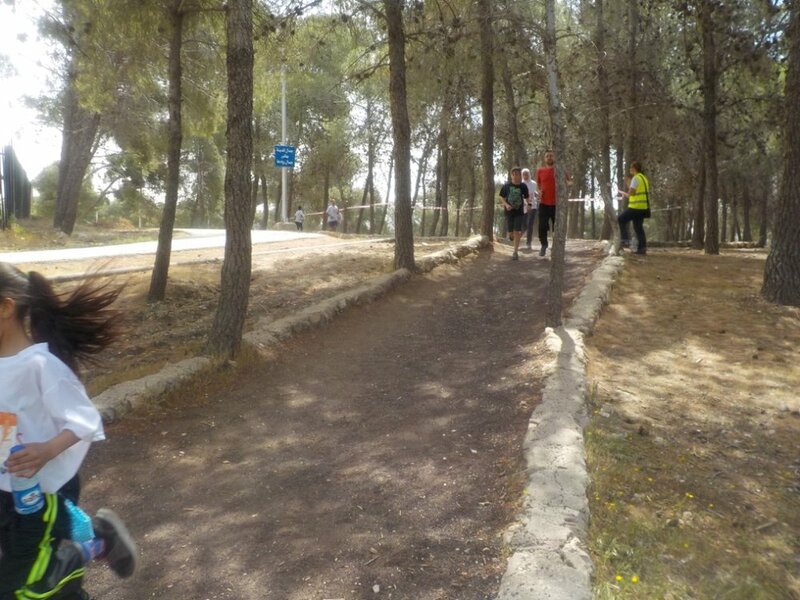 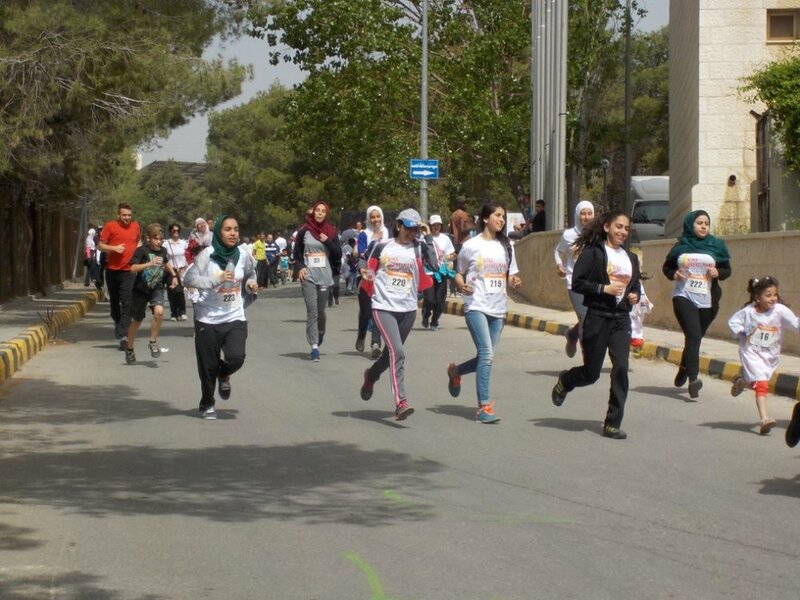 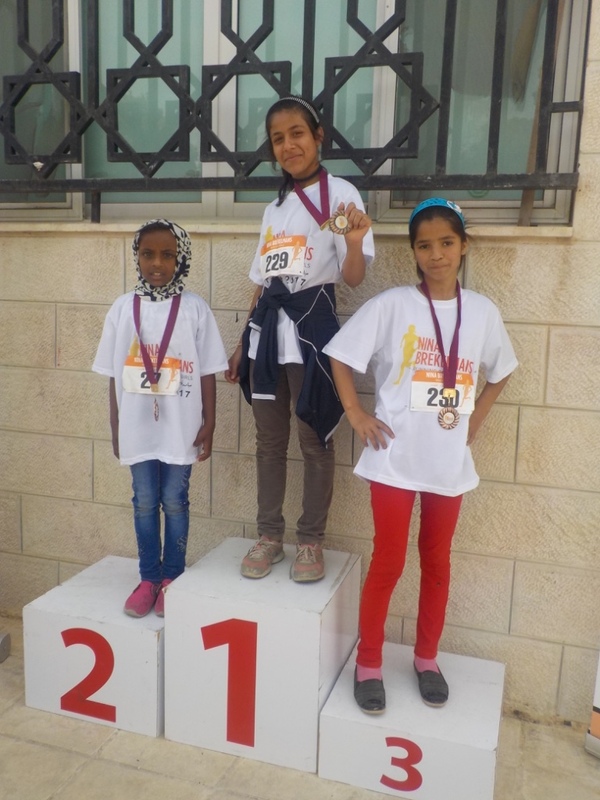 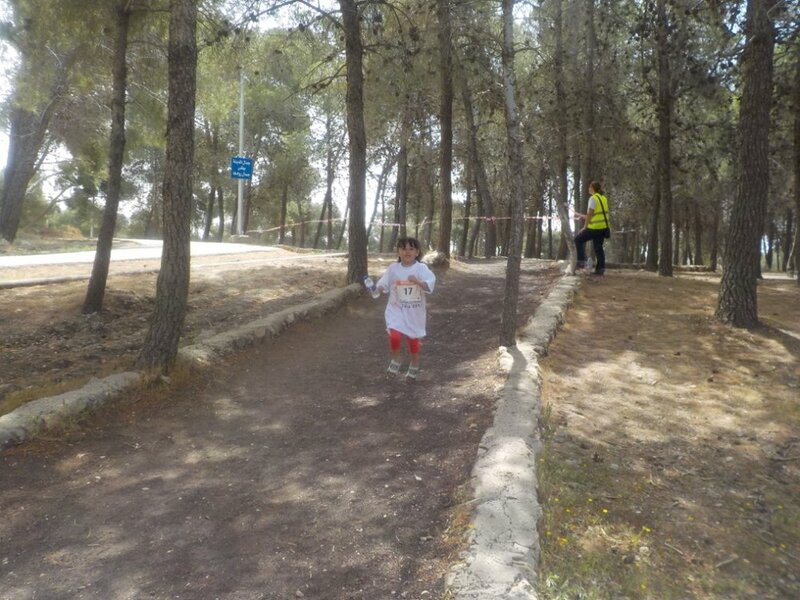 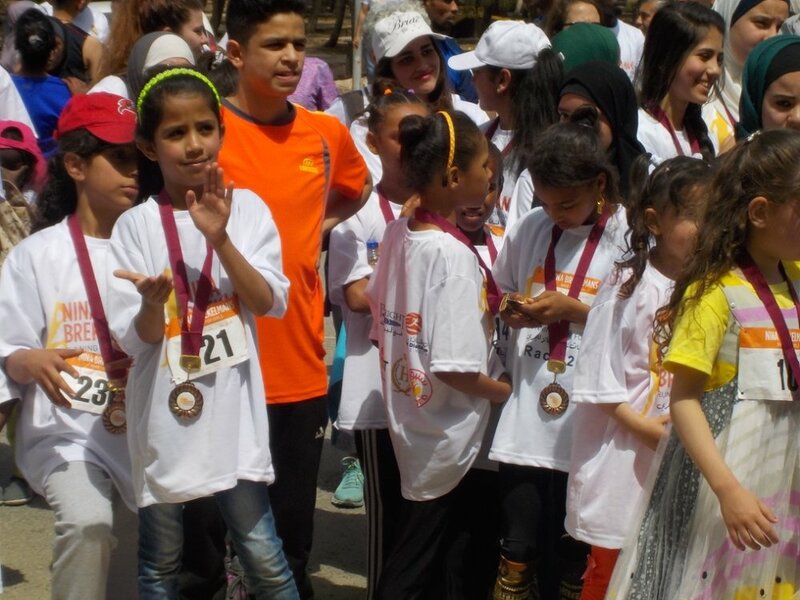 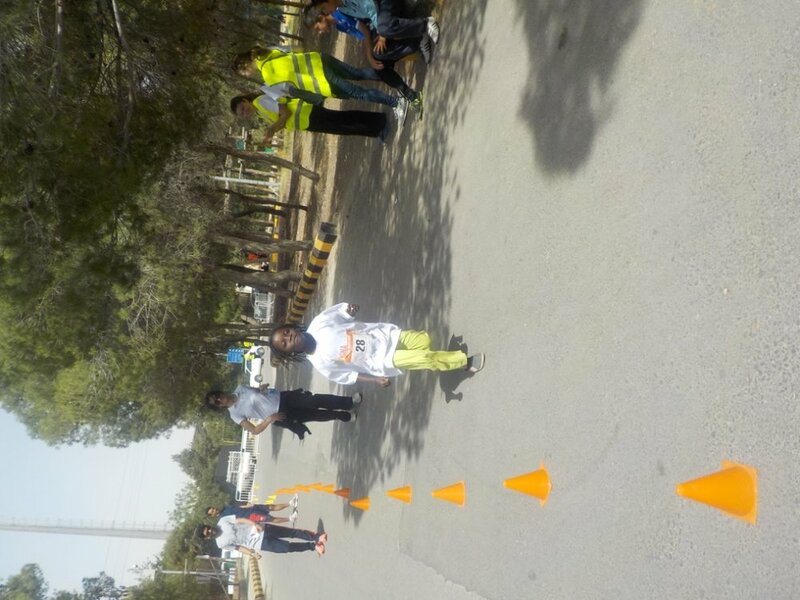 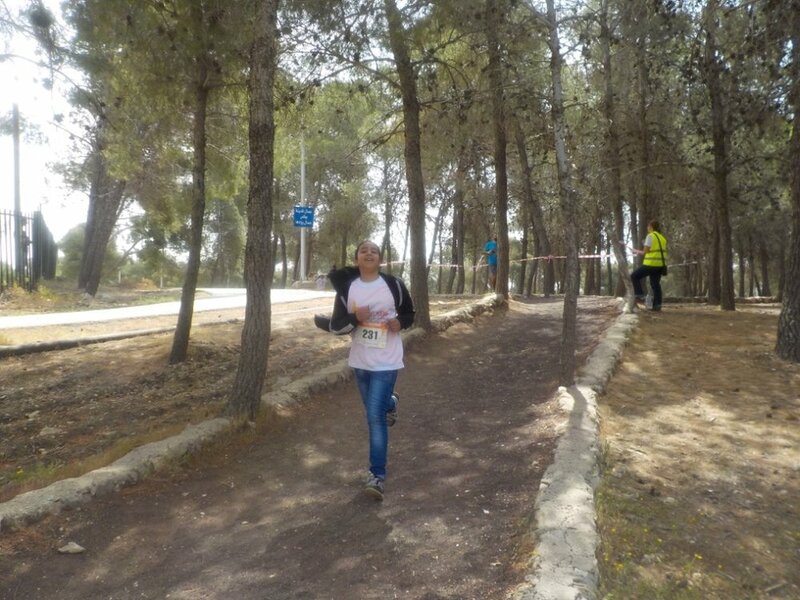 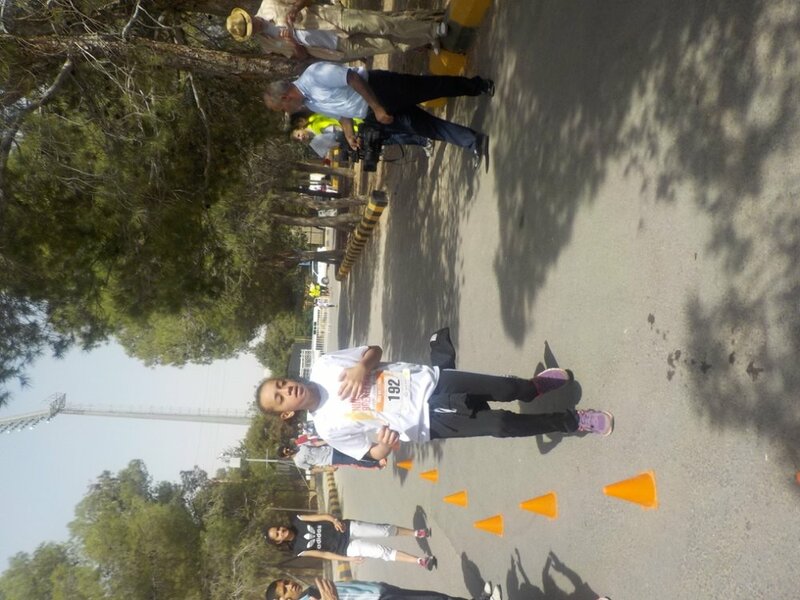 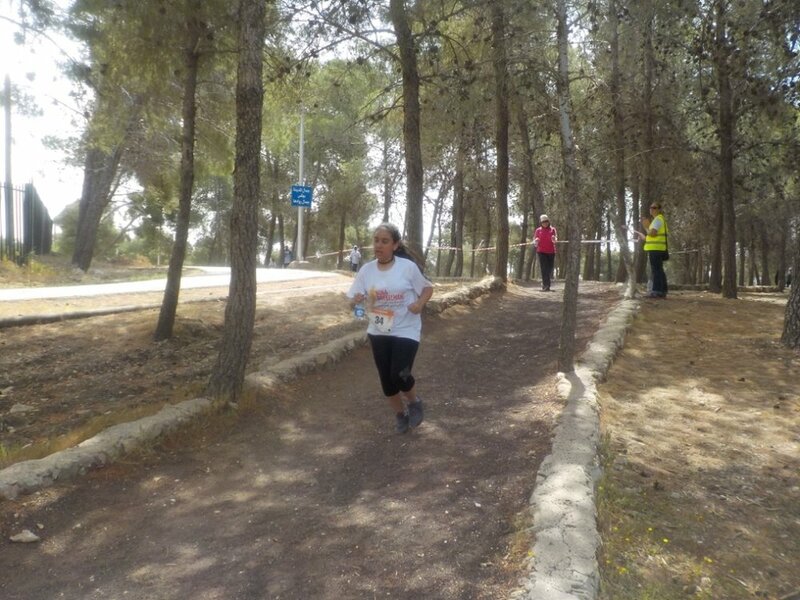 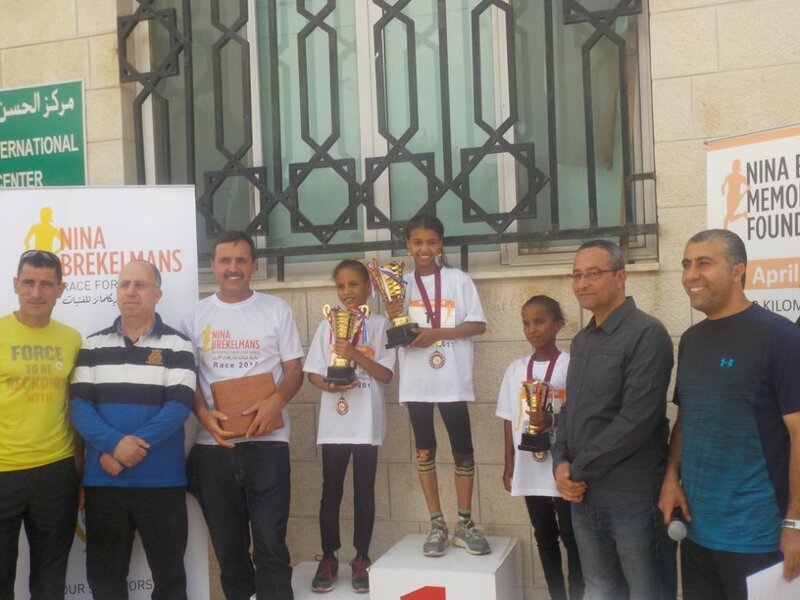 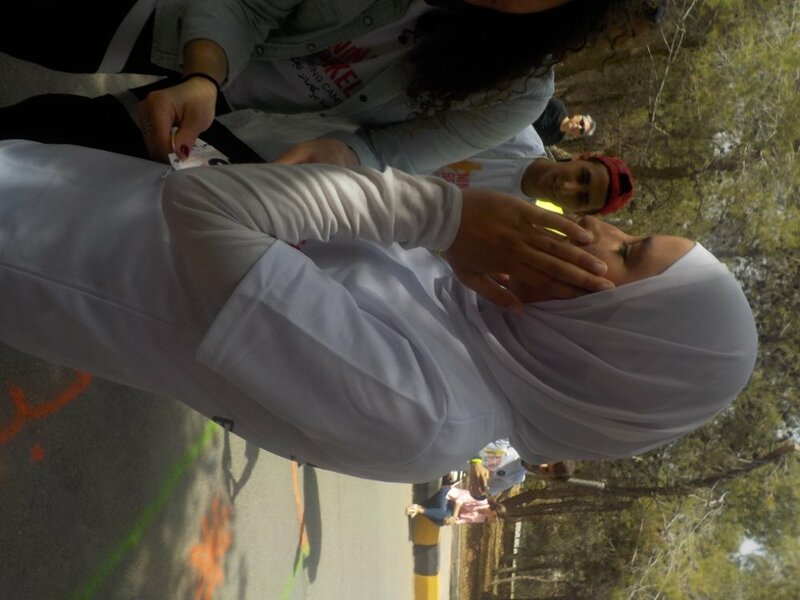 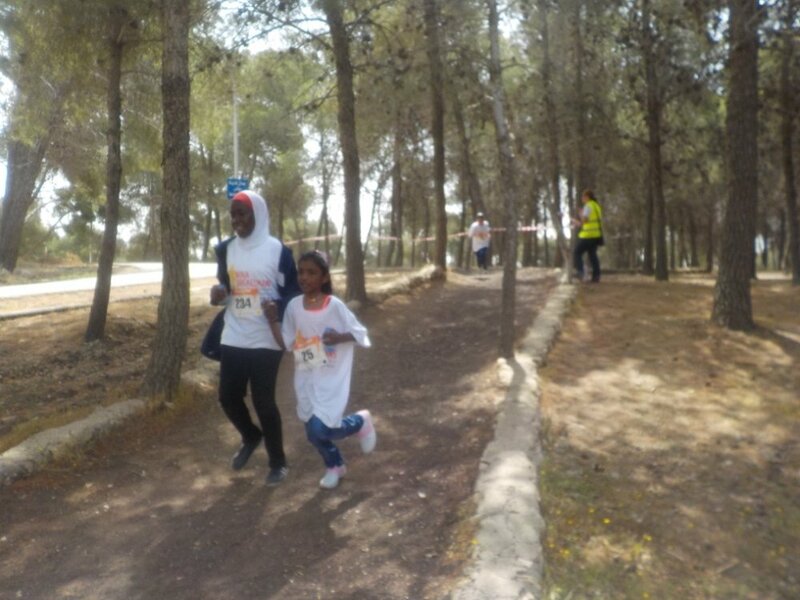 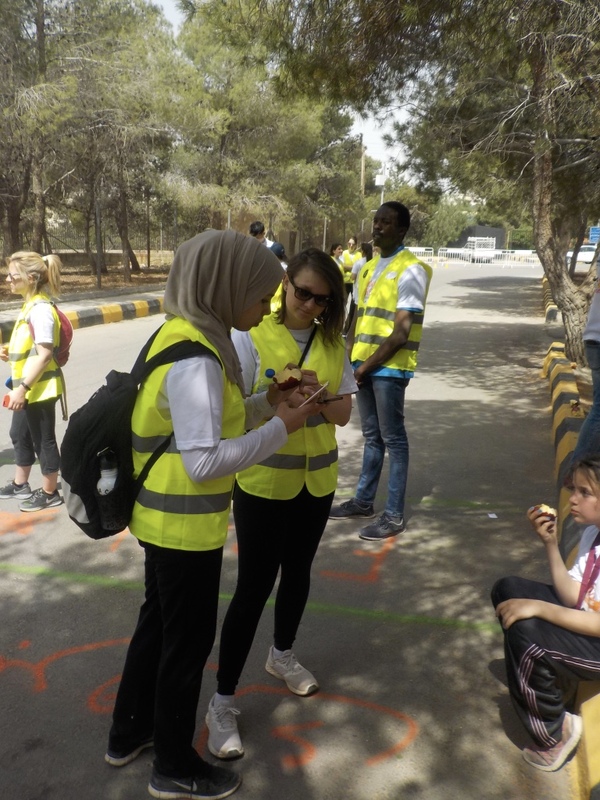 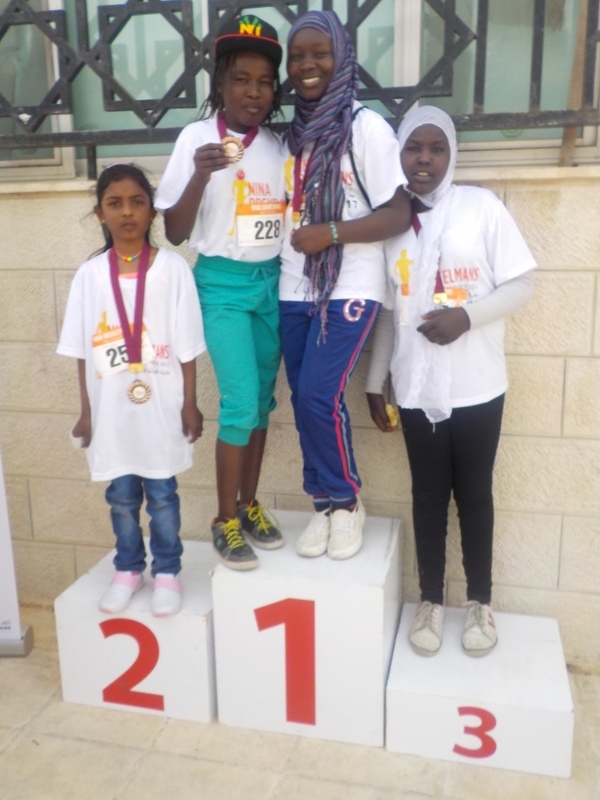 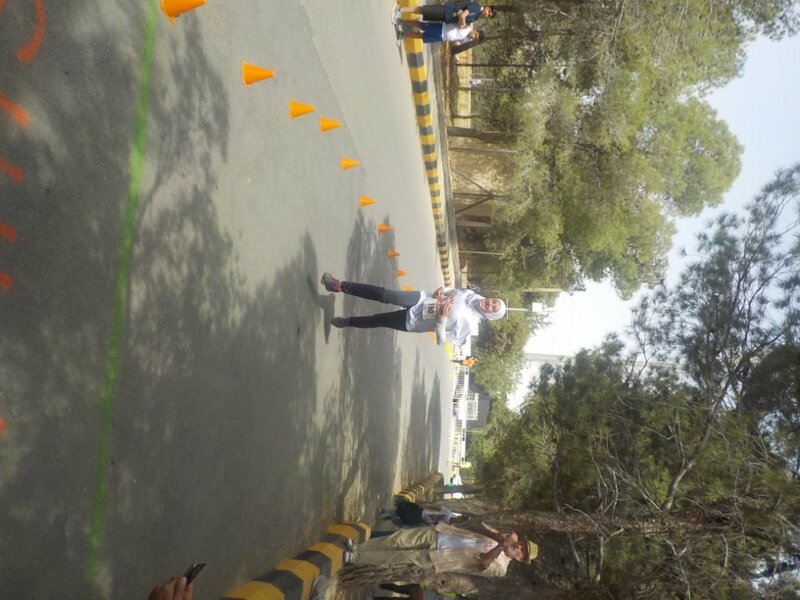 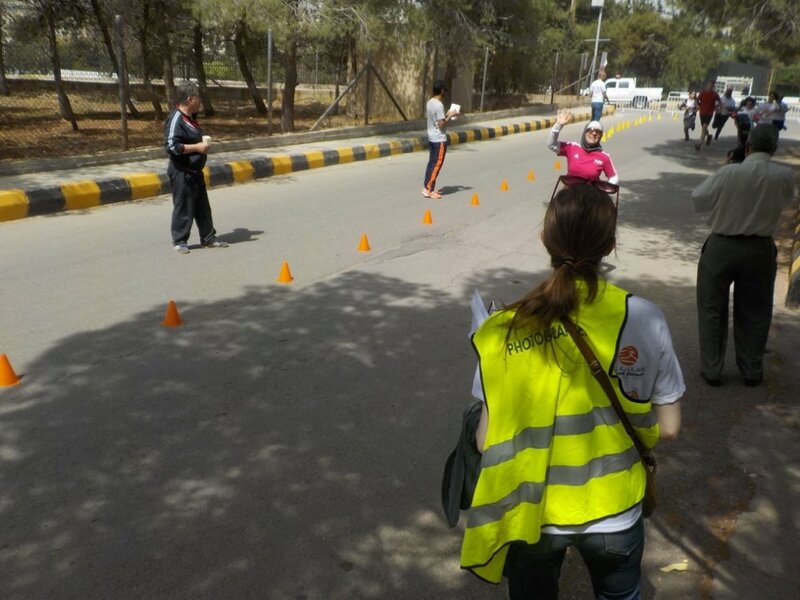 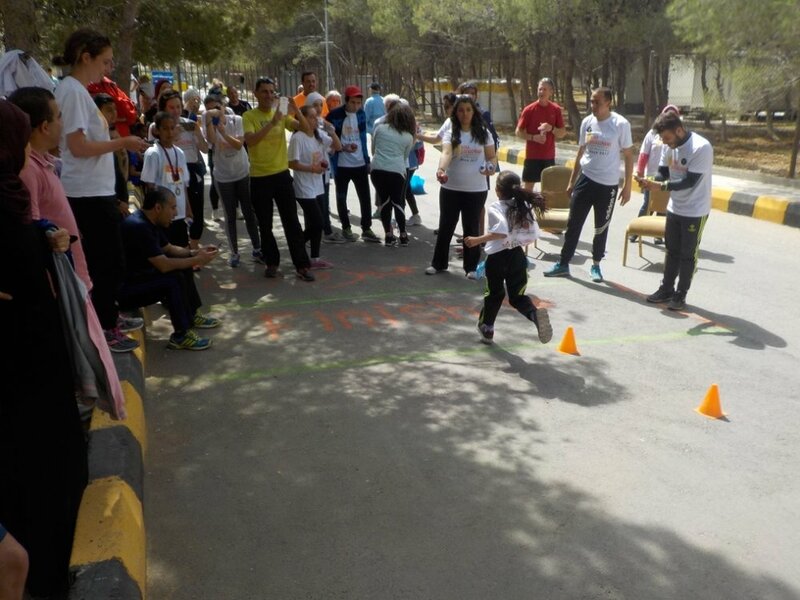 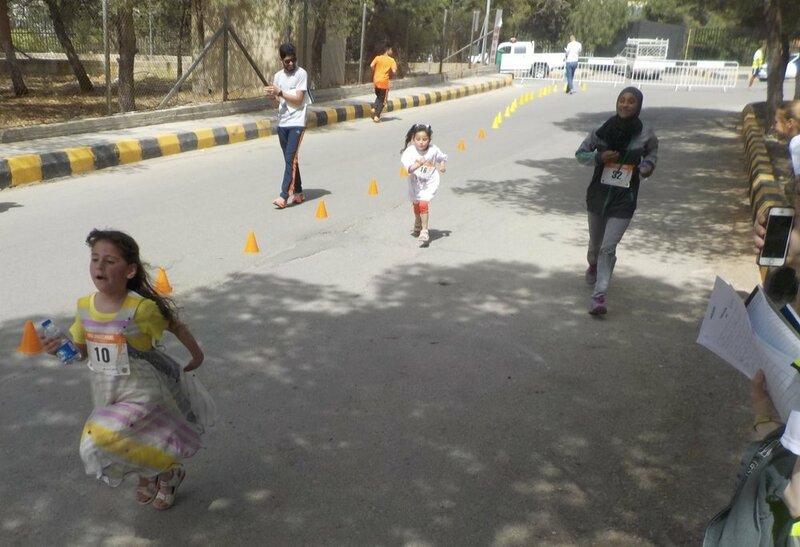 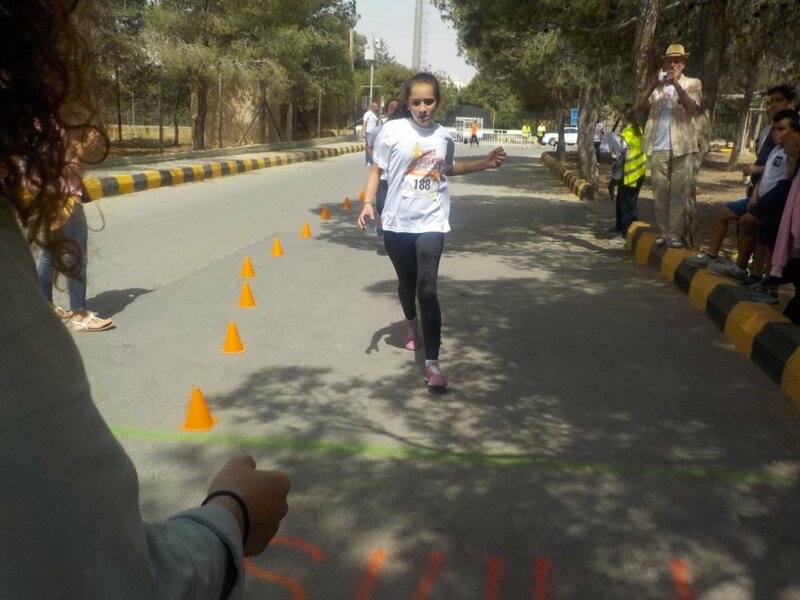 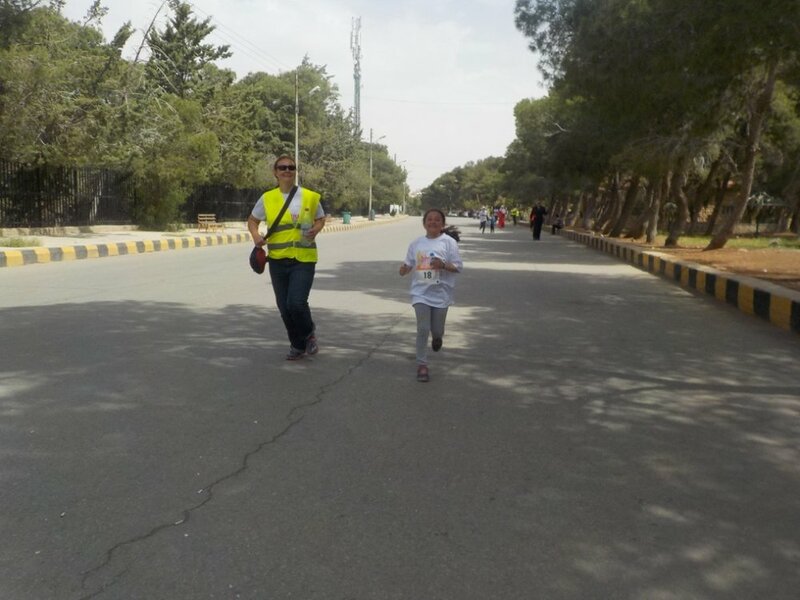 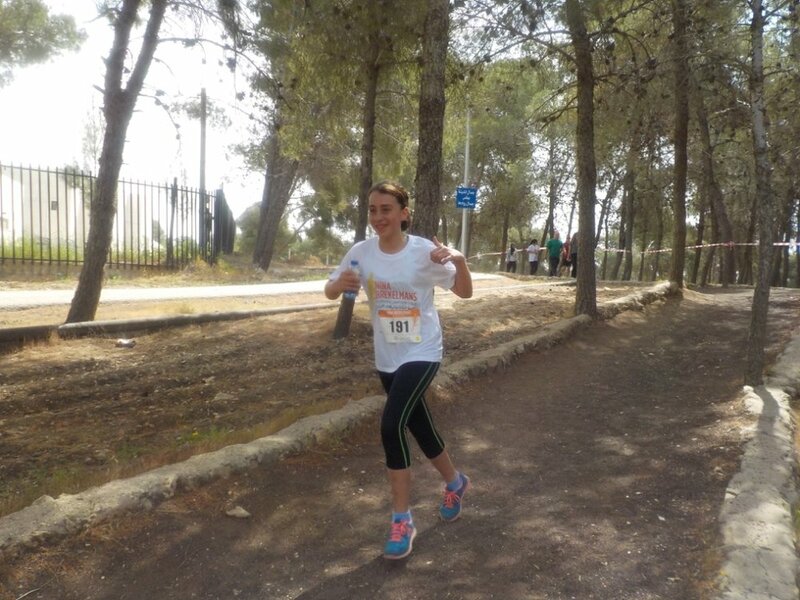 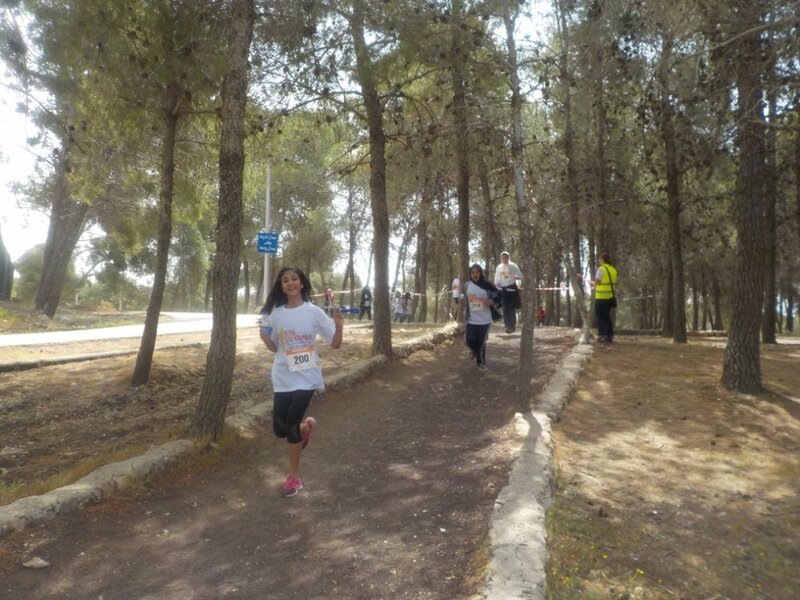 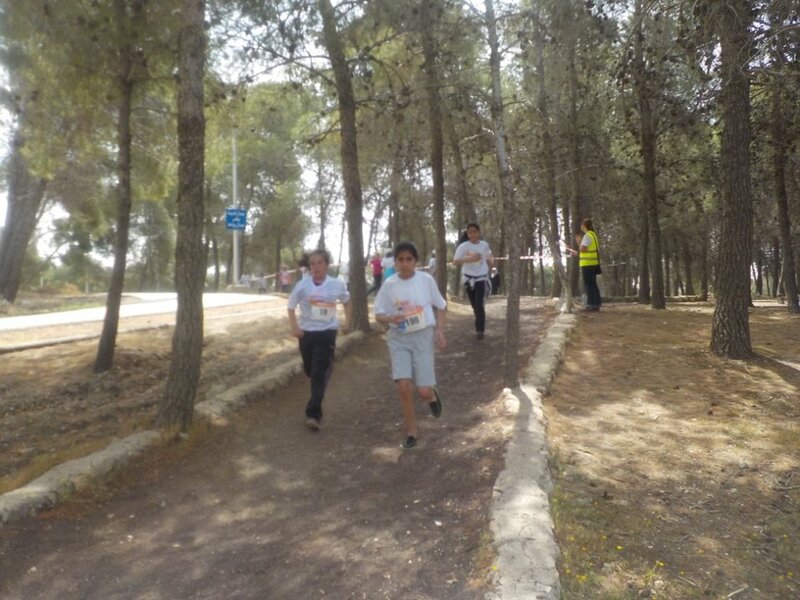 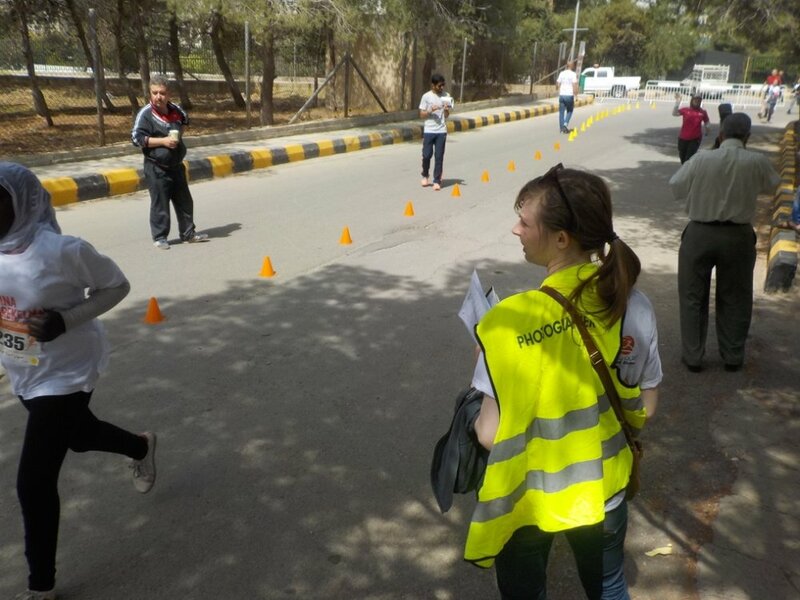 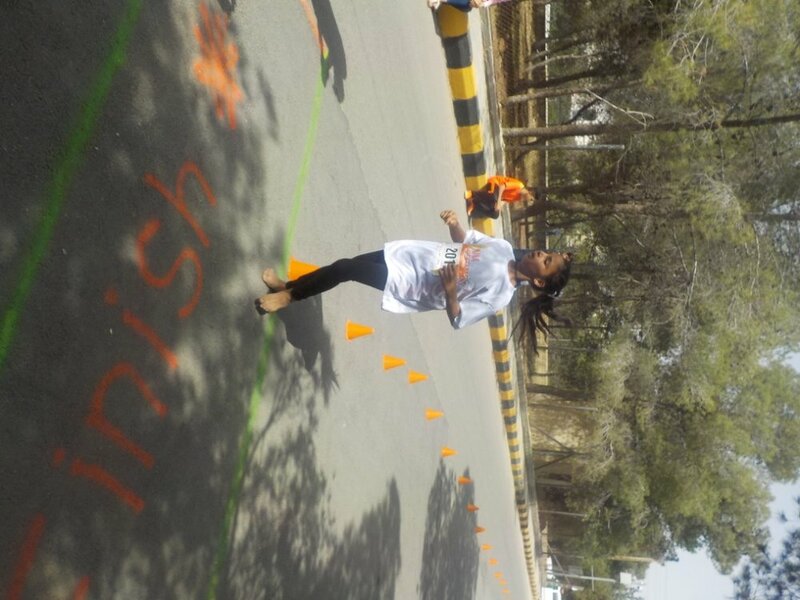 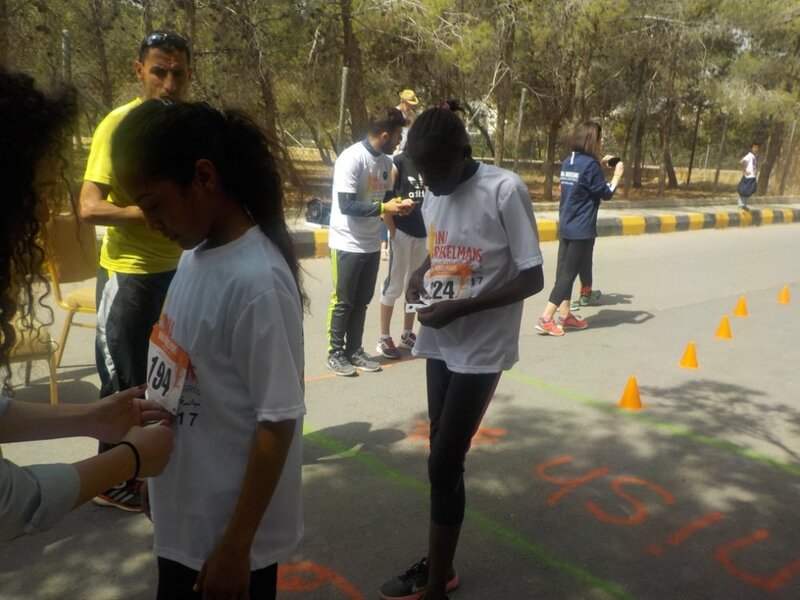 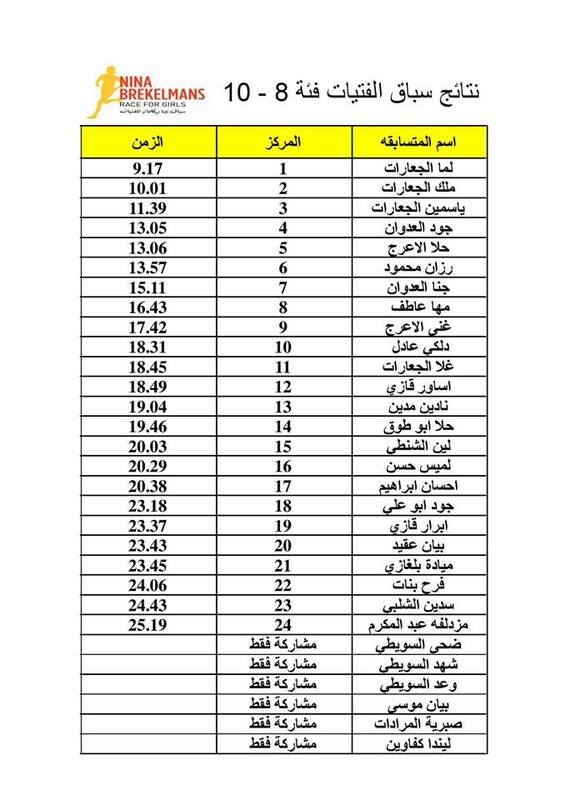 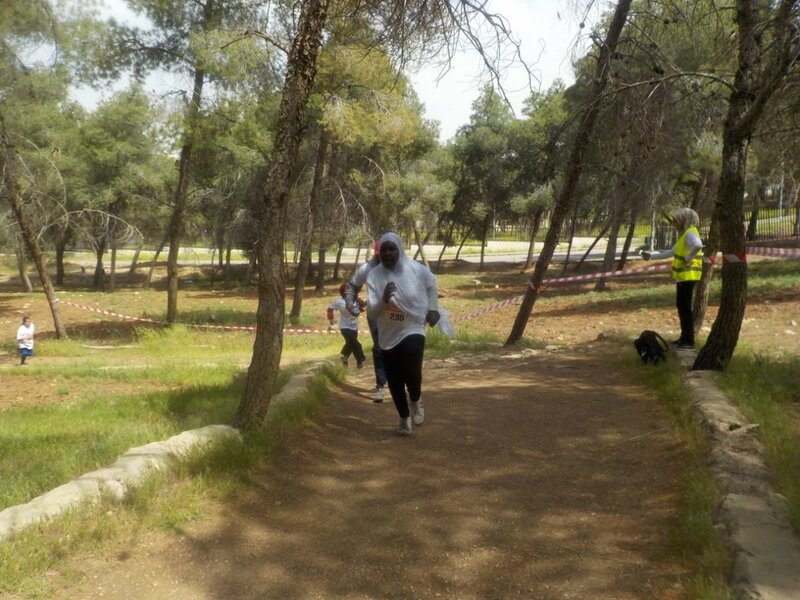 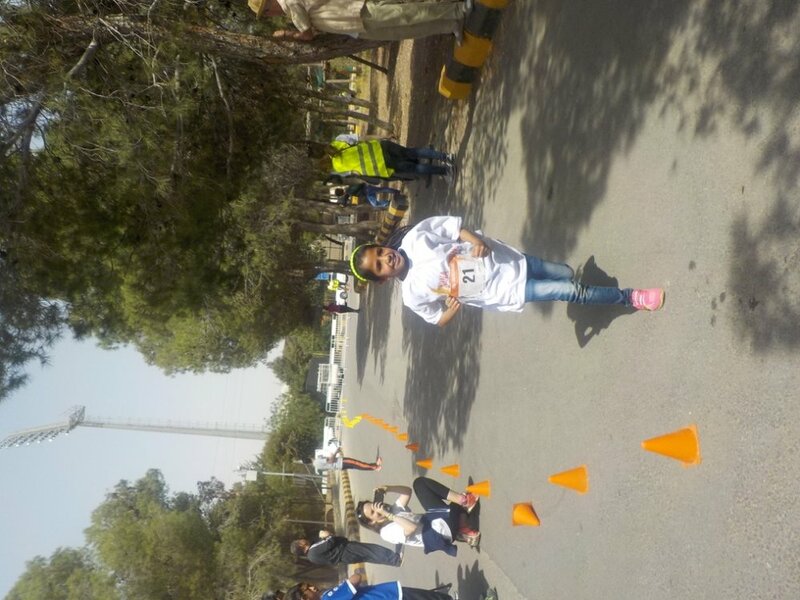 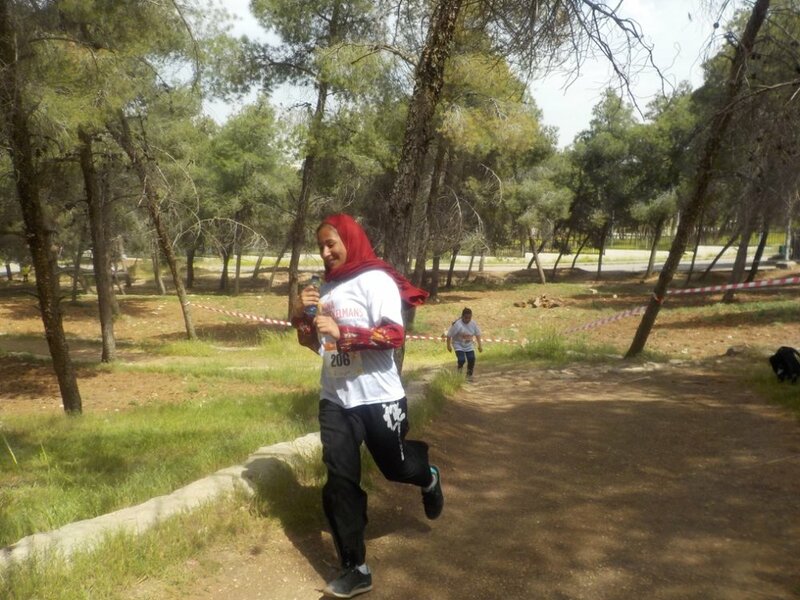 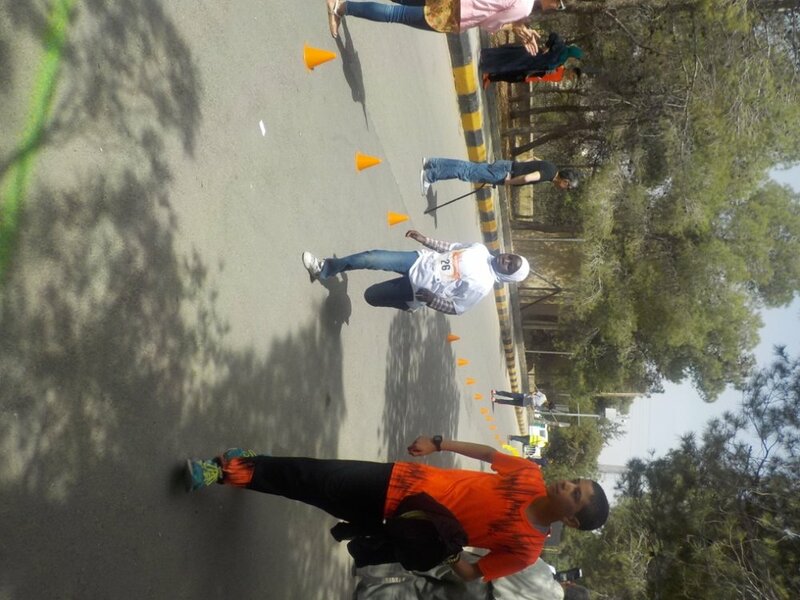 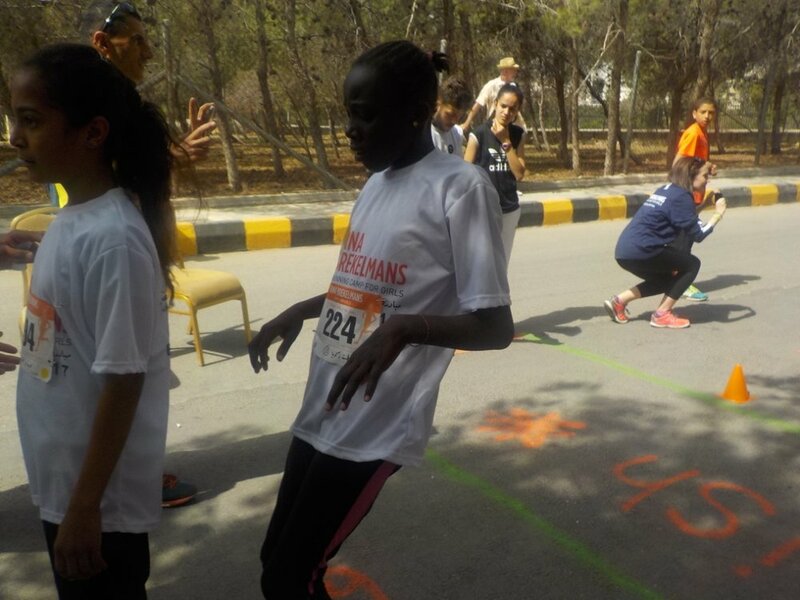 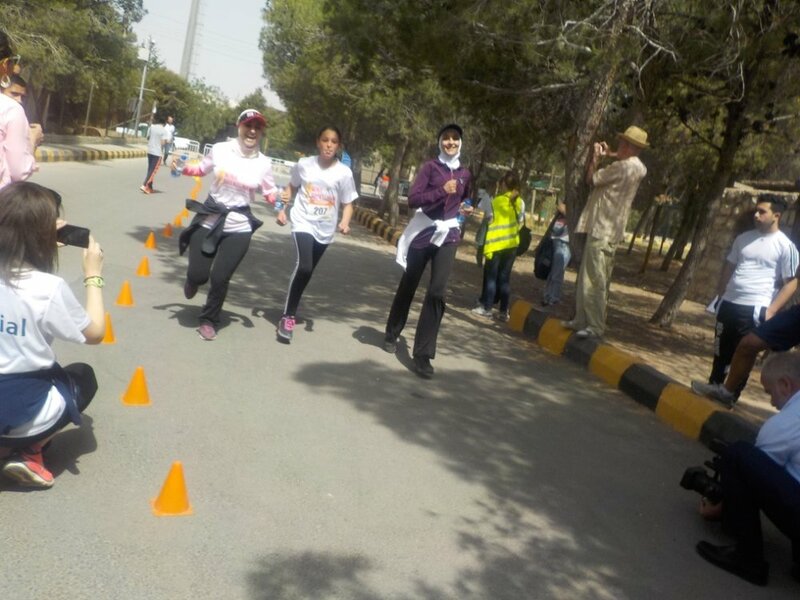 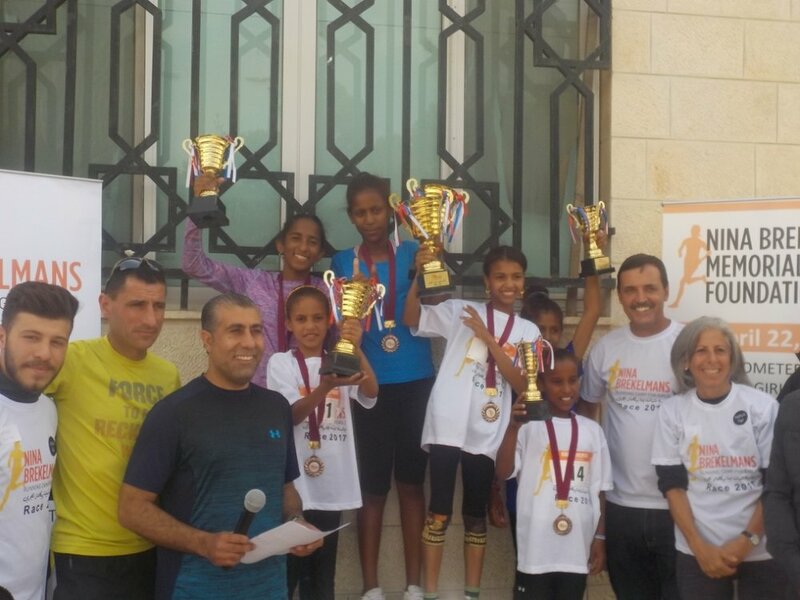 This race is one of the first of its kind in Jordan, specifically focusing on young female runners. 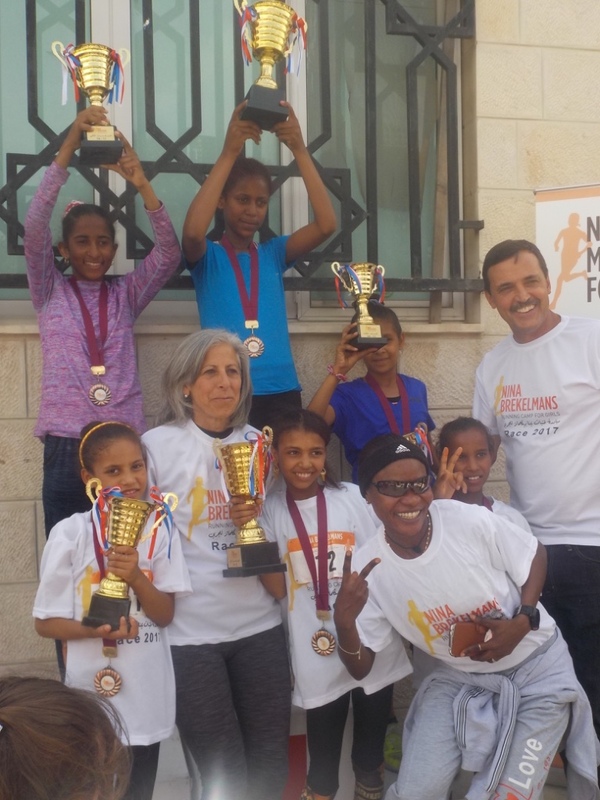 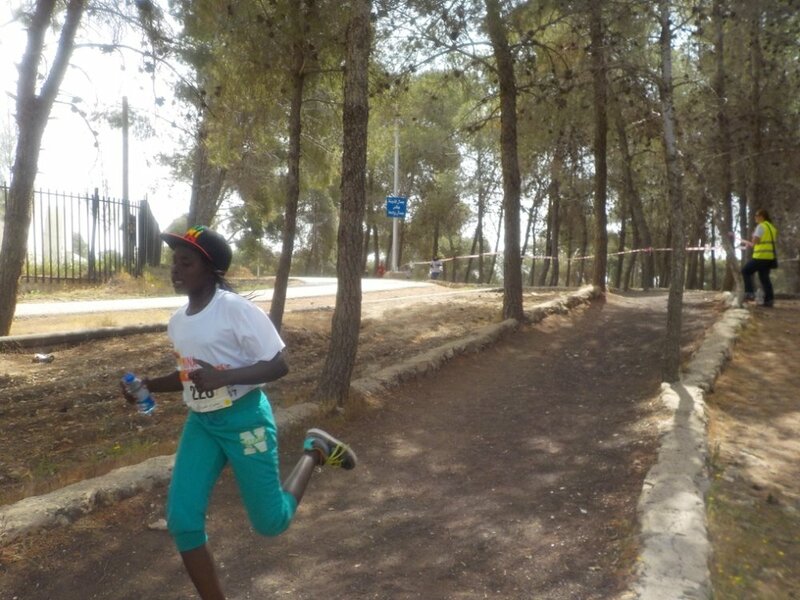 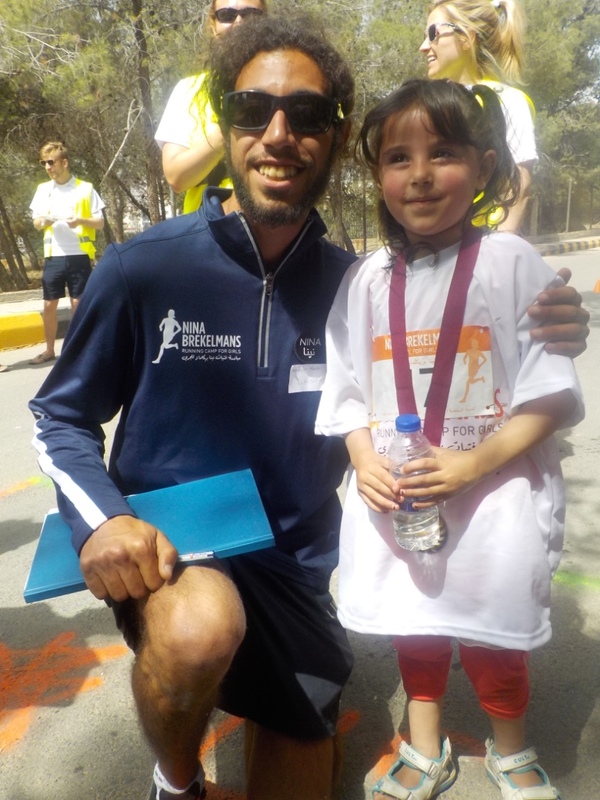 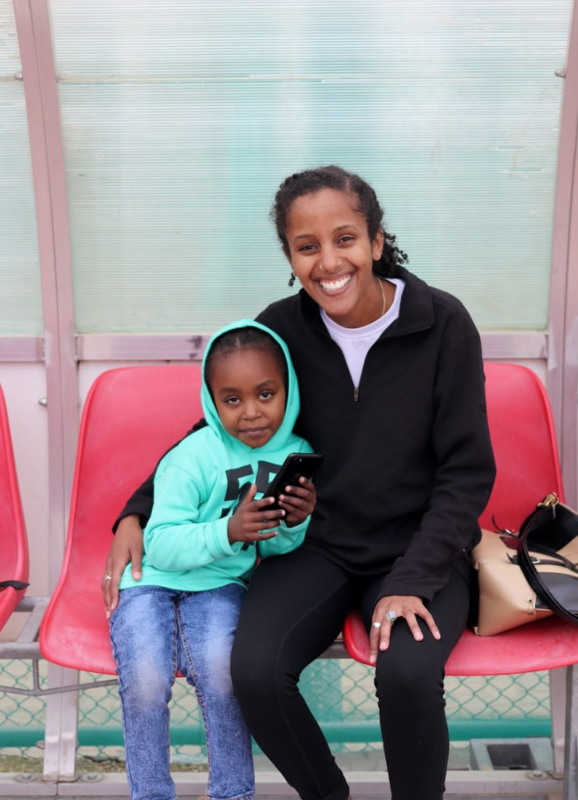 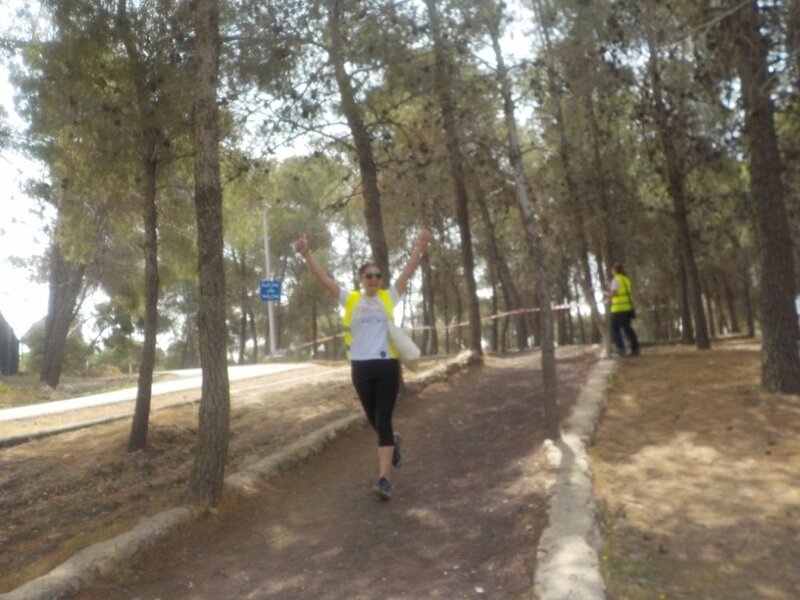 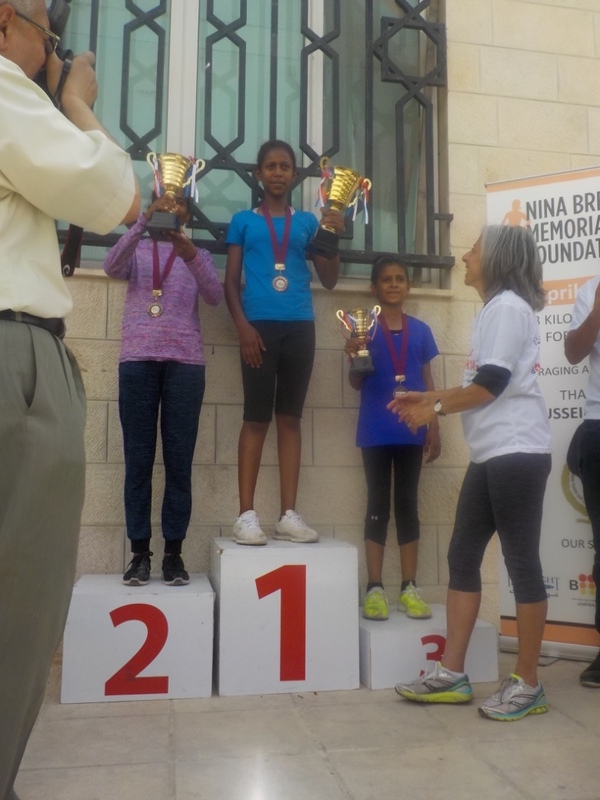 The Dead Sea Ultra race was not Nina’s last because through her vision and community support at least 50 young girls will be running in her namesake at the Nina Brekelmans Race for Girls.